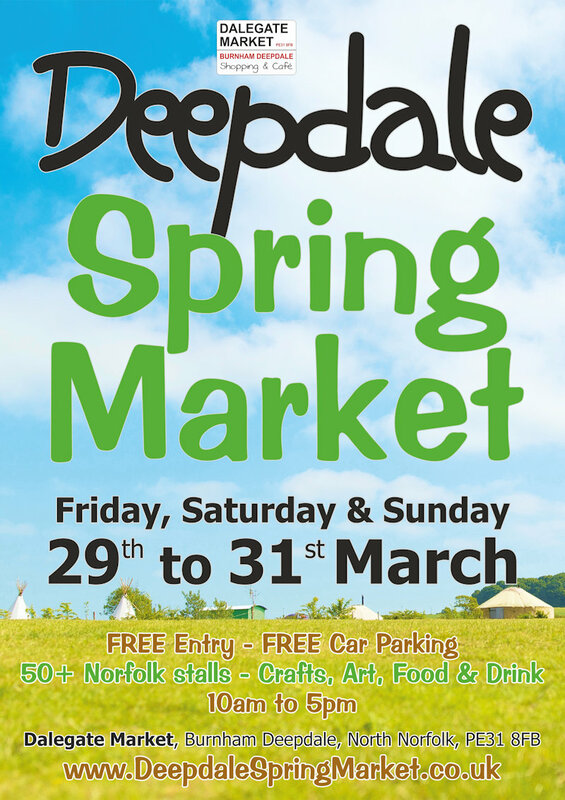 At the Deepdale Spring Market, Dalegate Market will host 50+ Norfolk artisans and producers in two large marquees (Dalegate Tent & Orchard Tent), the beach hut Pop Up Shops and many outside stalls. 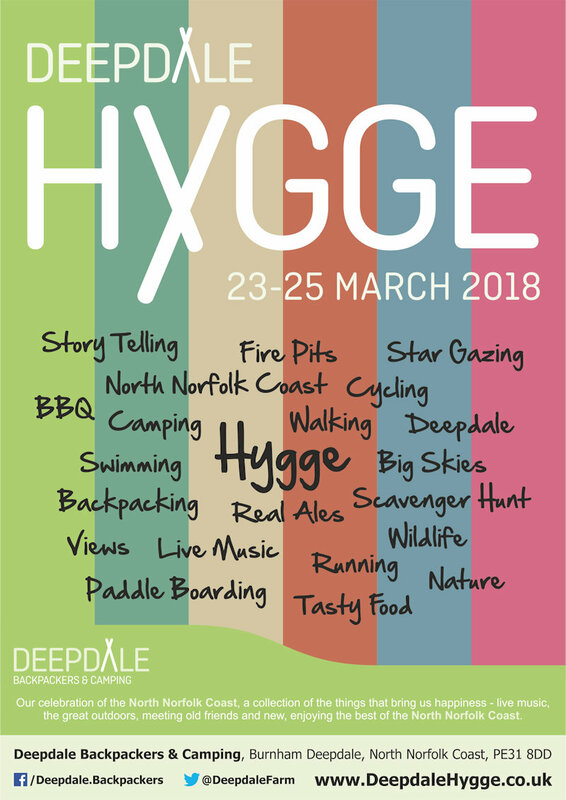 The Deepdale Hygge is our celebration of the North Norfolk Coast, a collection of the things that bring us happiness - live music, the great outdoors, meeting old friends and new, enjoying the best of the North Norfolk Coast. Freshly cooked burgers & tacos from The Cabin (vegan options available), served up at Deepdale Backpackers & Camping during the evening. 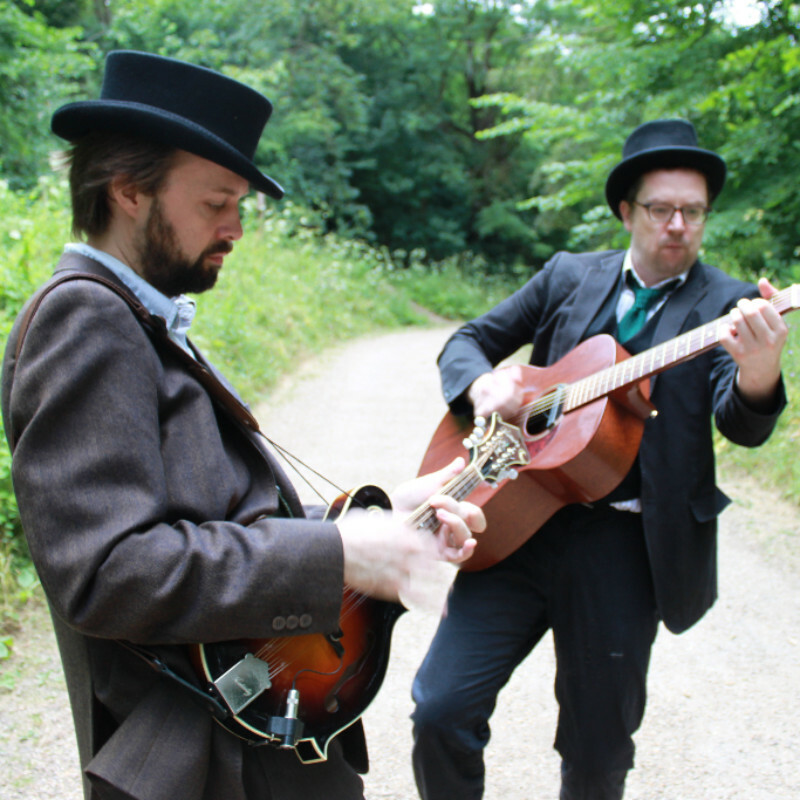 Eat while enjoying live music from the Gentlemen of Few or get a takeaway to take elsewhere in the village. 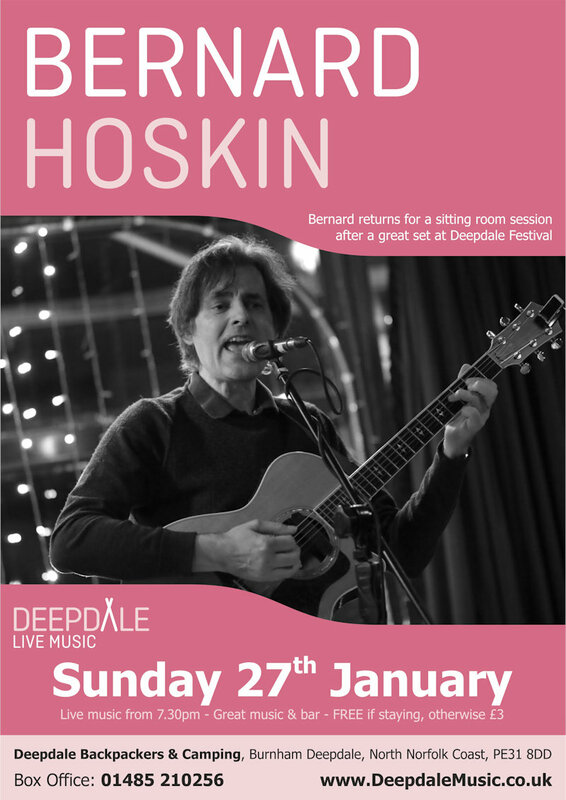 The live music programme at Deepdale Backpackers & Camping continues with a sitting room Sunday Session from Bernard Hoskin. 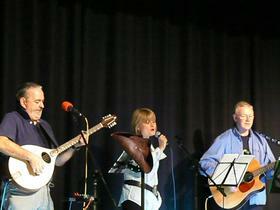 Great to welcome Bernard back to Deepdale after his performance at Deepdale Festival. 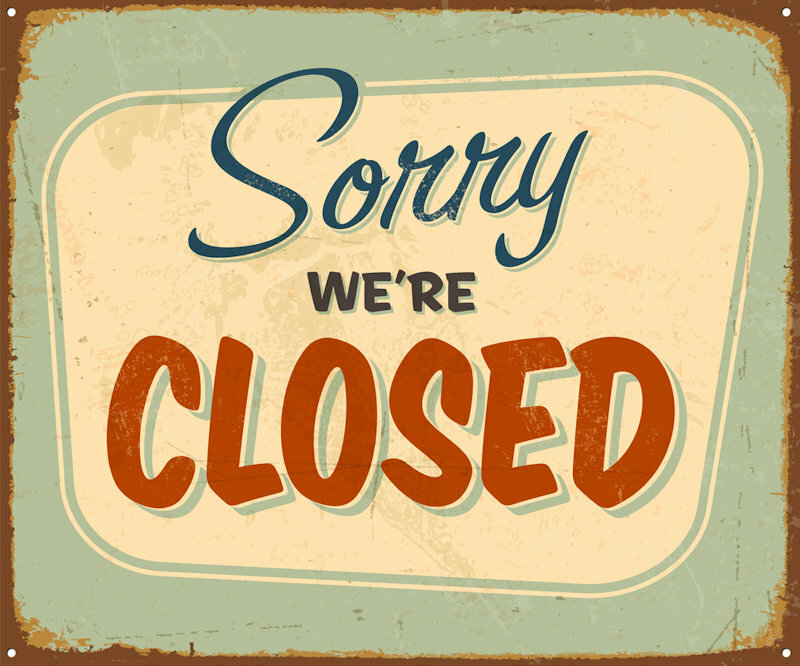 Deepdale Cafe will be closed for a few days for the annual repaint, servicing and clean. 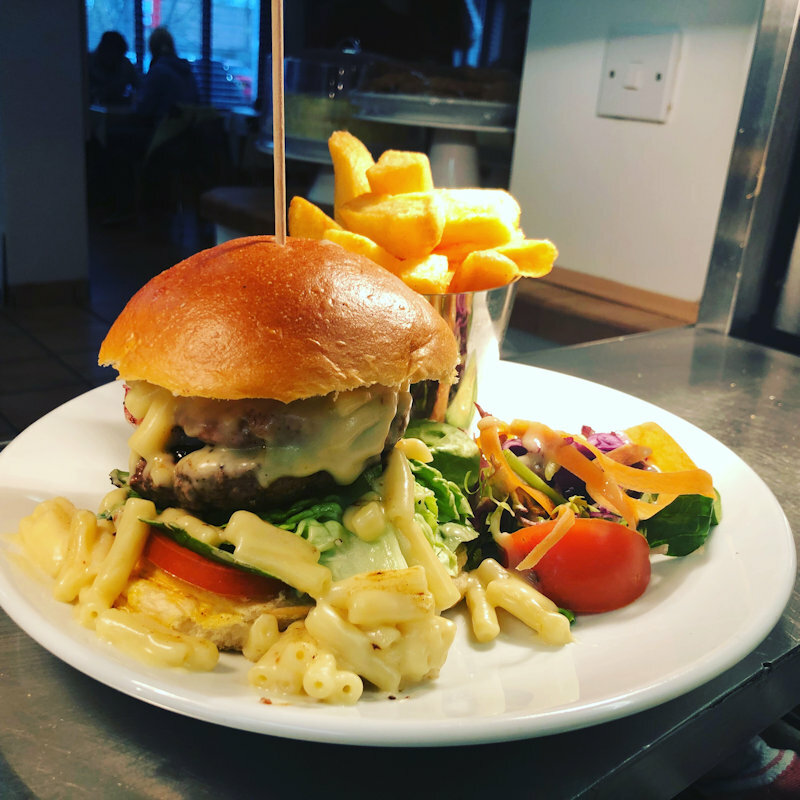 Sorry for any inconenience, but we felt it better to get it all over and done in one go, so you can return for breakfasts, lunches and afternoon teas. 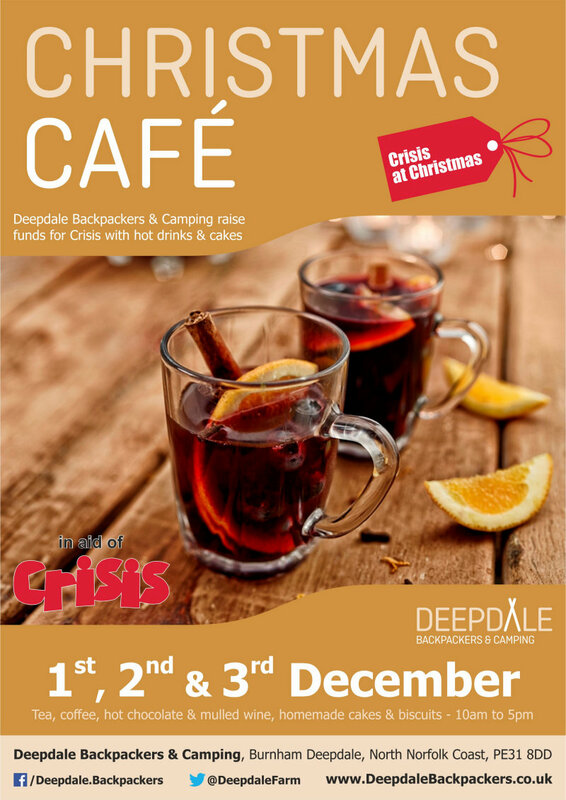 The crew of Deepdale Backpackers & Camping will be serving hot drinks, mulled wine, homemade cakes and biscuits from the kitchen of the backpackers hostel. 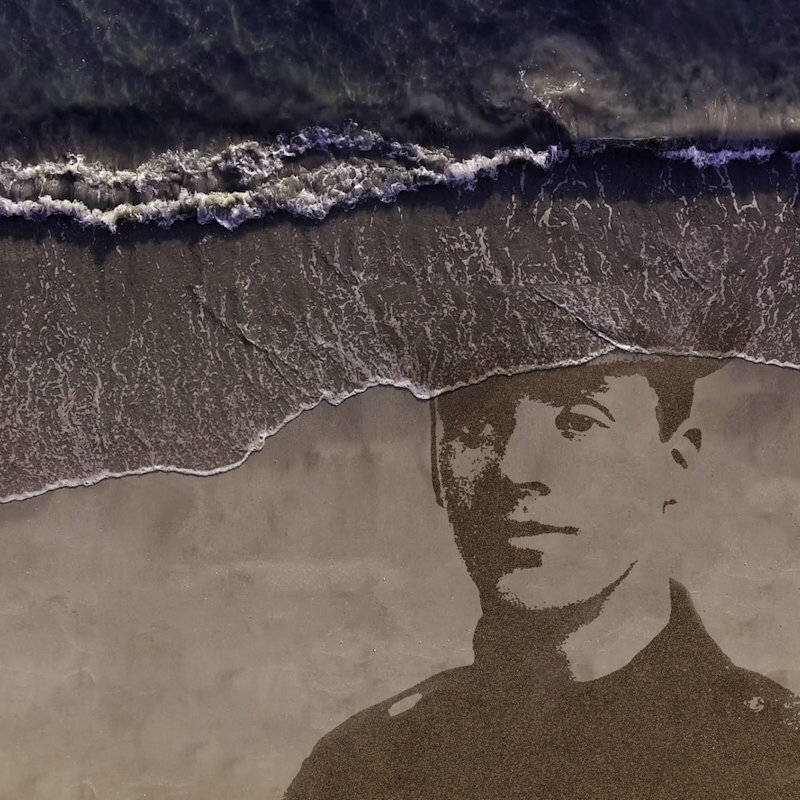 Film-maker Danny Boyle invites you to join him in marking 100 years since Armistice and the end of the First World War. 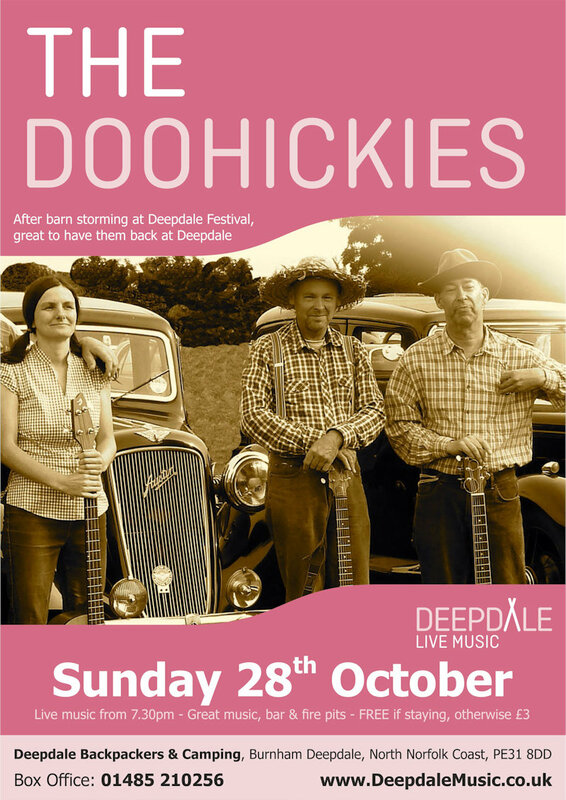 The live music programme at Deepdale Backpackers & Camping continues with a Sunday Session from the very entertaining Doohickies. 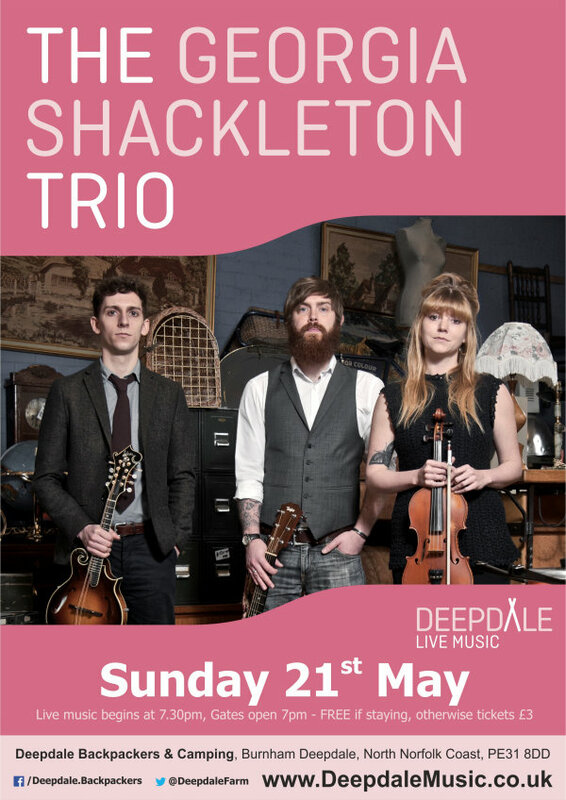 Fabulous to welcome them back after their barn storming performance at Deepdale Festival. 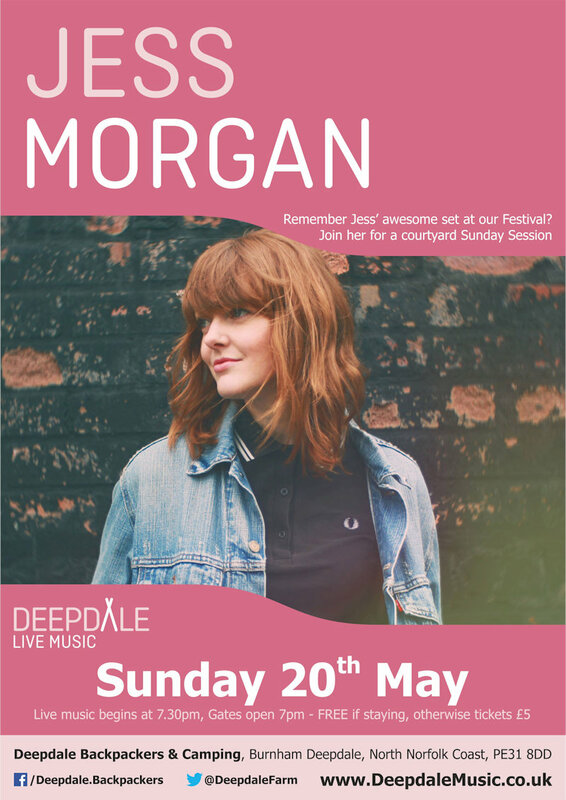 After the success of the 2017 Deepdale Festival, we’ll host our second annual music festival at Deepdale Backpackers & Camping over the last weekend of September 2018. 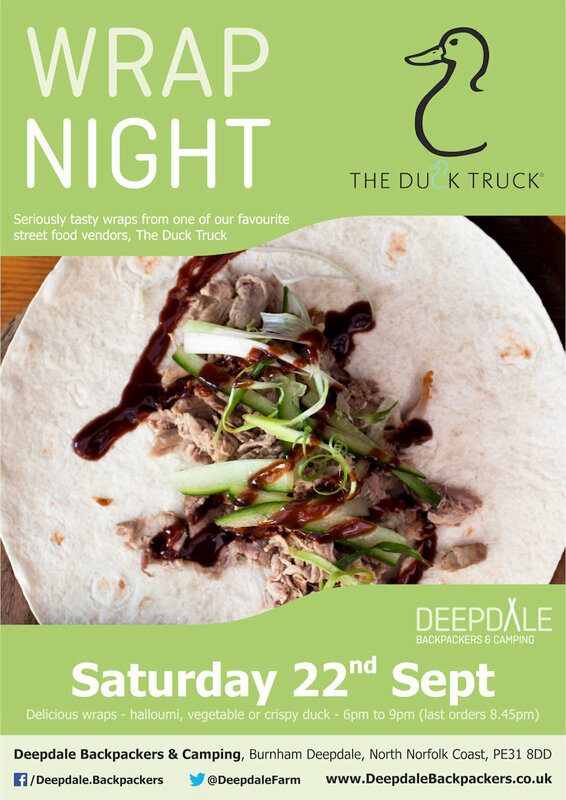 Seriously tasty duck & vegetarian wraps from the ever wonderful Duck Truck, served up at Deepdale during the evening. Eat in the backpackers courtyard, take back to your tent or get a takeaway to take back home with you elsewhere in the village. 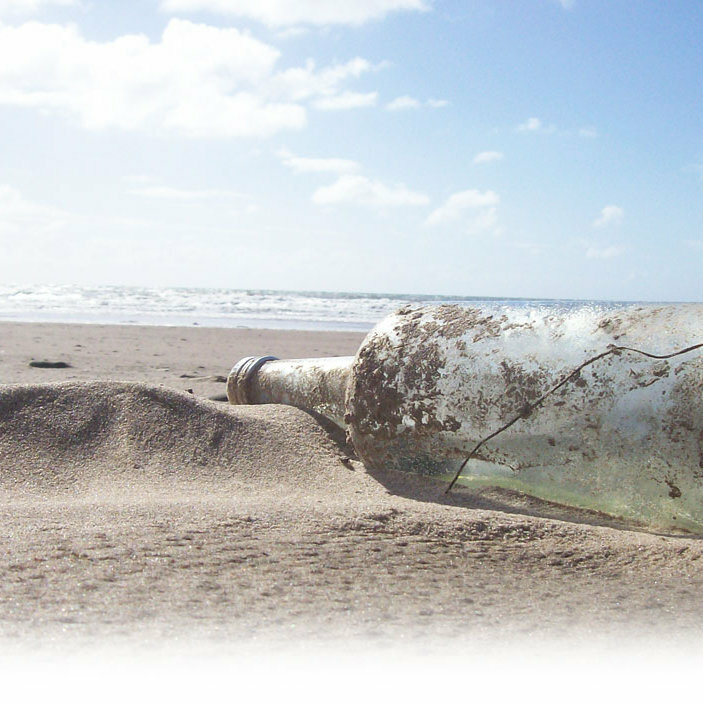 Always a popular event, we shall be heading out to the beach today to learn about the amazing array of items that the tide can through up. The all new craze of Street Food is hitting us. 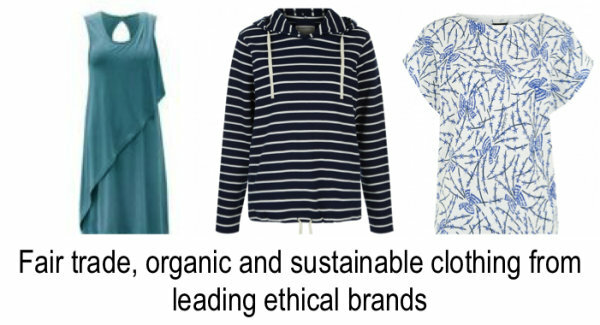 It’s only right that we keep up with the latest trends and make sure we have these things on offer for you all. 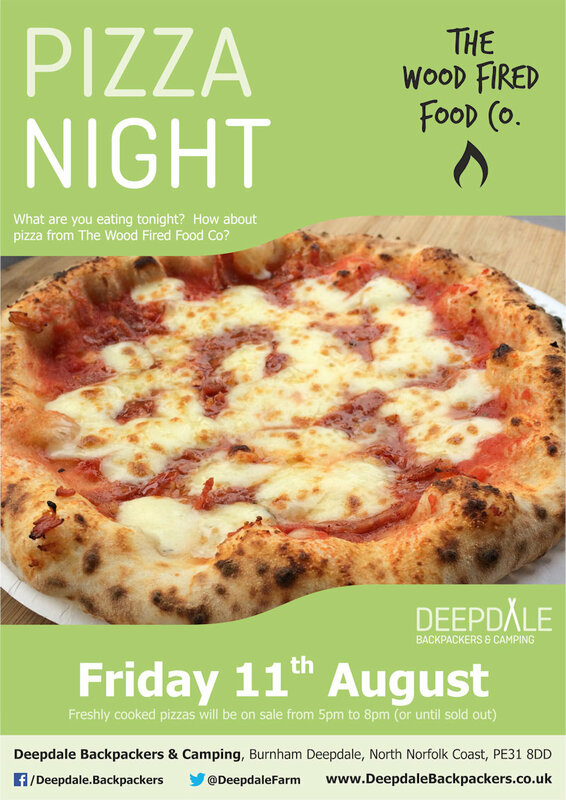 Very very tasty wood fired pizzas from The Wood Fired Food Co, served up at Deepdale during the evening. Eat in the backpackers courtyard, take back to your tent or get a takeaway to take back home with you elsewhere in the village. 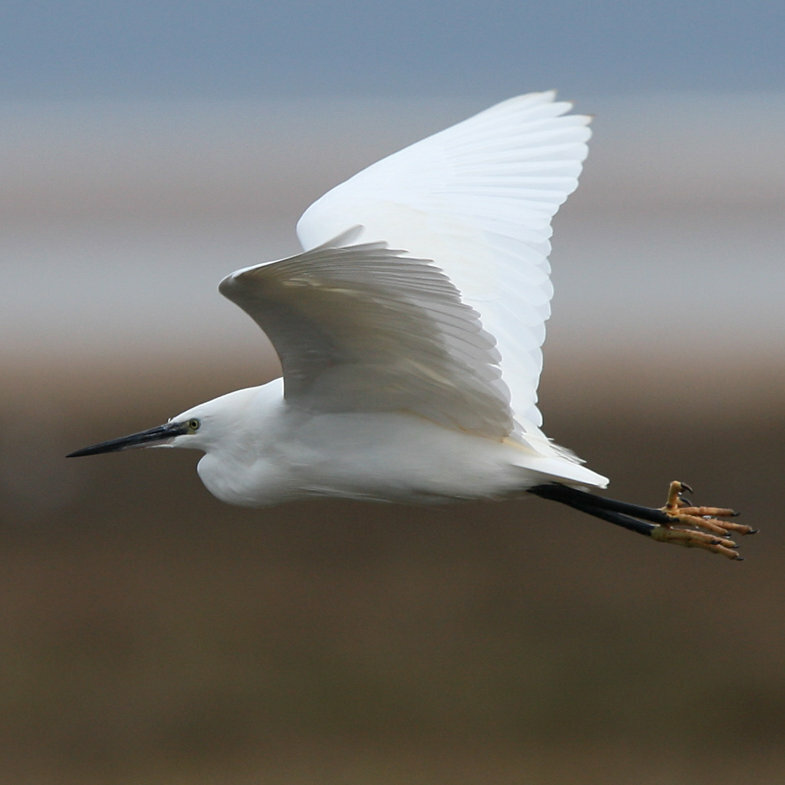 With the saltmarshes at their very best for wildlife in August, we will spend time exploring the wonderful habitats right on our doorstep. 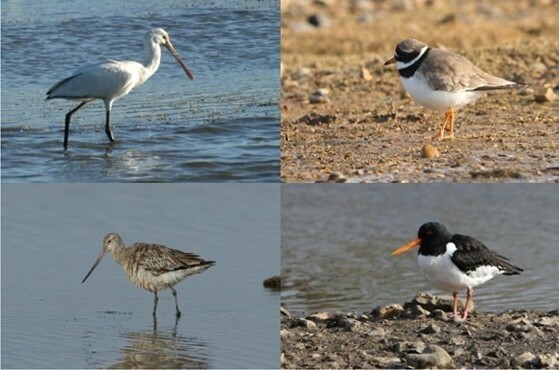 High summer is the perfect time to enjoy the wildlife that abounds in Burnham’s coastal saltmarshes and dunes. 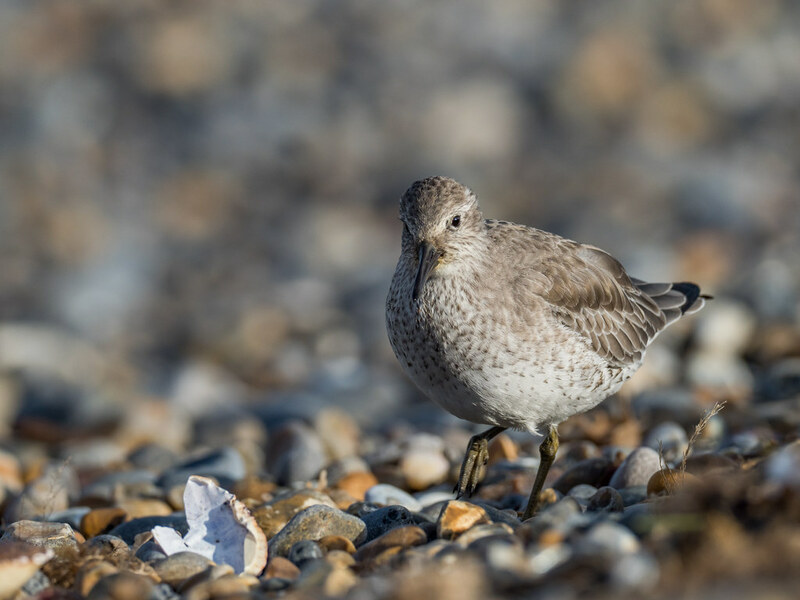 Late spring brings much bird activity to the beach and dunes, as migrant waders, Wheatears and Whinchats will be fattening up before heading north to breed. 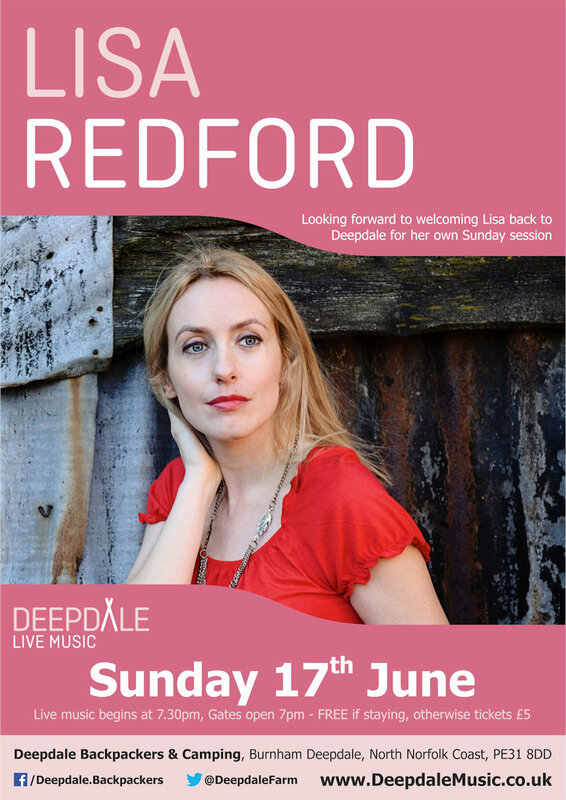 We look forward to welcoming Lisa back to Deepdale for her own Sunday Session, after her wonderful performance at Deepdale Festival. 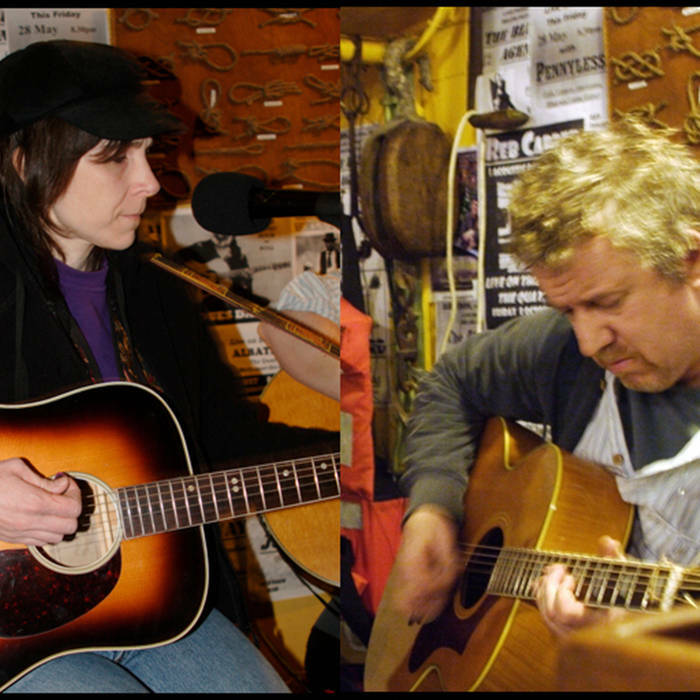 Enjoy a Sunday Session, in the backpackers courtyard, with fire pits & bar, while Lisa plays her acoustic music. 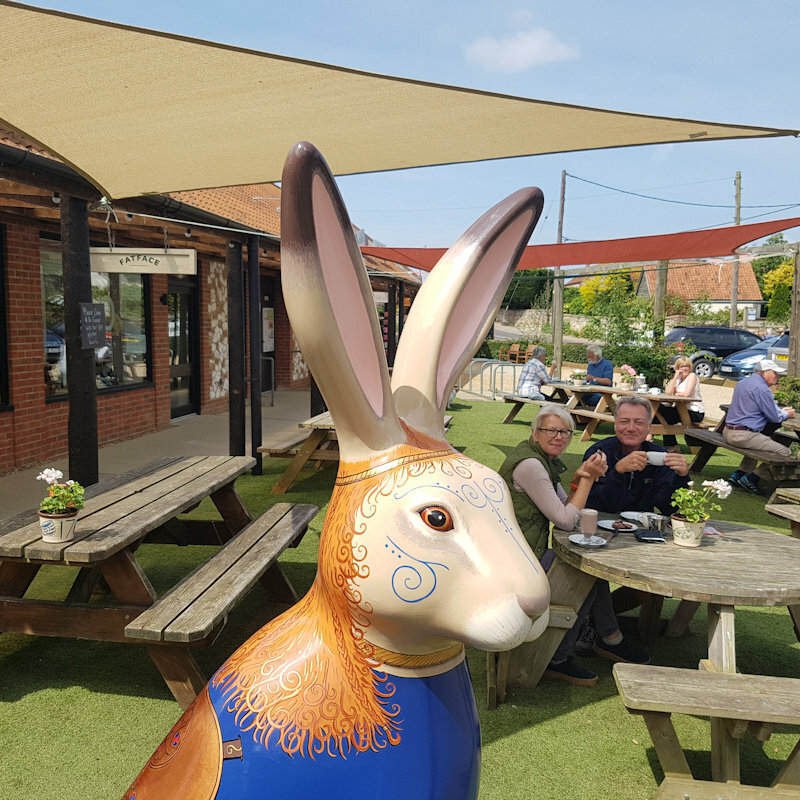 Deepdale Backpackers & Camping and Dalegate Market are very proud to be hosting BoudiccHare, the GoGoHare which we are helping to sponsor with the Friends of Iceni. 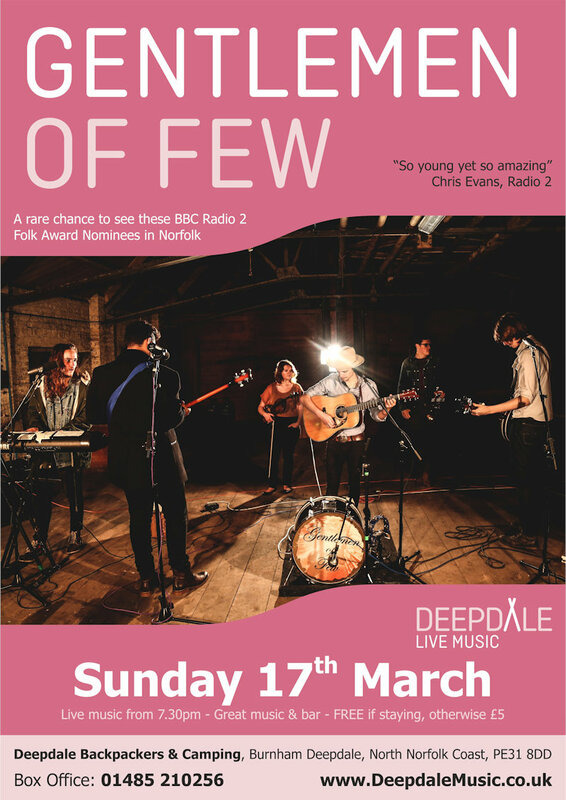 Deepdale Backpackers & Camping, MarGins Walking & Glamping, Retro Campers Norfolk, Dalegate Market, and Norfolk Coast Partnership have put together a wonderful collection of prizes for this competition. You could win by simply filling out this form. 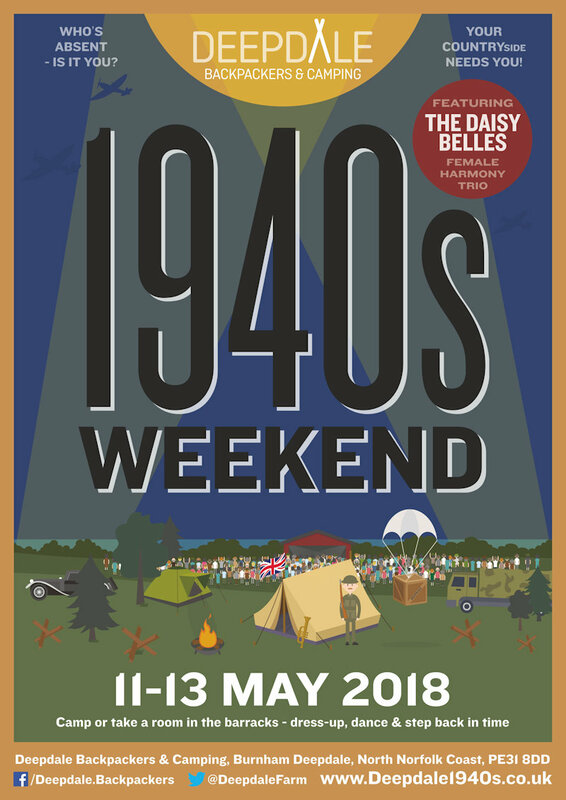 When one of our crew suggested a visit to the stylish 1940s, how could we say no ... So we invite you to join us for a step back in time, including 1940s movie night, dance lessons, and the Daisy Belles in concert. 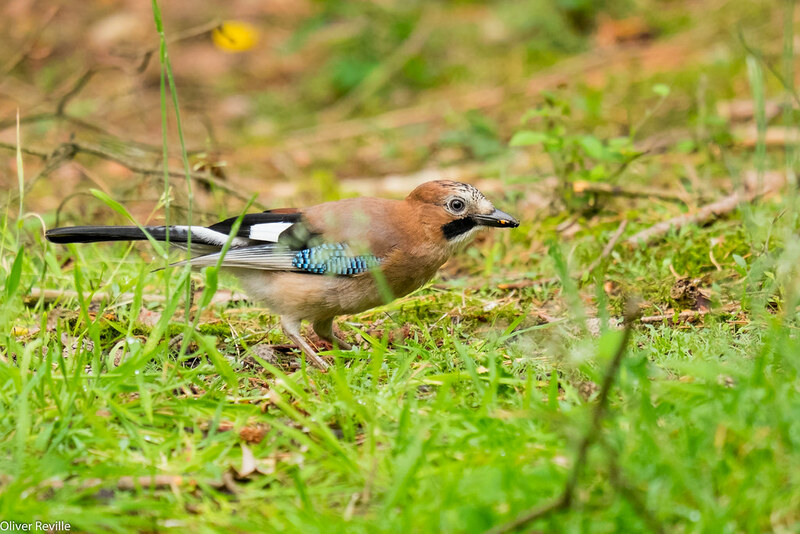 A scenic walk through open woodland to Holkham Lake. 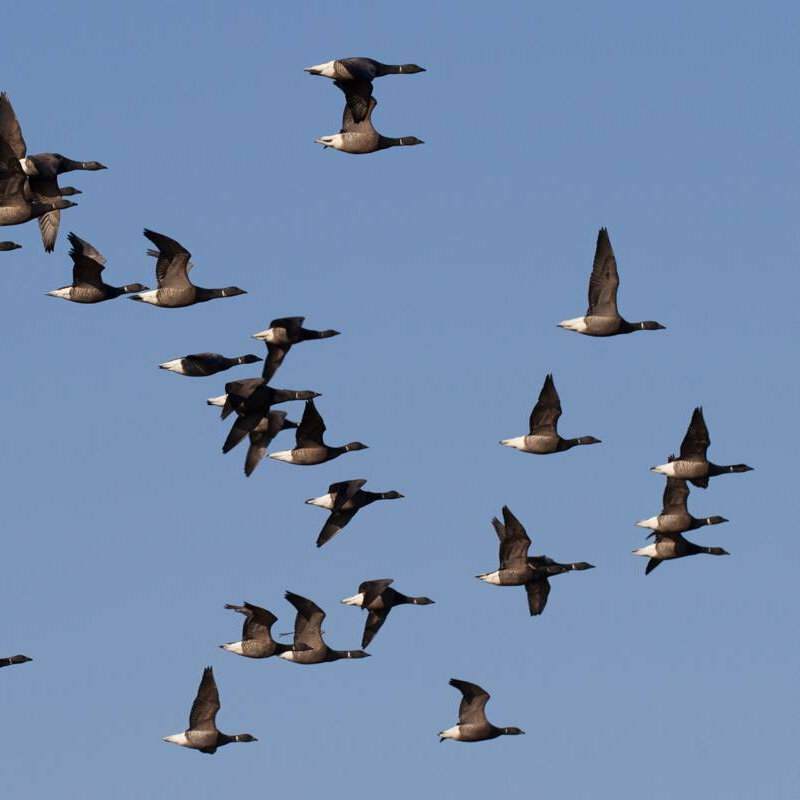 In early spring, woodland birds will be in song, Grey Squirrels and Fallow Deer will be active and the lake’s waterlife will be bursting with activity. 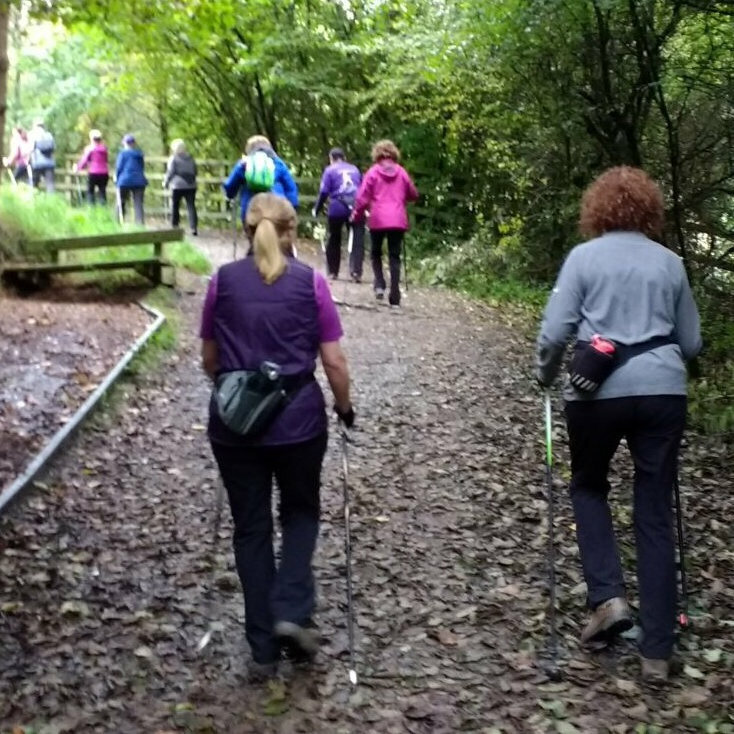 Simply enjoy sociable Nordic walking in stunning locations with amazing views and get the ’feel-good’ factor from the poles! 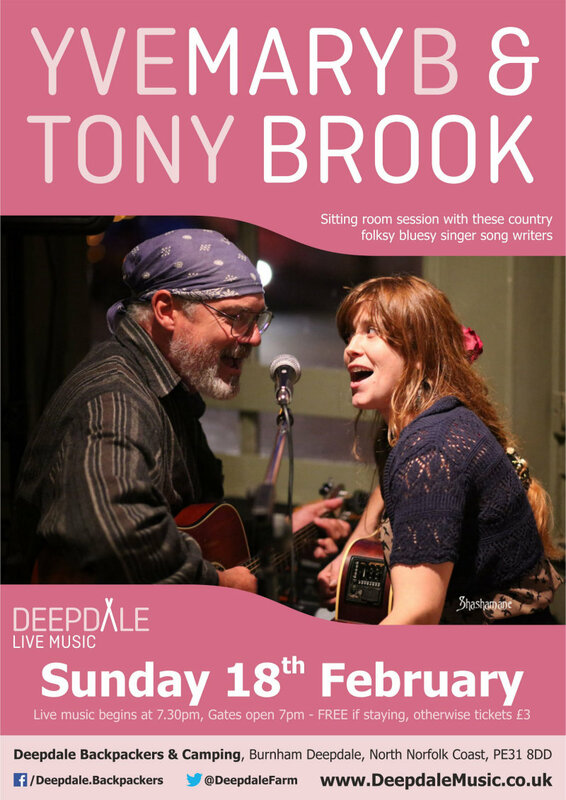 To start 2018 we thought we’d offer something a little different in our Deepdale Music programme, spoken word about music. 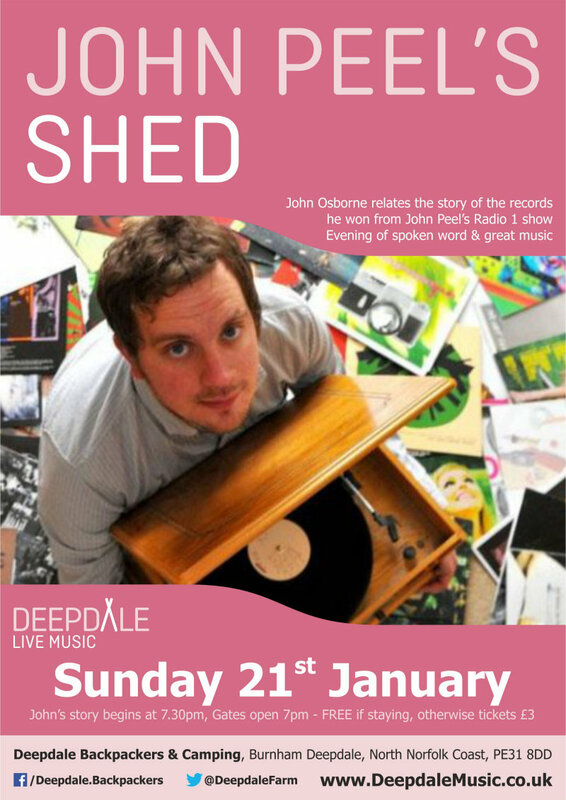 We are really pleased to welcome John Osborne, poet & story teller, to tell the story of the records he won from John Peel. 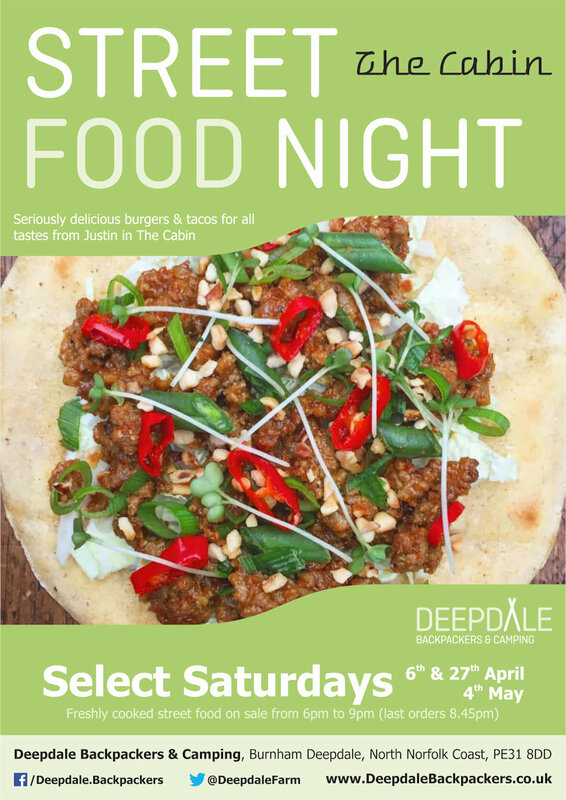 Deepdale Cafe will be closed for their annual deep clean and refit. 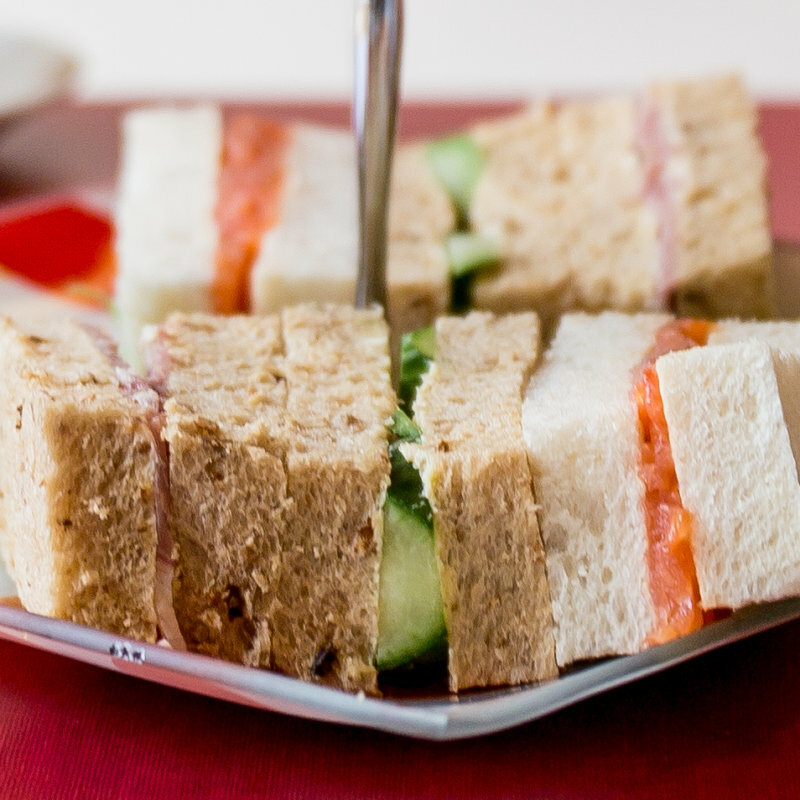 Apologies for any inconvenience, and we hope to see you back enjoying the cafe from Friday 12th January. North Norfolk Coast shopping that’s not on the high street from local producers & artisans. 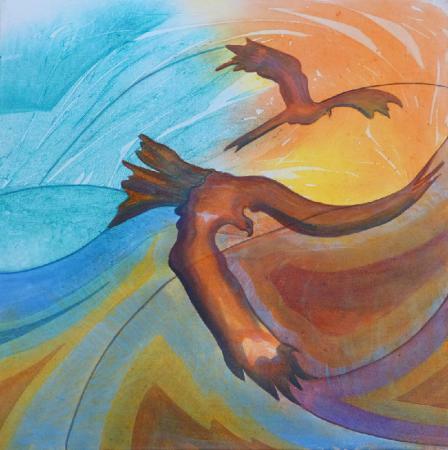 Dalegate Market will host Zen Creations UK & Mimi Emmett England in the beach huts this week. North Norfolk Coast shopping that’s not on the high street from local producers & artisans. 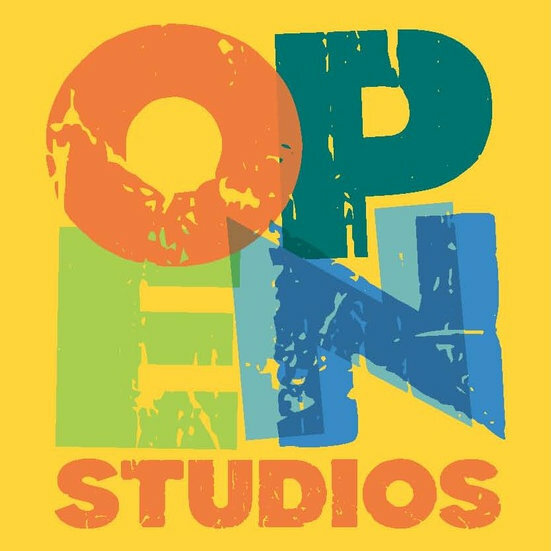 Dalegate Market will host Arts Unlimited, The Beach Hut Studio/Gallery, Newleaf Woodcraft & Happy Monkey Gifts in the beach huts this week. 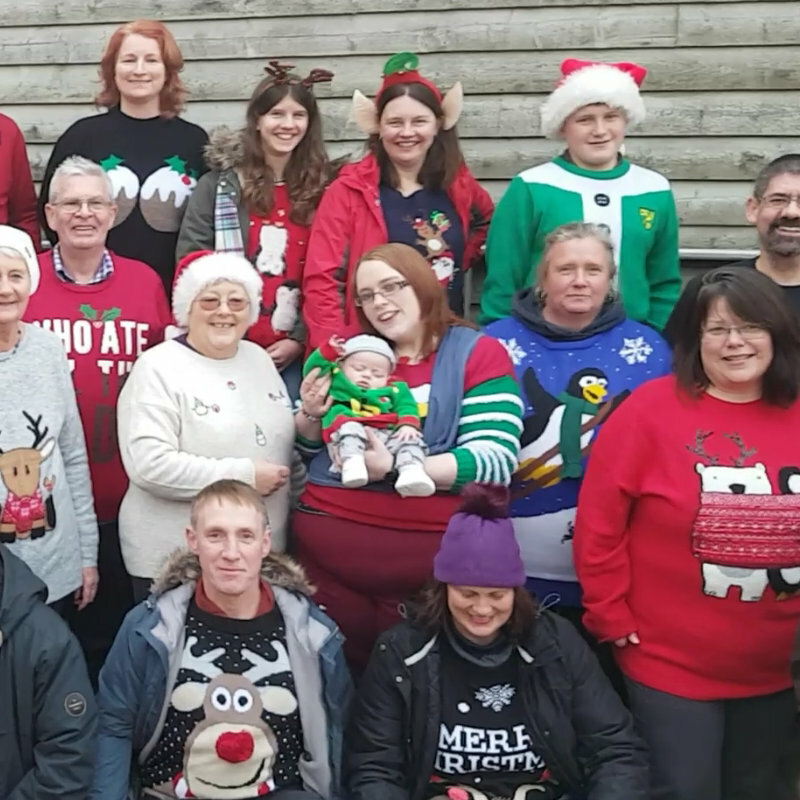 We are unapologetic fans of the Christmas Jumper, and where better to celebrate them than at Deepdale Christmas Market 2017. So we are organising a flash mob photo for anyone who fancies joining us wearing their favourite Christmas Jumper! 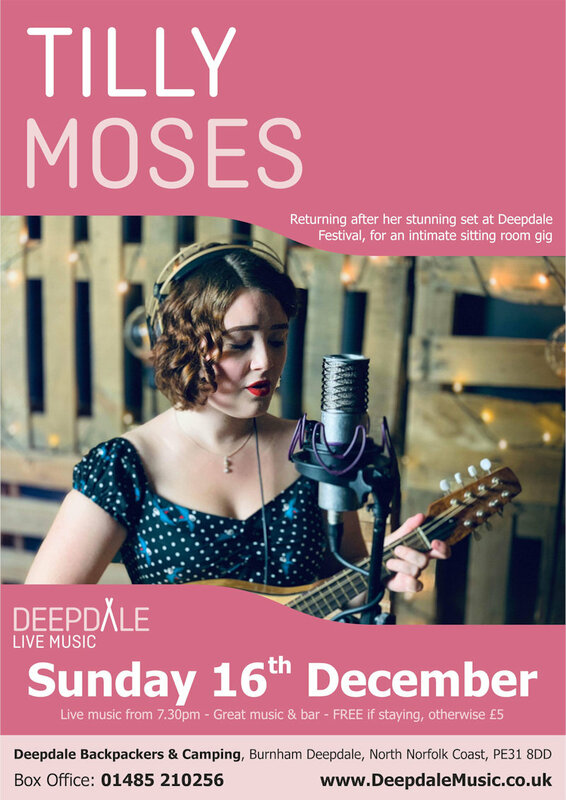 Stock up on all those Christmas decorations and presents at the Deepdale Christmas Market, while enjoying plenty of festive cheer, live music and excellent food & drink. 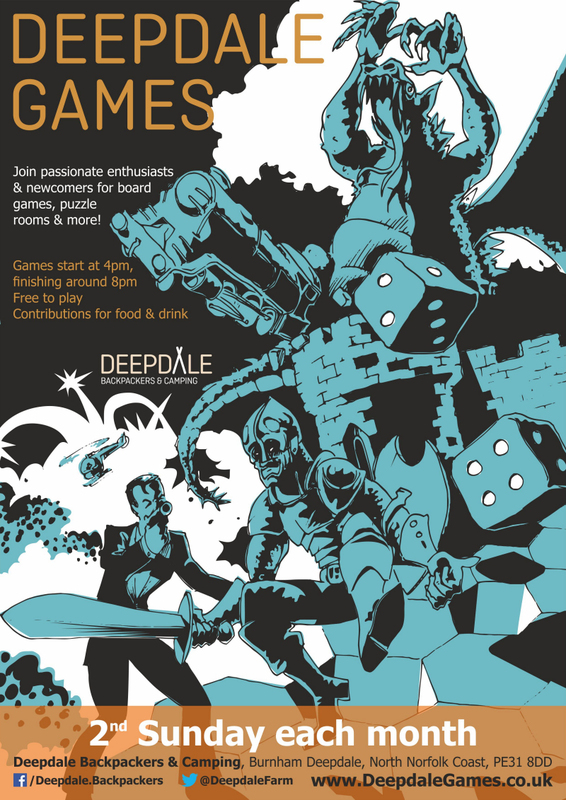 The last time the Fried Pirates played at Deepdale Cafe it was an afternoon to be remembered. North Norfolk Coast shopping that’s not on the high street from local producers & artisans. 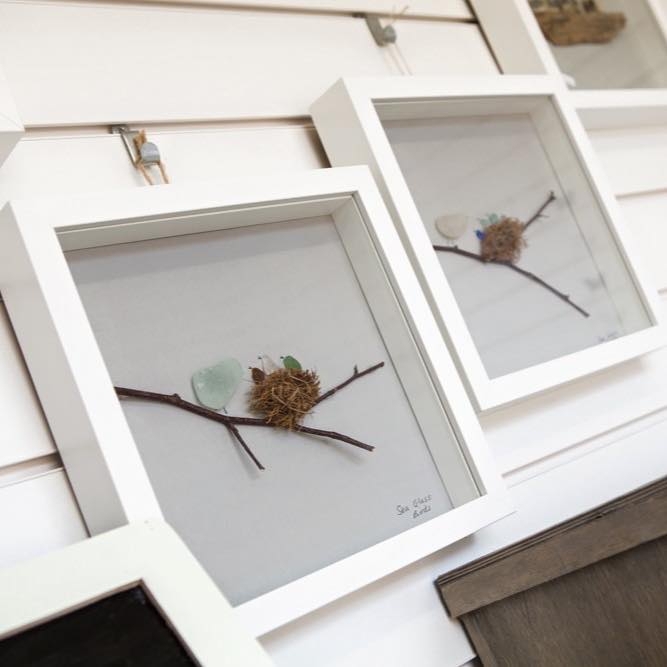 Dalegate Market will host Briony Machin Studios & Evergreen Cottage Crafts in the beach huts this week. North Norfolk Coast shopping that’s not on the high street from local producers & artisans. Dalegate Market will host Forever Living, Eileen and Alf arts and crafts, Firefly Designs & Kocokookie Kreations in the beach huts this week. 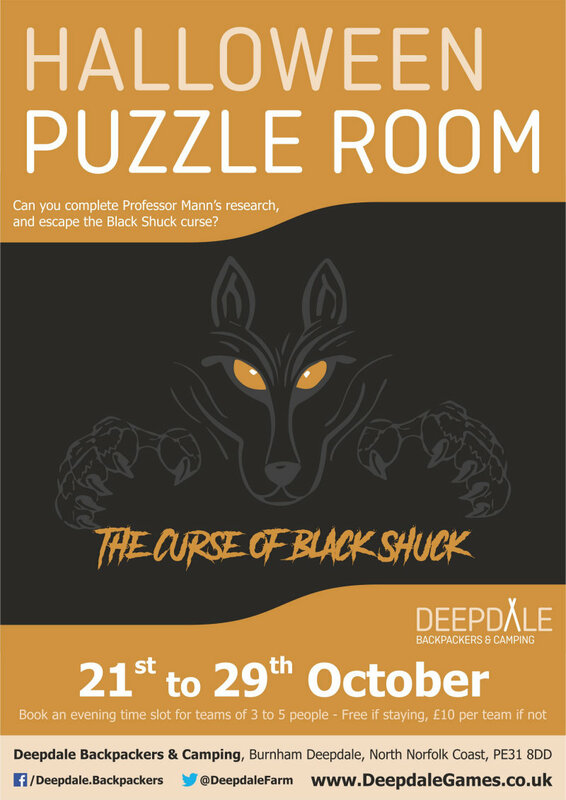 Can you break the curse of Black Shuck? Complete the research of the lost professor by completing the puzzles to avoid the curse! North Norfolk Coast shopping that’s not on the high street from local producers & artisans. 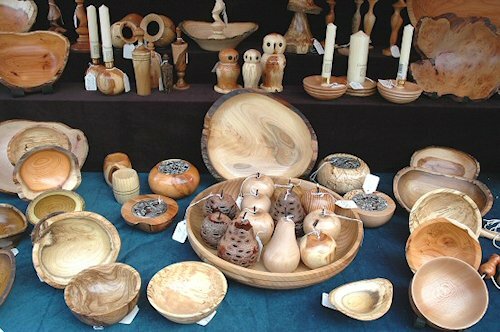 Dalegate Market will host Libaohp , Newleaf Woodcraft, Creakey Crafts & Richard Rood in the beach huts this week. 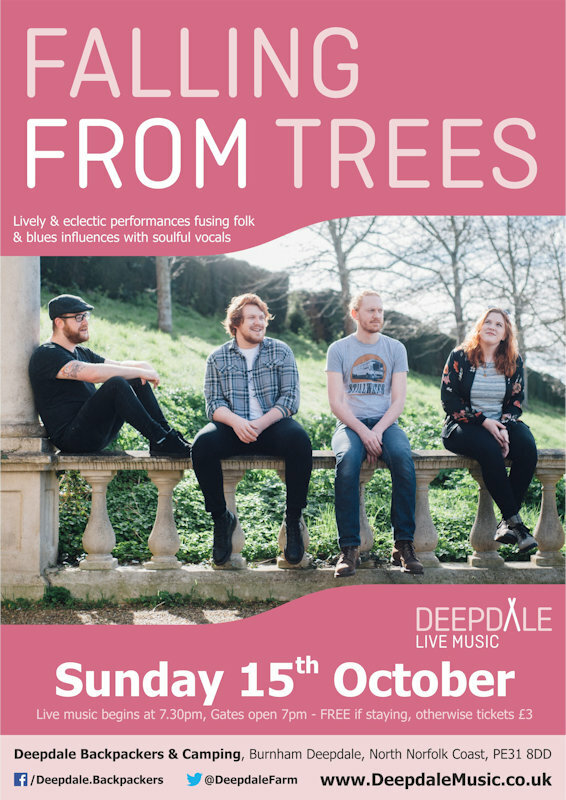 The live music programme at Deepdale Backpackers & Camping continues with a Sunday Session by the wonderful folk & blues fusion that is Falling From Trees. North Norfolk Coast shopping that’s not on the high street from local producers & artisans. 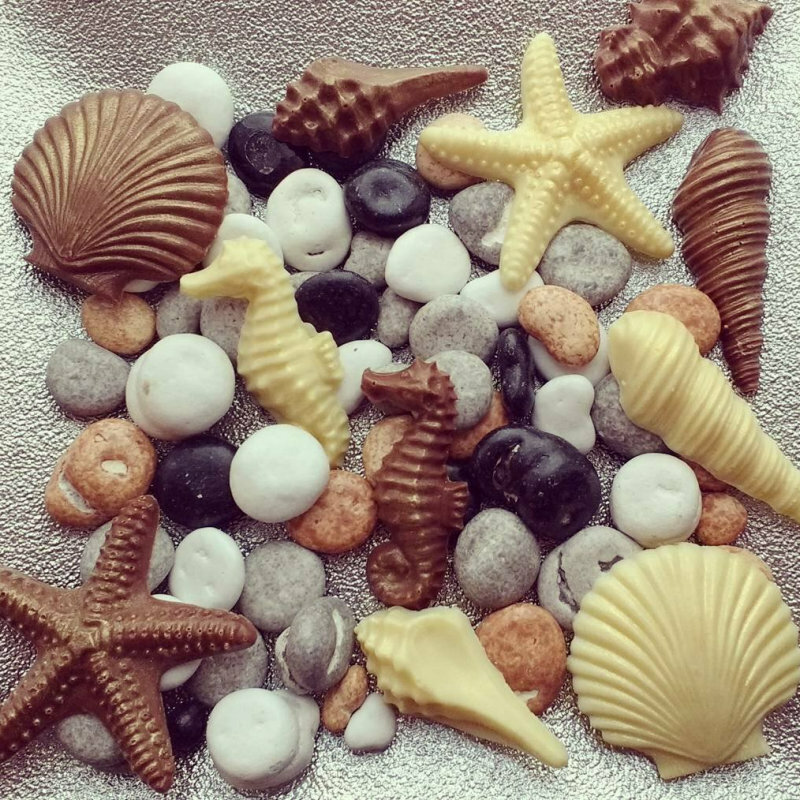 Dalegate Market will host Evergreen Cottage Crafts & Boo Boutique in the beach huts this week. North Norfolk Coast shopping that’s not on the high street from local producers & artisans. 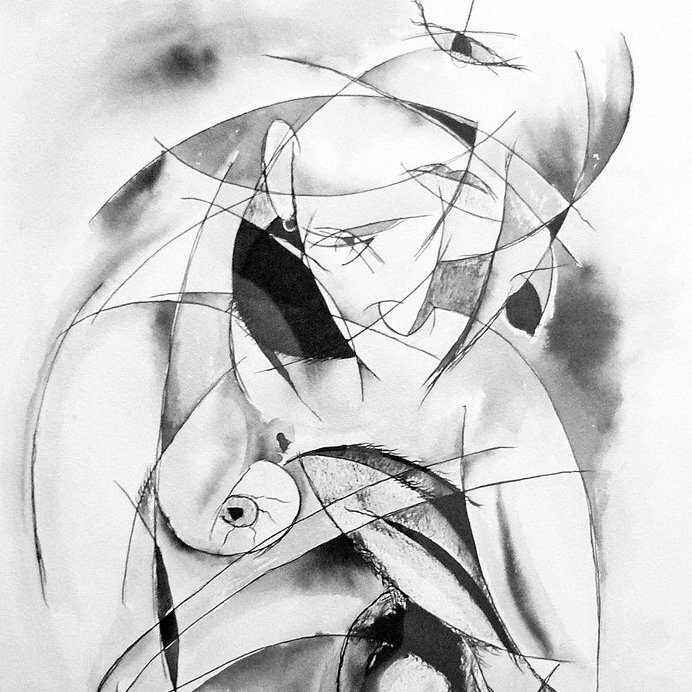 Dalegate Market will host Libaohp, Workx of Artz, Meg Matthews Jewellery & Richard Rood in the beach huts this week. North Norfolk Coast shopping that’s not on the high street from local producers & artisans. Dalegate Market will host J&Ms Crafting Creations, DB Craft Creations, The Busy Box Room & Boo Boutique in the beach huts this week. North Norfolk Coast shopping that’s not on the high street from local producers & artisans. 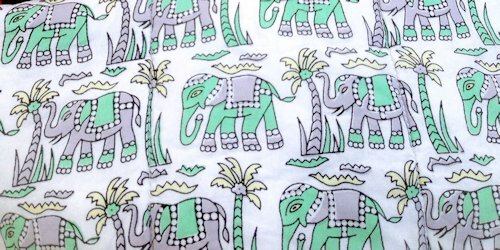 Dalegate Market will host Larking Around, Lottie’s Little Treasures & Me and You and Daisy Too in the beach huts this week. North Norfolk Coast shopping that’s not on the high street from local producers & artisans. 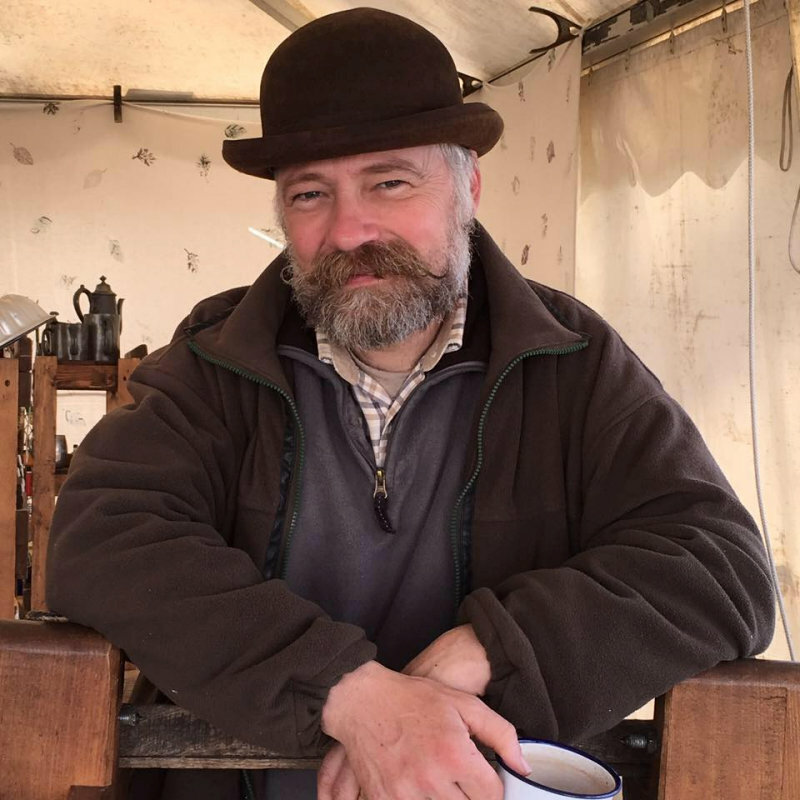 Dalegate Market will host Creakey Crafts, La Lievre Jewellery, Pebbles Photography & Picture Framing & Artwork by James Buttifant in the beach huts this week. North Norfolk Coast shopping that’s not on the high street from local producers & artisans. 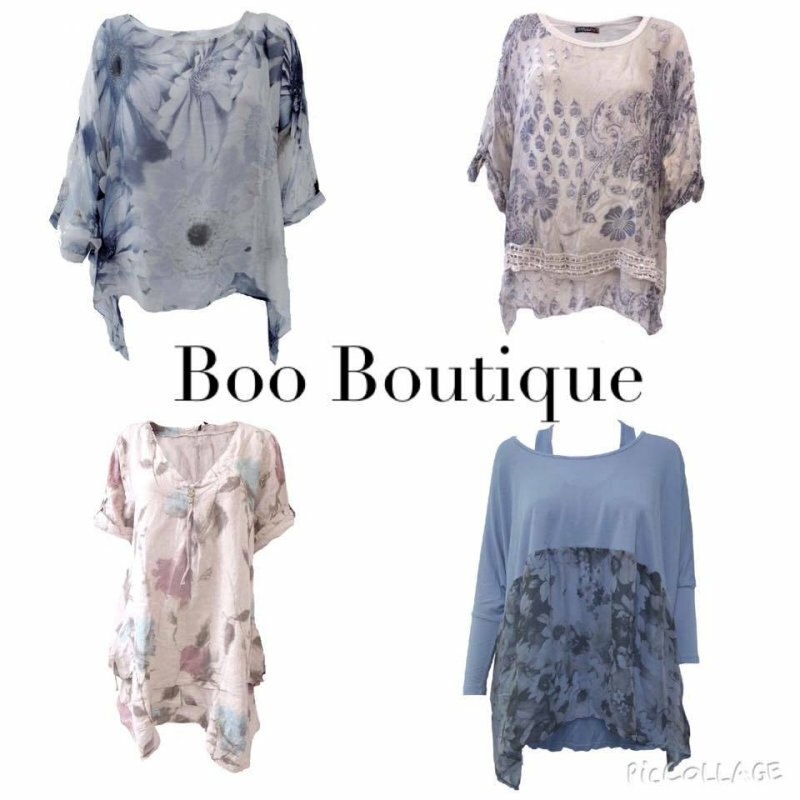 Dalegate Market will host Boo Boutique, Collectiviste, Robert & Son Beachwear & Tuffdogs Stuff Ltd in the beach huts this week. North Norfolk Coast shopping that’s not on the high street from local producers & artisans. 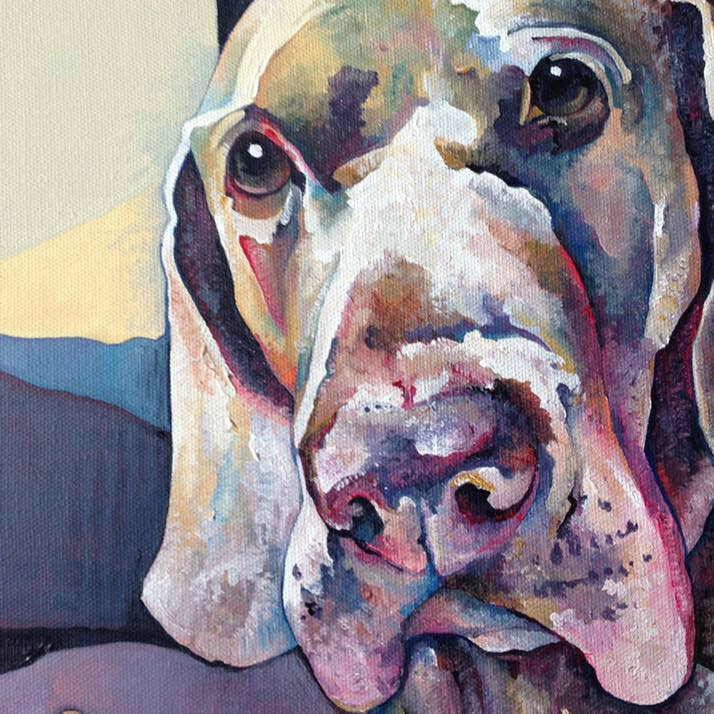 Dalegate Market will host Cal Lain - Artist, LALOA, Sweet Treats by Lou & Boo Boutique in the beach huts this week. North Norfolk Coast shopping that’s not on the high street from local producers & artisans. Dalegate Market will host Libaohp, Novel Hogs etc, Pebbles Photography & Picture Framing & Cal Lain - Artist in the beach huts this week. North Norfolk Coast shopping that’s not on the high street from local producers & artisans. 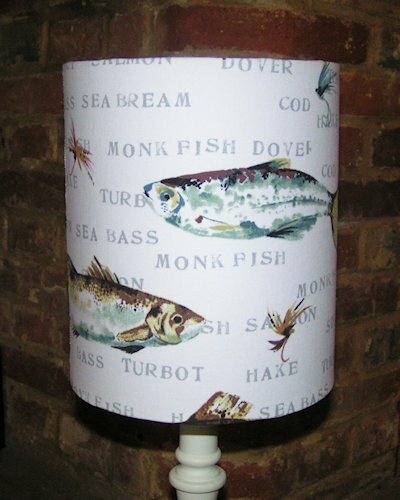 Dalegate Market will host Firefly designs & Libaohp in the beach huts this week. 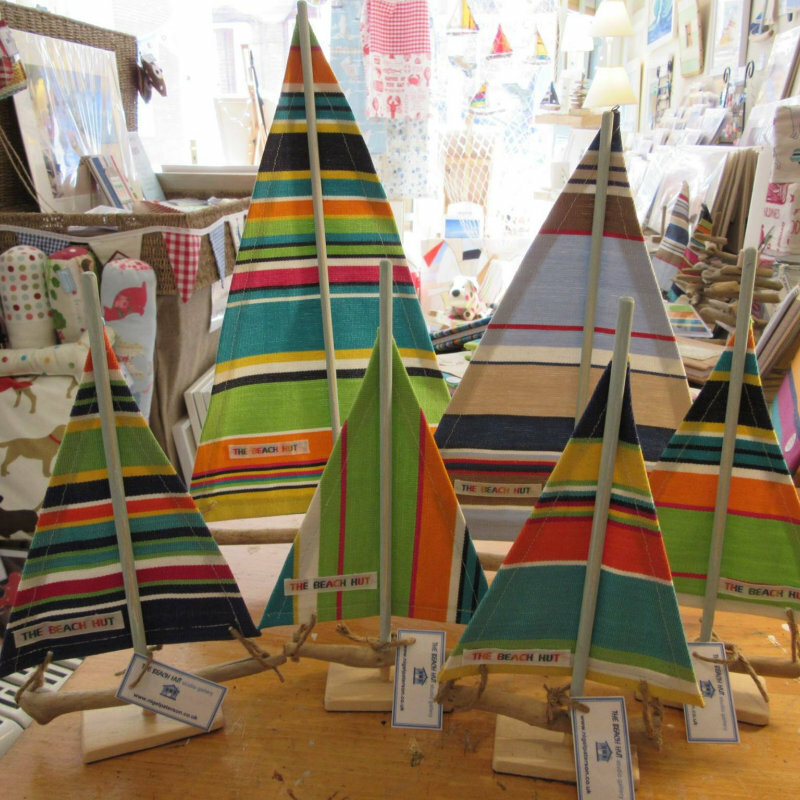 North Norfolk Coast shopping that’s not on the high street from local producers & artisans. 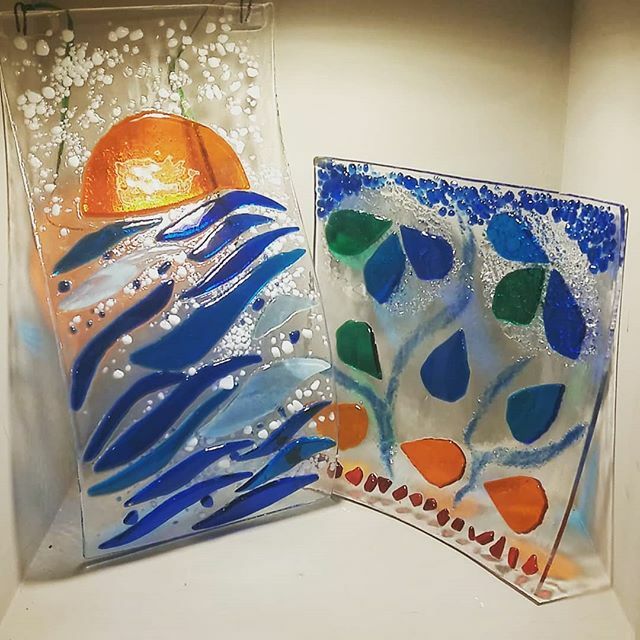 Dalegate Market will host Maison Le Lou, The Beach Hut Studio/Gallery, Arts Unlimited & Orchard Felts in the beach huts this week. North Norfolk Coast shopping that’s not on the high street from local producers & artisans. 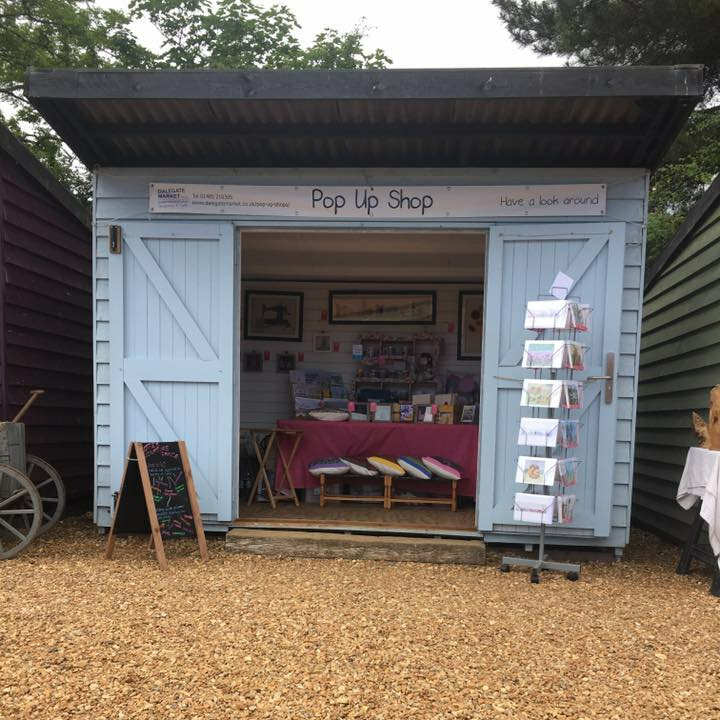 Dalegate Market will host Colour Me Vintage, Sue Welfare’s Making Things, Gone Rural & Norfolk Coastal Memories in the beach huts this week. 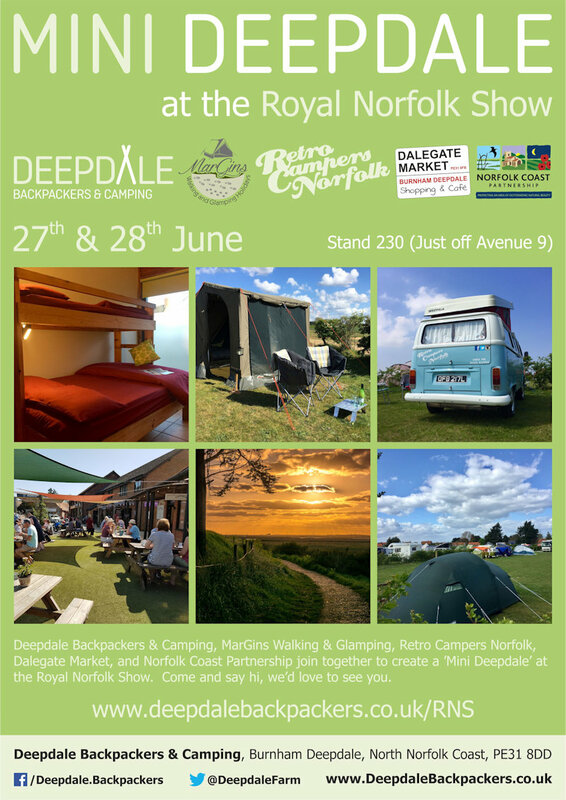 Deepdale Backpackers & Camping and Dalegate Market are joining forces with a stand on The Tourism Village - ’Enjoy a Day Out’ on Stand 254 (Between 1st Drive & Avenue 9) at the Royal Norfolk Show. 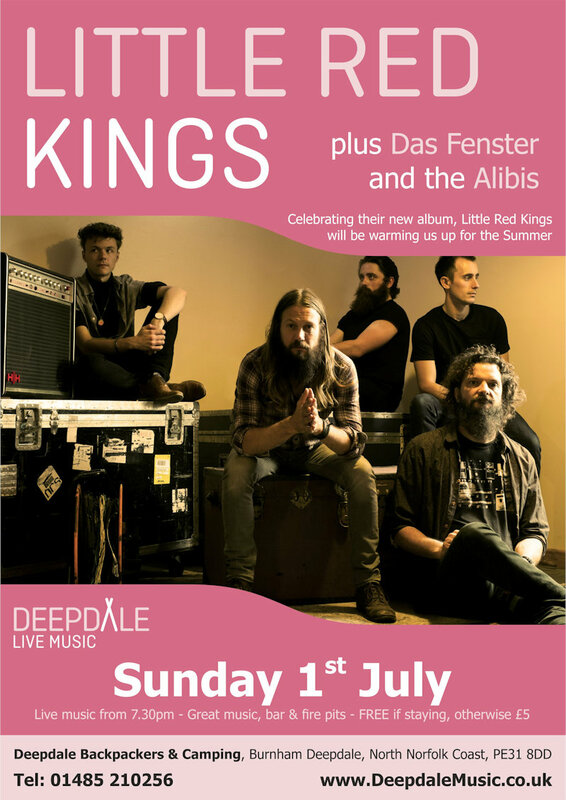 As it was so busy in May for the Live Music Sunday at Deepdale Cafe, Tinks & Ball are returning on 25th June for those who didn’t manage to catch them. North Norfolk Coast shopping that’s not on the high street from local producers & artisans. 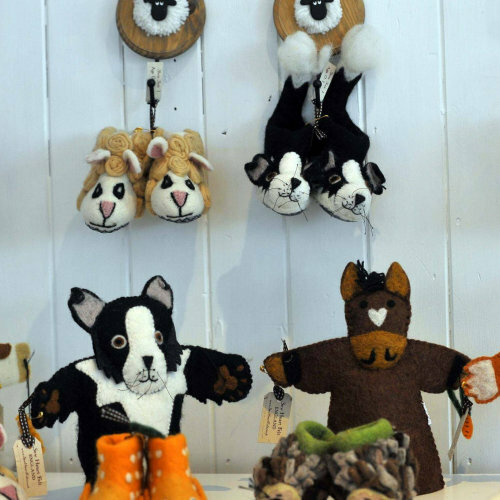 Dalegate Market will host Hindolveston Crafts in Action in the beach huts this week. 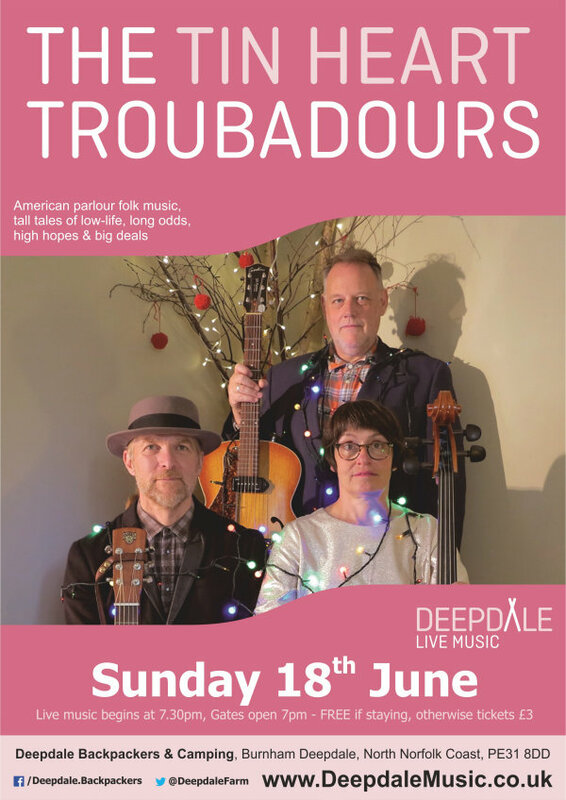 Our Sunday Sessions continue with an appearance from Norfolk-based Americana trio, The Tin Heart Troubadours. Their songs ‘tell tall tales of low-life, long odds, high hopes and big deals ... short stories of hot nights & cold lead in Heaven & Hell! 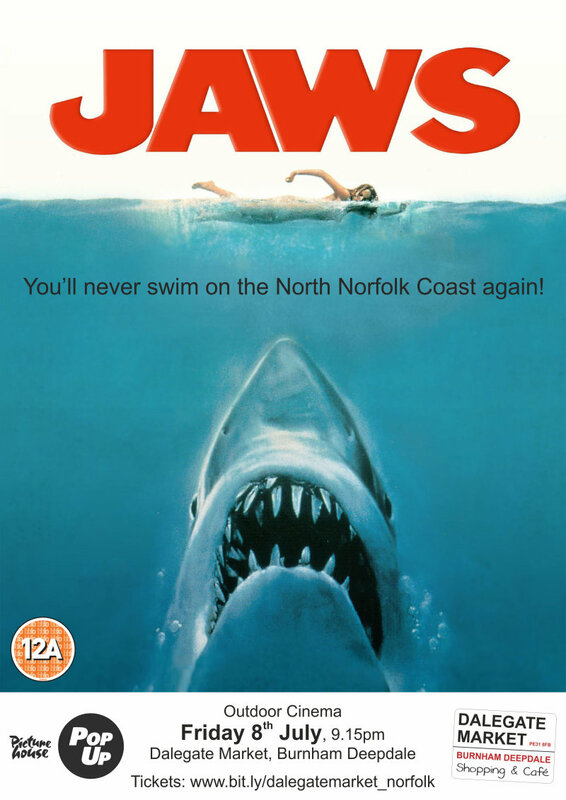 North Norfolk Coast not on the high street shopping from local producers & artisans. 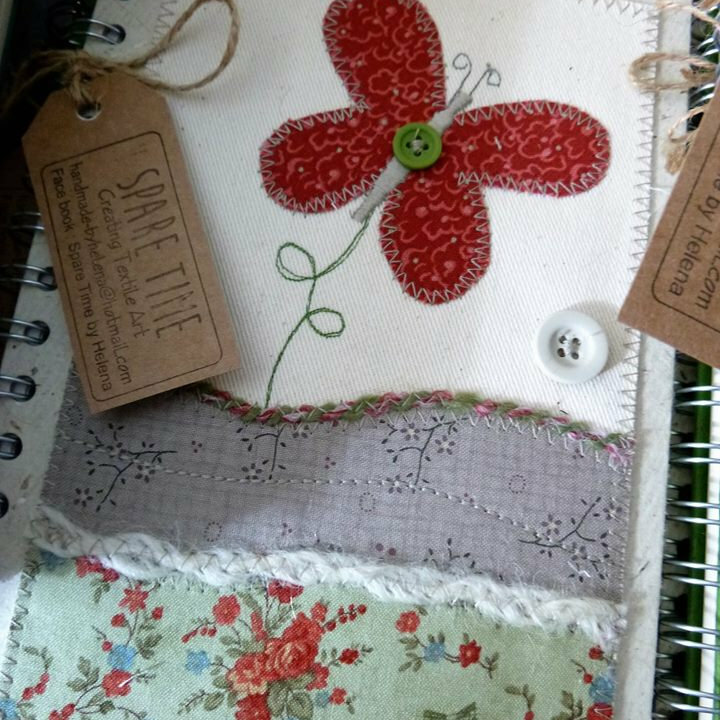 Dalegate Market will host Charmaine’s Country Collection, Lottie’s Little Treasures, Newleaf Woodcraft & Fabricfantasie/D D Jewellery in the beach huts this week. North Norfolk Coast shopping that’s not on the high street from local producers & artisans. 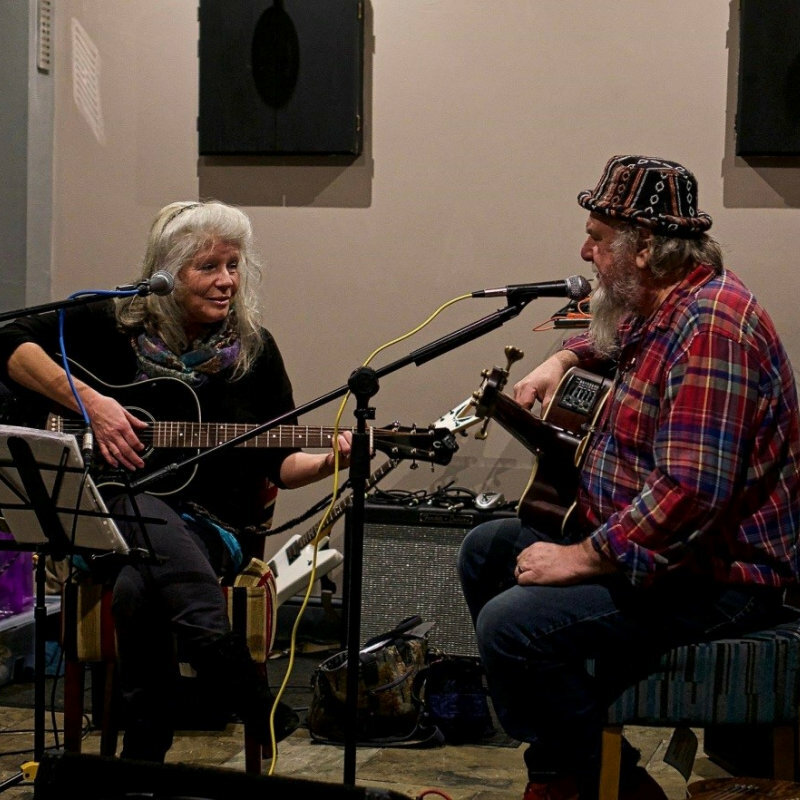 Dalegate Market will host Katherena & CeeCees in the beach huts this week. This June, take the challenge and do one wild thing every day! Why? It’s 30 Days Wild! North Norfolk Coast shopping that’s not on the high street from local producers & artisans. 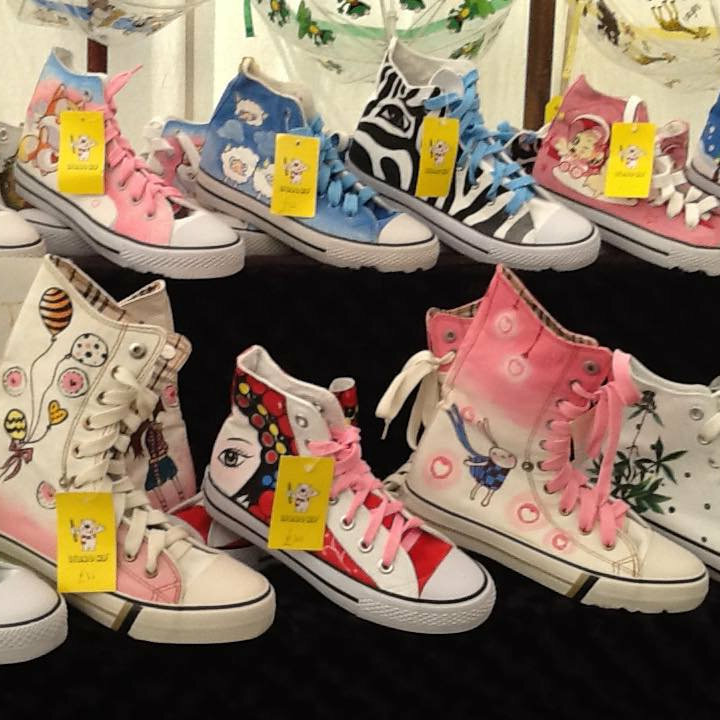 Dalegate Market will host J&Ms crafting creations, Stuff with Style, Spare Time & Boo Boutique in the beach huts this week. North Norfolk Coast shopping that’s not on the high street from local producers & artisans. 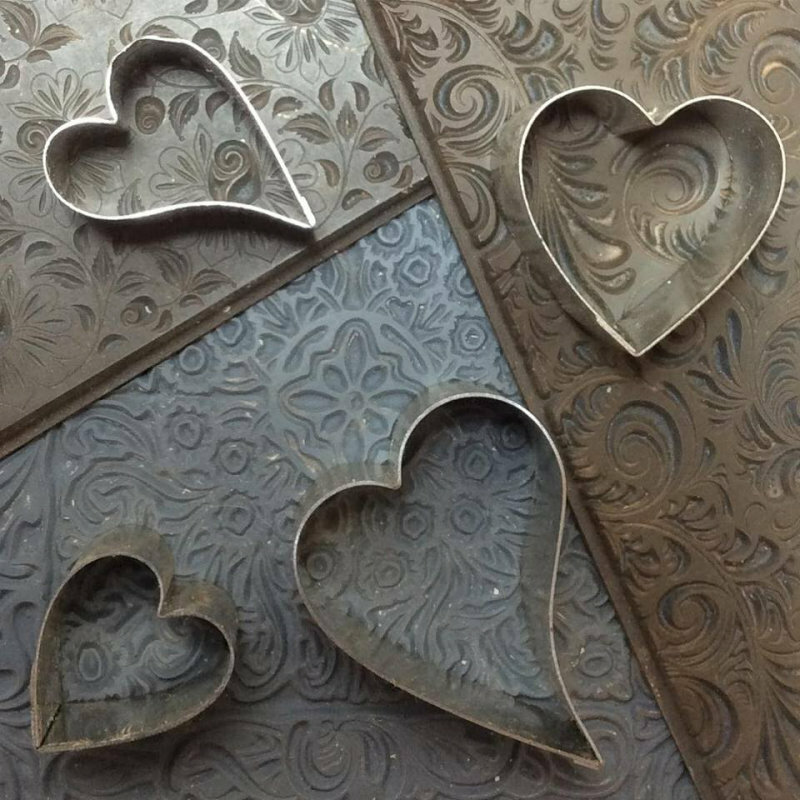 Dalegate Market will host Newleaf Woodcraft, So Sweet, Jay Seabrook Printmaker & Cushion Cottage in the beach huts this week. North Norfolk Coast shopping that’s not on the high street from local producers & artisans. 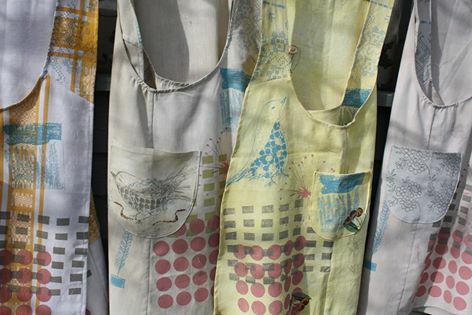 Dalegate Market will host Chop Chop Kitchenware, Warlingham Wines & Charmaine’s Country Collection in the beach huts this week. The biggest event in the market calendar, #LYLM2017 is now in it’s sixth year and over 1200 British markets are expected to take part. North Norfolk Coast shopping that’s not on the high street from local producers & artisans. 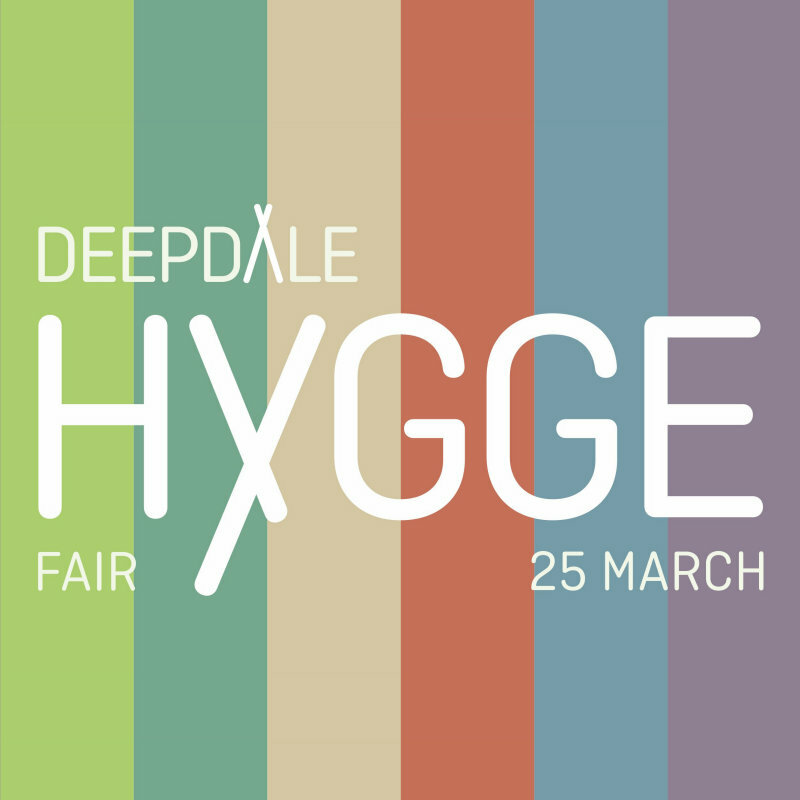 Dalegate Market will host CeeCees & Westfield Forge in the beach huts this week. North Norfolk Coast shopping that’s not on the high street from local producers & artisans. Dalegate Market will host Nutty Crafts & KCR Crafts, Sue Welfare’s Making Things & Flitz Fotos in the beach huts this week. 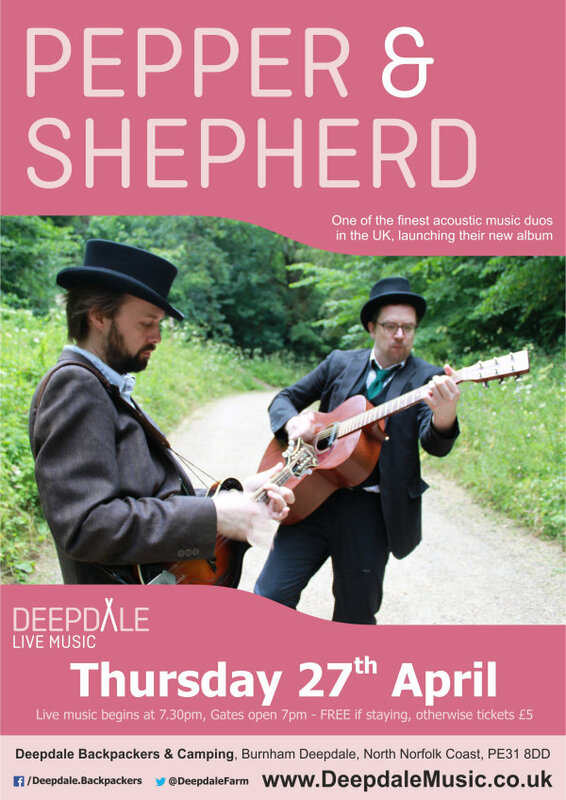 One of the finest acoustic music duos in the UK, launching their new album with a live music gig here at Deepdale Backpackers & Camping. North Norfolk Coast shopping that’s not on the high street from local producers & artisans. 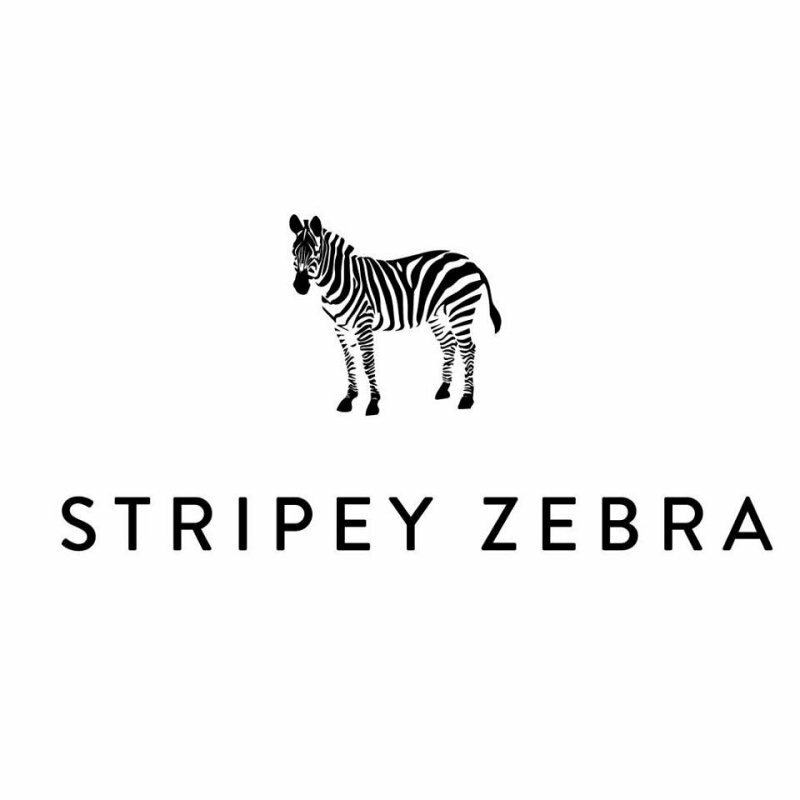 Dalegate Market will host Libaohp, Amazing Reptiles, Stripey Zebra & CU / Completely Unique in the beach huts this week. North Norfolk Coast shopping that’s not on the high street from local producers & artisans. 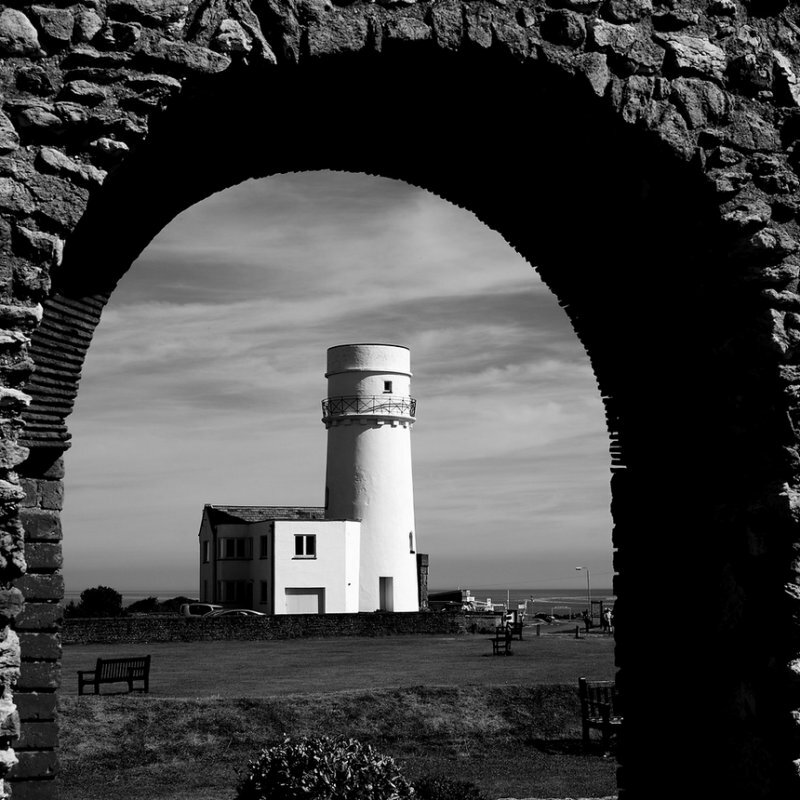 Dalegate Market will host Black Cat Button & Stitch In Time / Gary Shore Photo in the beach huts this week. North Norfolk Coast shopping that’s not on the high street from local producers & artisans. 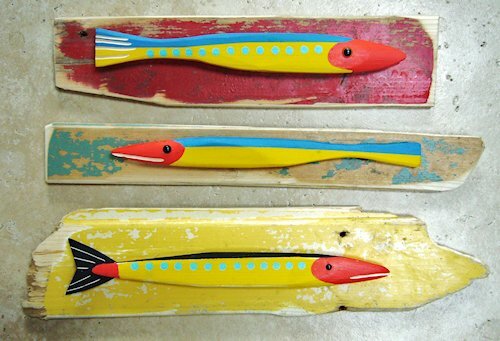 Dalegate Market will host Amazing Reptiles & Chop Chop Kitchenware in the beach huts this week. Deepdale Backpackers & Camping will be hosting the North Norfolk Coast Hygge Fair as part of the Deepdale Hygge & Deepdale Spring Market. 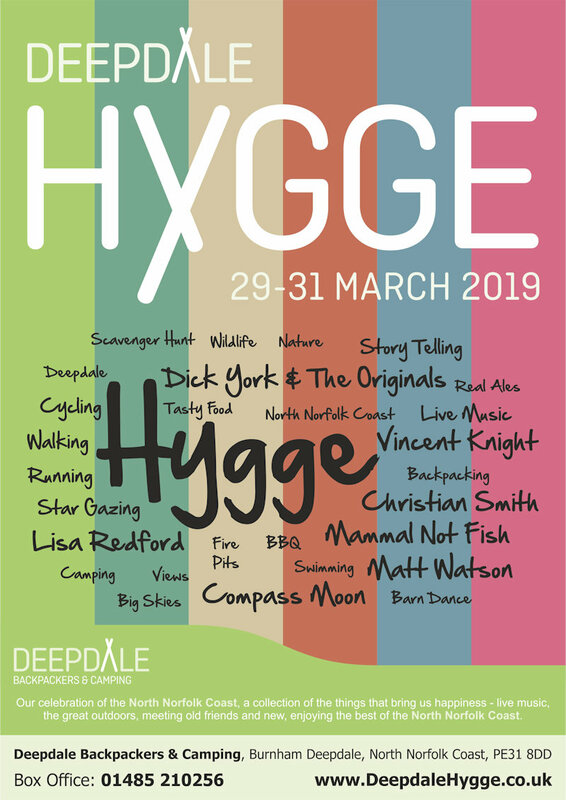 This event is about finding your North Norfolk Coast Hygge, basically what makes you happy in North Norfolk. 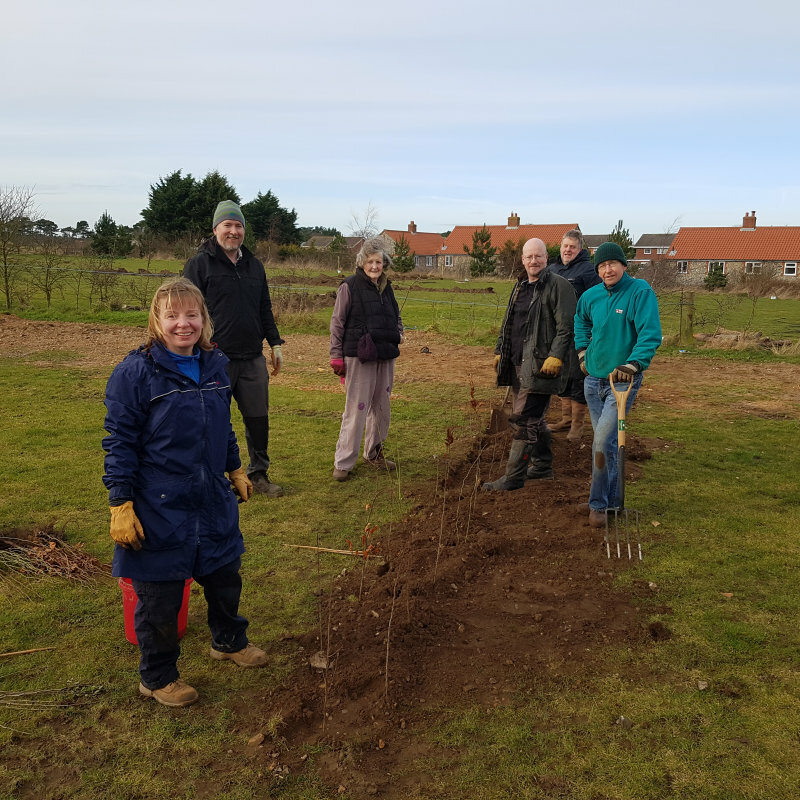 We look forward to welcoming you to Dalegate Market in Burnham Deepdale for the Deepdale Spring Market with 50+ Norfolk artisans & producers, the start of Spring on the beautiful North Norfolk Coast. Keshco are carrying out a complete refit of the supermarket and fuel station at Dalegate Market in Burnham Deepdale. This means both the shop and fuel will be closed for the fortnight, but look amazing when they reopen on 24th March. A nation of pie fanatics, it often seems that we love nothing better than a wholesome pie. Ok.. 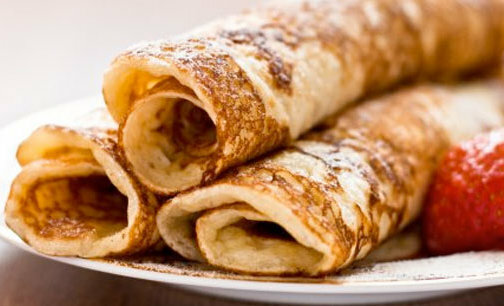 So if we said we were making pancakes just for all you lot to enjoy we would be lying. However we are happy to share any we don’t gobble up with our customers of the day. Deepdale Cafe will be closed for 5 days for their annual refit and deep clean, sorry for any inconvenience. Now we know we serve ‘the best sauasages’ from our local supplier Arthur Howell. 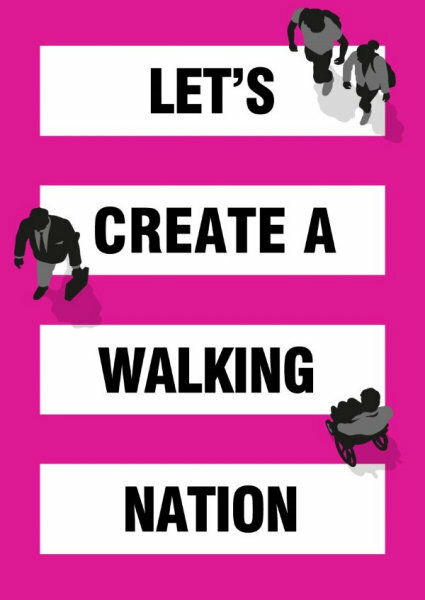 Pop in to recognise this national day by giving us your verdict. North Norfolk Coast shopping that’s not on the high street from local producers & artisans. 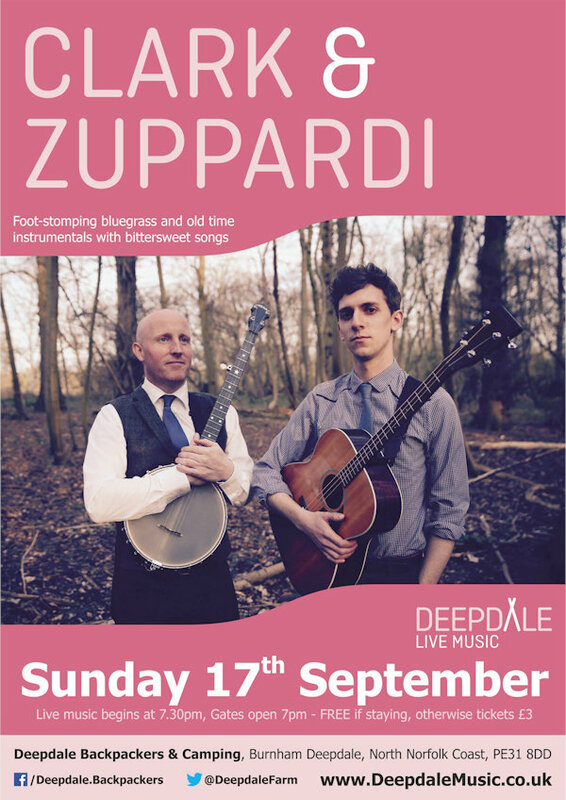 Dalegate Market will host Fitzgerald Firepits, PaperStory & Not Too Shabby in the beach huts this week. 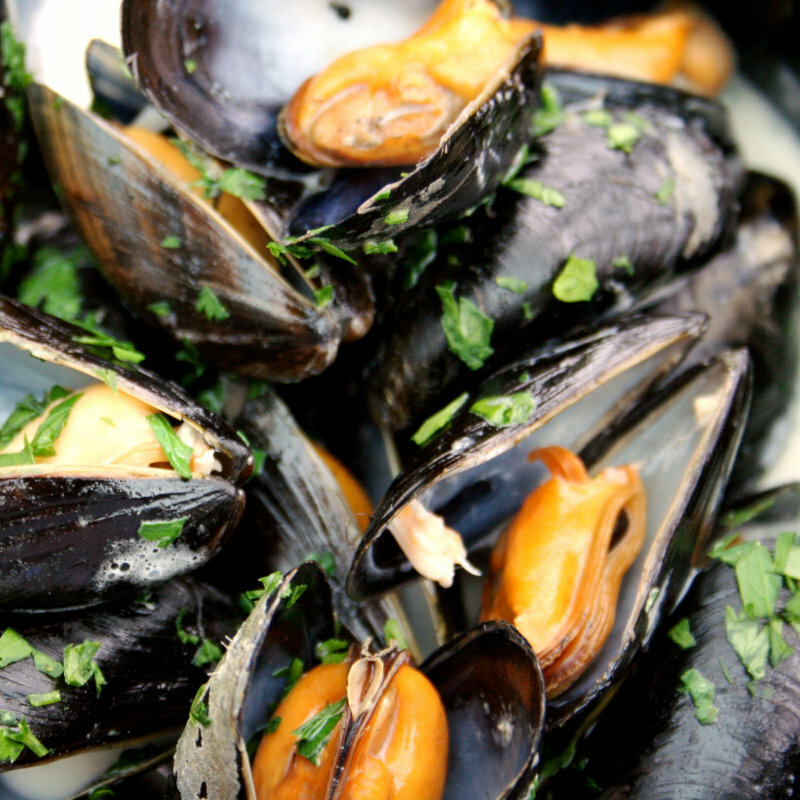 Deepdale Cafe's famous fish and chips, Moules marinere (when in season) and changing specials. 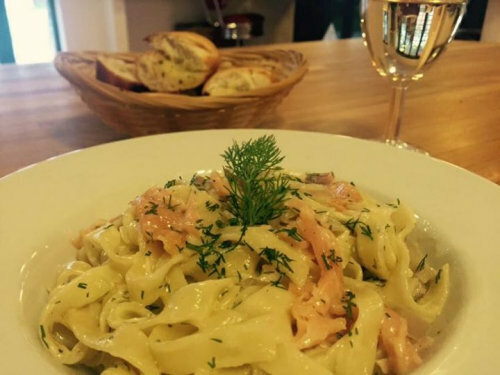 Includes a hot drink or glass of wine. North Norfolk Coast shopping that’s not on the high street from local producers & artisans. Dalegate Market will host Not Too Shabby, Abstract Barn - Michael Lawrence, The Garden Pantry & Newleaf Woodcraft in the beach huts this week. 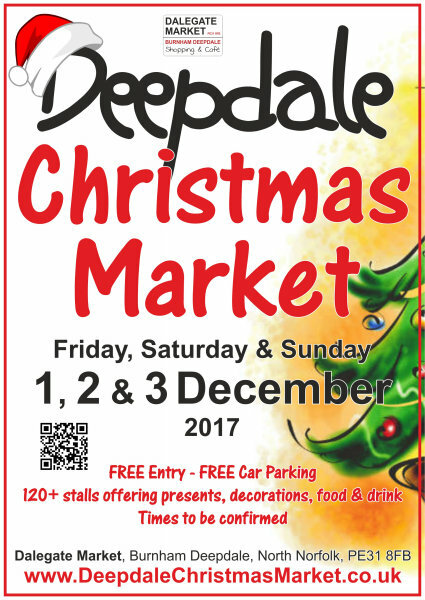 Stock up on all those Christmas decorations and presents at the Deepdale Christmas Market, while enjoying plenty of festive cheer and carols. 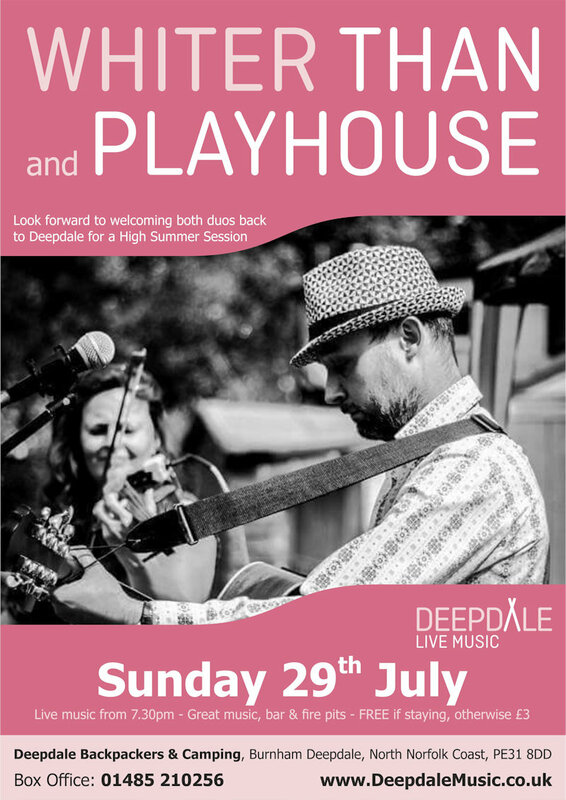 We welcome an acoustic band to play at Deepdale Café on the last Sunday of each month. 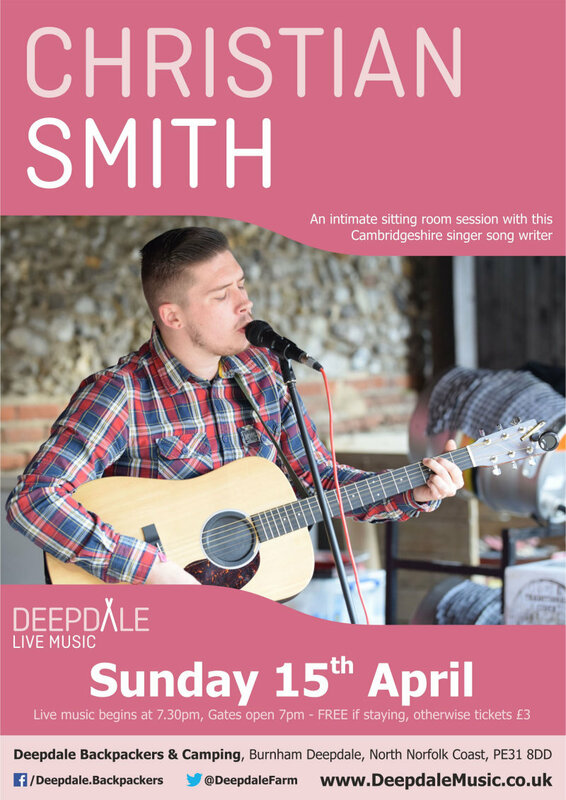 Come and join us for an afternoon of live acoustic music and great food & drink. 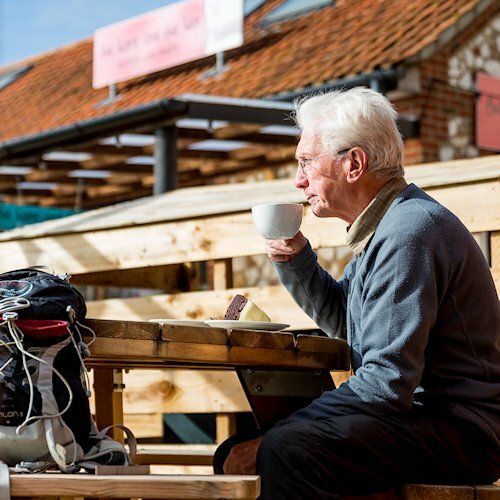 Christmas Shopping can be a fairly unenjoyable experience, so why not change that by doing your Christmas Shopping in the lovely surroundings of Dalegate Market on the North Norfolk Coast. 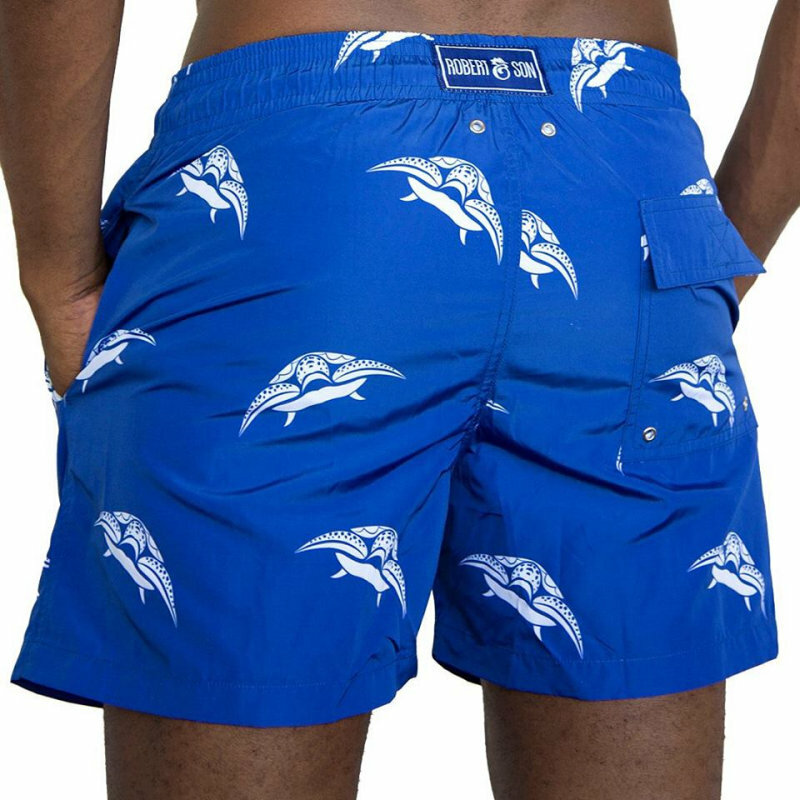 Maybe combine with a walk on the beach and some good food. North Norfolk Coast shopping that’s not on the high street from local producers & artisans. 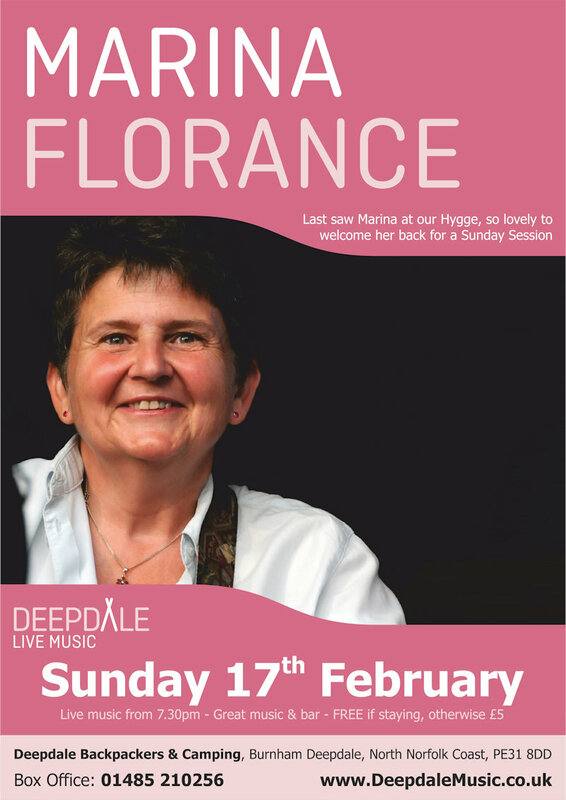 Dalegate Market will host Katie and The Bear, Tailored by Tallings / Sticky & Brown, Leesey Lou’s Phoenix Cards & Vinegar Tom in the beach huts this week. 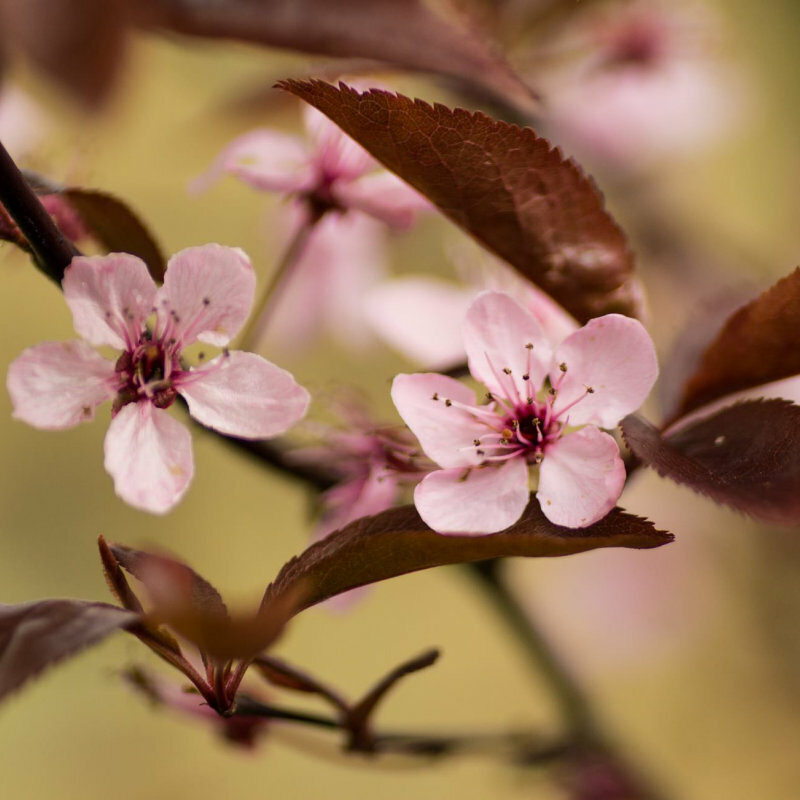 Here at Dalegate Market we’re really pleased to be hosting Lilac Nurseries on the first Sunday of each month throughout the year*, with a wonderful seasonal selection of flowers, plants and other gardening items. 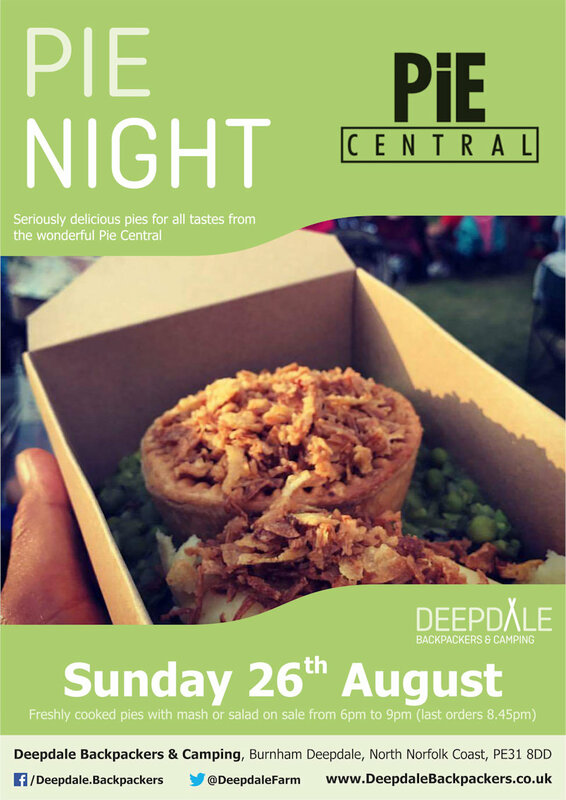 Deepdale Cafe will be showcasing their favourite breakfast & lunch sandwiches, and offering a free drink with any purchase. 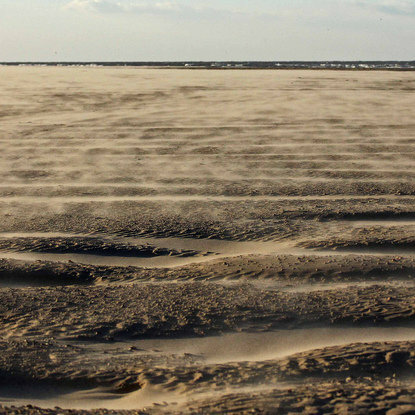 North Norfolk Coast shopping that’s not on the high street from local producers & artisans. 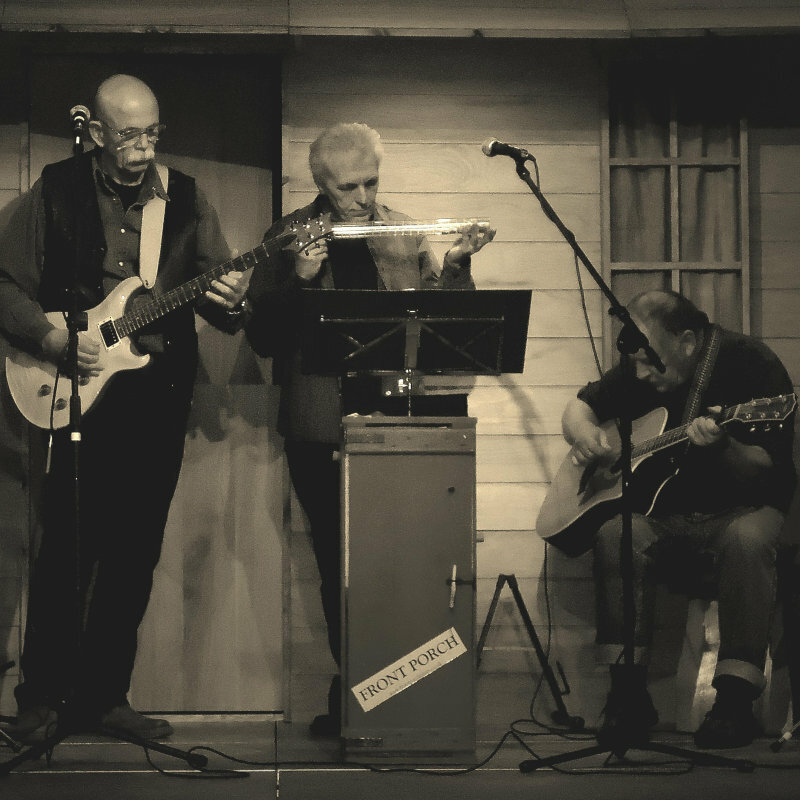 Dalegate Market will host Vinegar Tom, V.H. Designs Norfolk, Posh-Glass & Paul Hawking Photography in the beach huts this week. North Norfolk Coast shopping that’s not on the high street from local producers & artisans. Dalegate Market will host Newleaf Woodcraft, 7th Wave Seaglass Jewellery, Creakey Crafts & Westfield Forge in the beach huts this week. 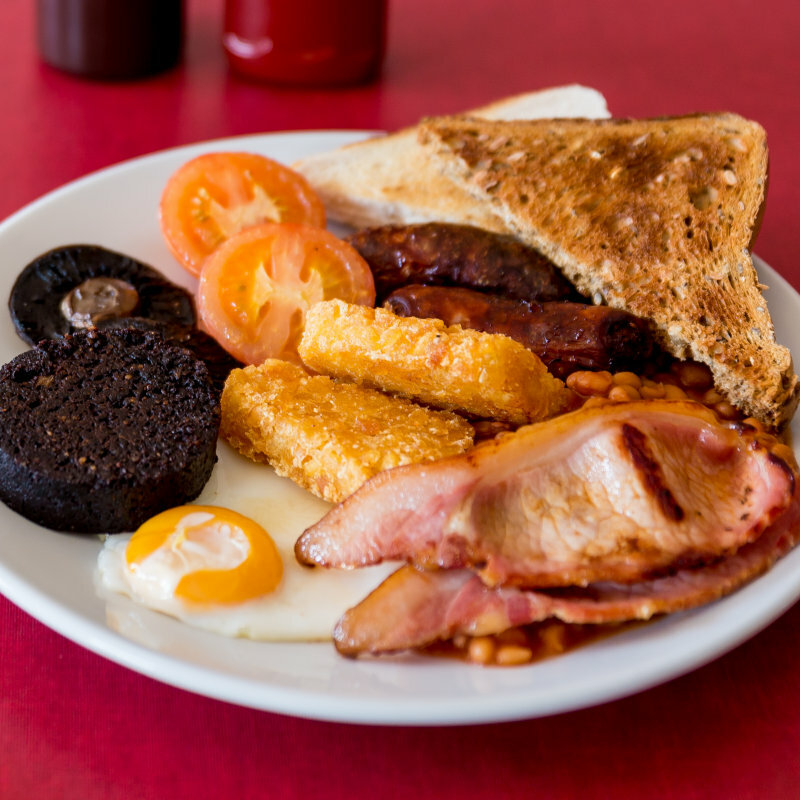 Poached, fried or scrambled eggs are all favourites at Deepdale café. 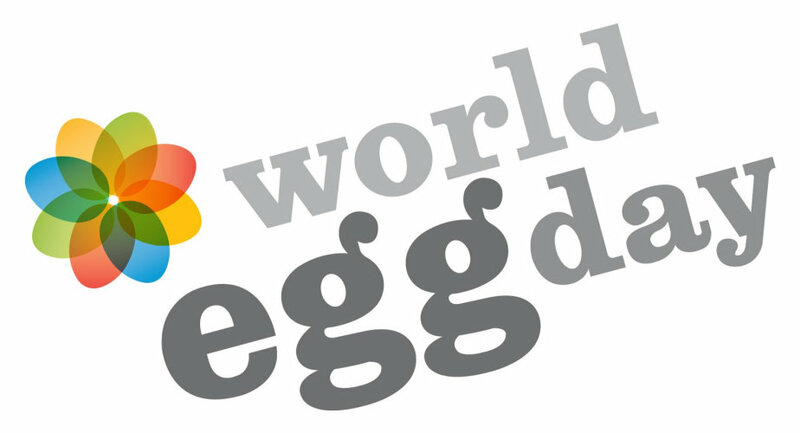 Come celebrate world egg day and enjoy one of eggy dishes. North Norfolk Coast shopping that’s not on the high street from local producers & artisans. 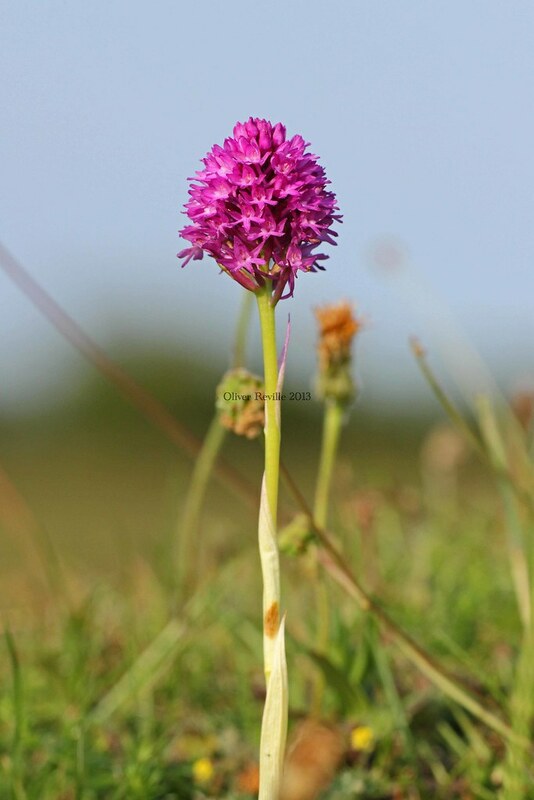 Dalegate Market will host Creakey Crafts & Paul Macro Photography in the beach huts this week. North Norfolk Coast shopping that’s not on the high street from local producers & artisans. Dalegate Market will host Vinegar Tom, Abstract Barn - Michael Lawrence, Cookie’s Crafty Gifts & Orchard Felts in the beach huts this week. 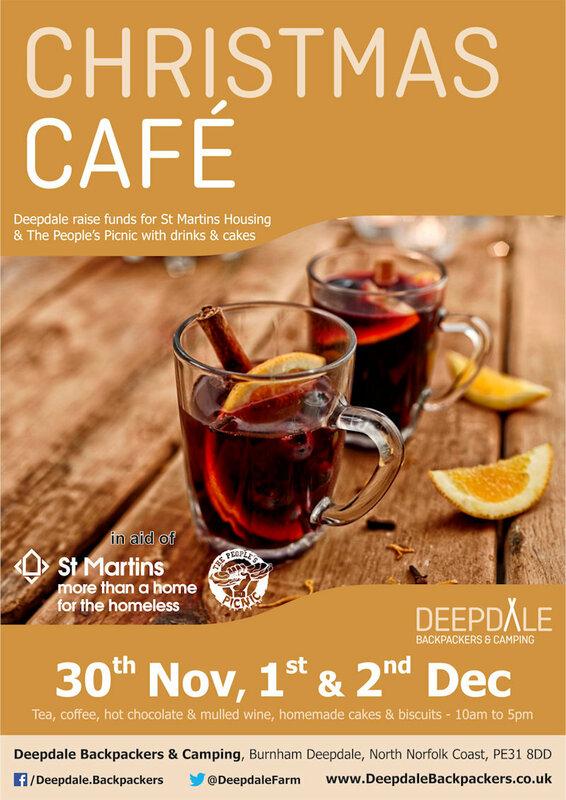 Help us to raise money not only in the morning but all day at Deepdale Café. We shall be baking two cakes and letting people donate what they wish per slice. 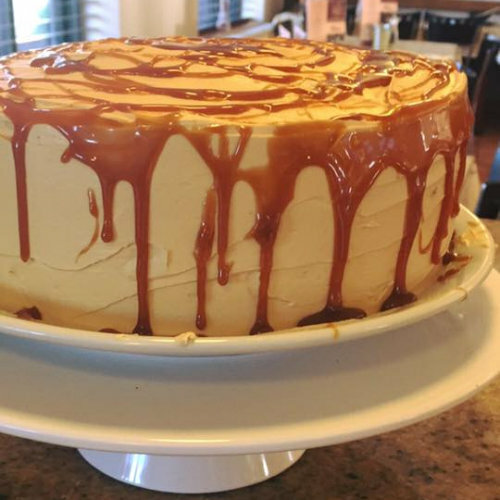 50% of all coffee sales when purchased with cake will also be donated. 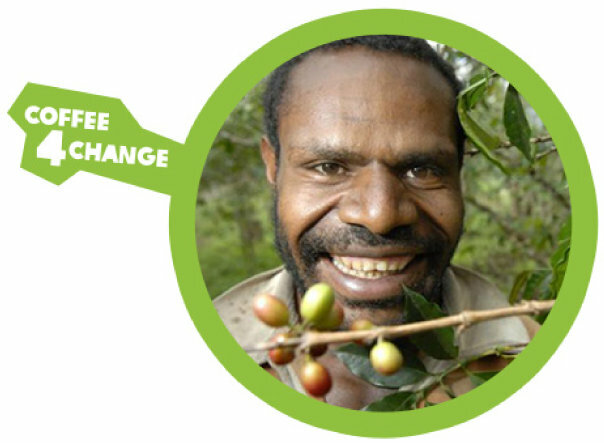 We will recognise this day to promote fair trade coffee, and to raise awareness about the plight of coffee growers. 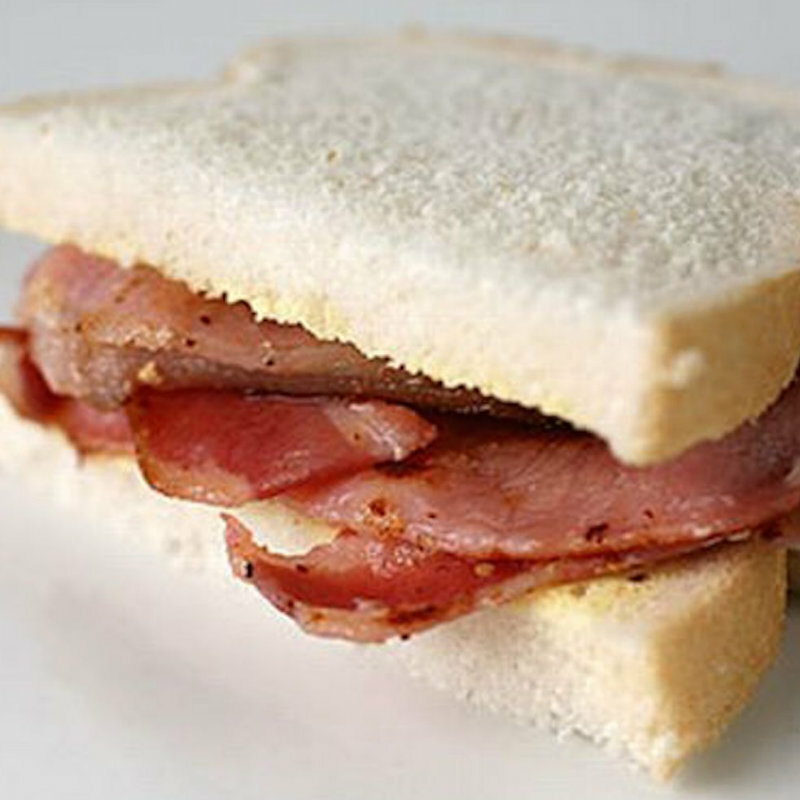 We shall be offering a free refill of coffee with any cooked breakfast purchase. 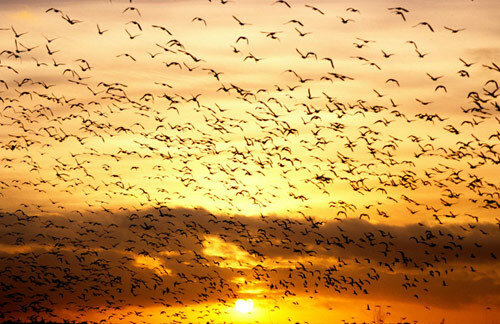 A casual walk along flat terrain for novice birdwatchers and those new to the North Norfolk Coast. Book in advance in the One Stop Nature Shop. 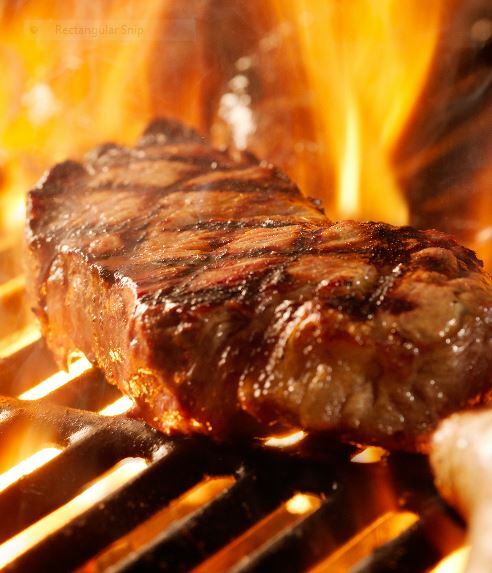 Restaurant Week is North Norfolk’s largest dining event, a culinary celebration of our vibrant restaurant scene. 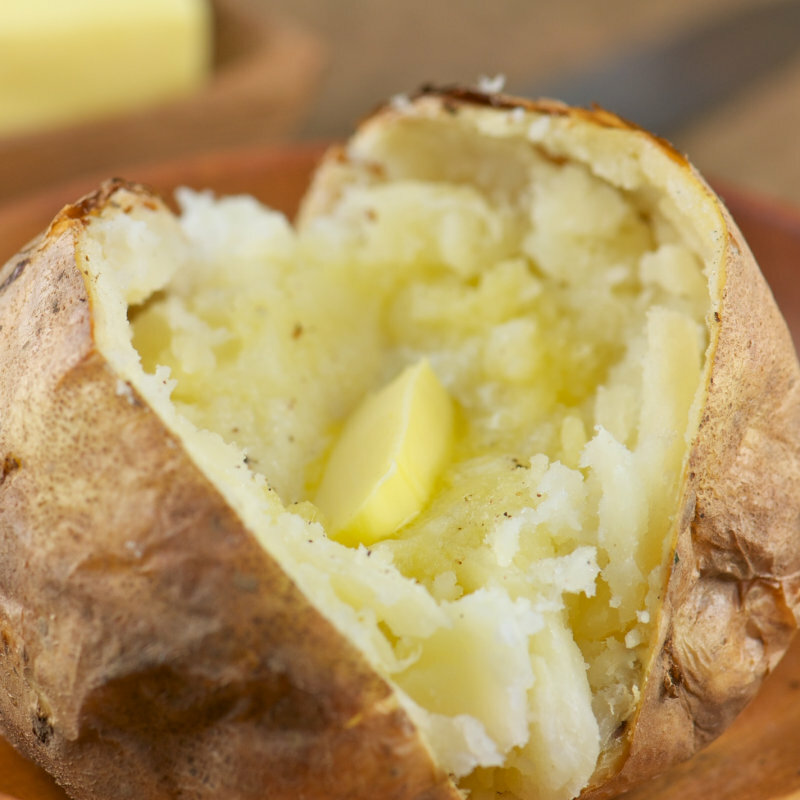 You can enjoy lunches and evening meals in many different restaurants and cafes. North Norfolk Coast shopping that’s not on the high street from local producers & artisans. 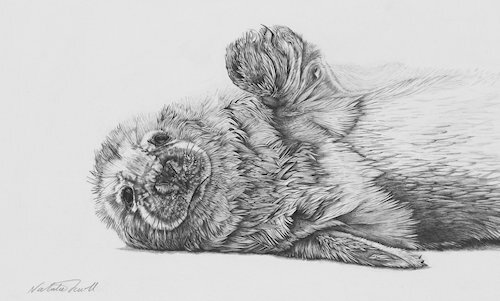 Dalegate Market will host Katie and The Bear, Black Coral Photography & Cardabelle Design in the beach huts this week. North Norfolk Coast shopping that’s not on the high street from local producers & artisans. 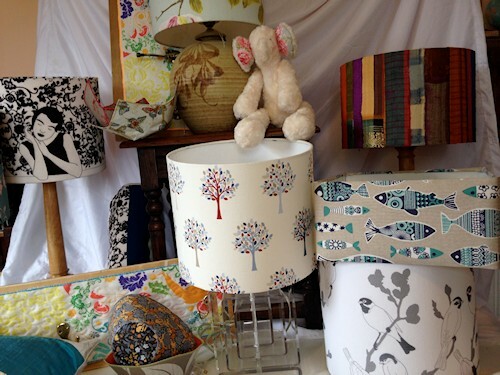 Dalegate Market will host FireFly designs, Secret Pillow Project & Me and You and Daisy too in the beach huts this week. 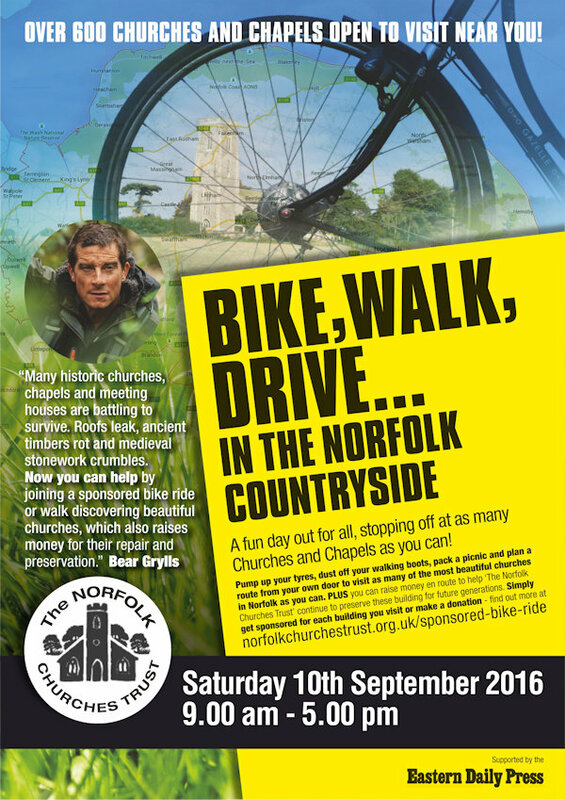 Bike, walk, drive ... in the Norfolk countryside - A fun day out for all, stopping off at as many churches and chapels as you can! 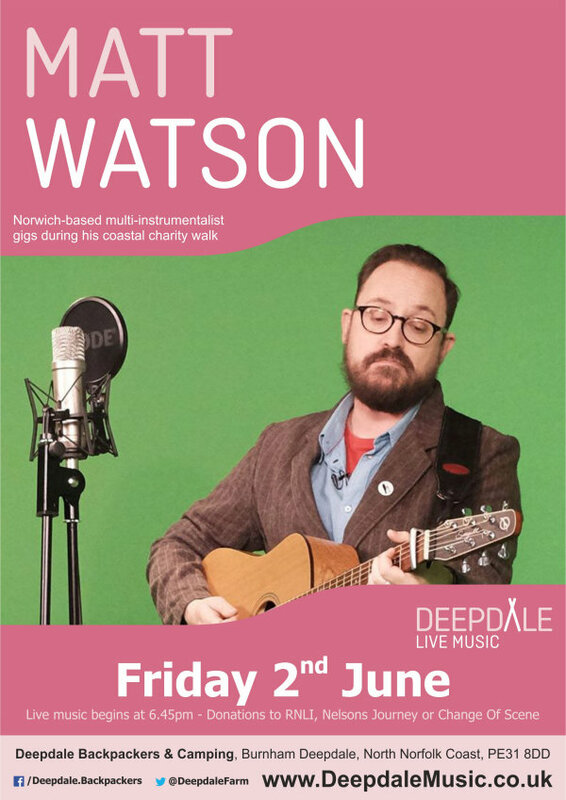 In aid of The Norfolk Churches Trust. 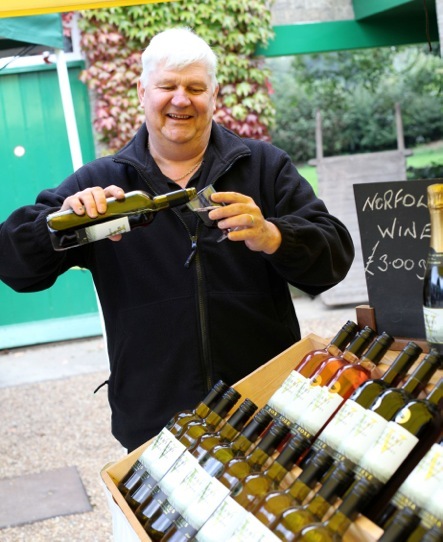 North Norfolk Coast shopping that’s not on the high street from local producers & artisans. 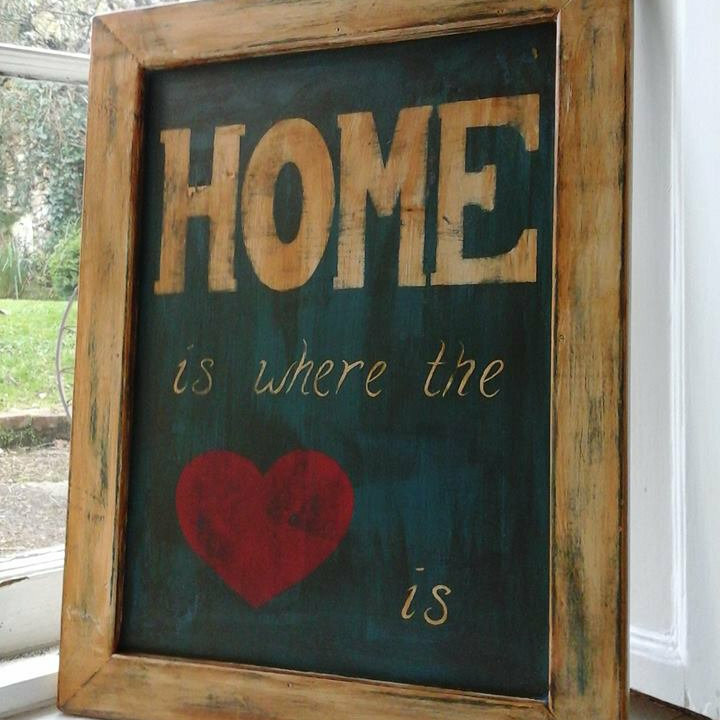 Dalegate Market will host Creakey Crafts, Pretty in Ping, Reclaimed Time & Wayward Rose in the beach huts this week. 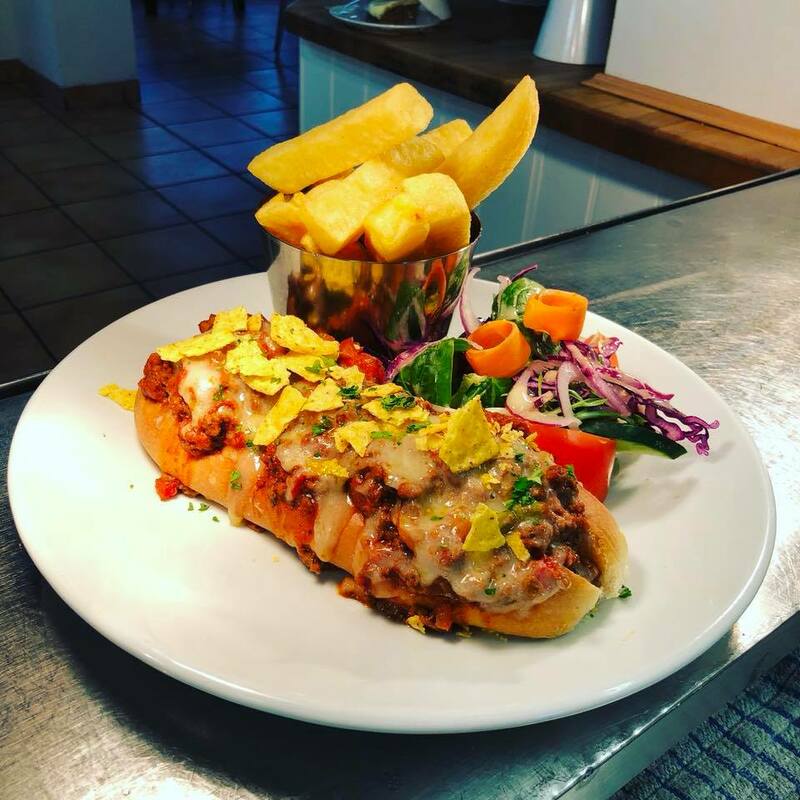 Recognise this national day by visiting Deepdale Café to indulge in the best bacon served along the North Norfolk Coast! North Norfolk Coast shopping that’s not on the high street from local producers & artisans. Dalegate Market will host Me and You and Daisy too, Newleaf Woodcraft, Country Aspects Photography & Lottie’s Little Treasures in the beach huts this week. North Norfolk Coast shopping that’s not on the high street from local producers & artisans. 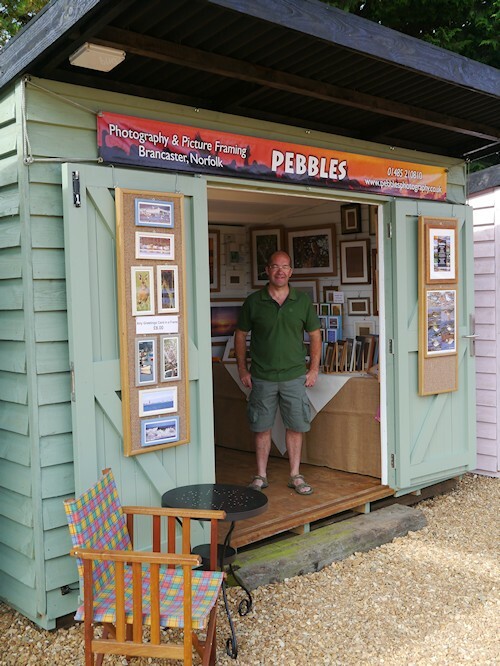 Dalegate Market will host The Solar Shed, Cushion Cottage, Pebbles Photography & Picture Framing & Artwork by James Buttifant in the beach huts this week. North Norfolk Coast shopping that’s not on the high street from local producers & artisans. 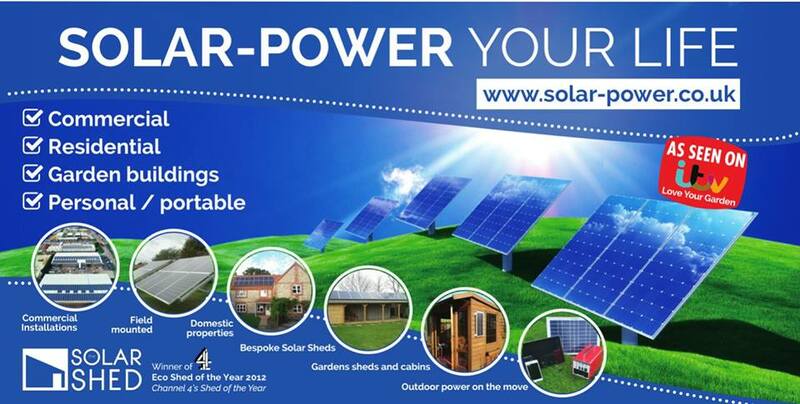 Dalegate Market will host Libaohp, The Solar Shed, Sue Welfare’s Making Things & So Sweet in the beach huts this week. 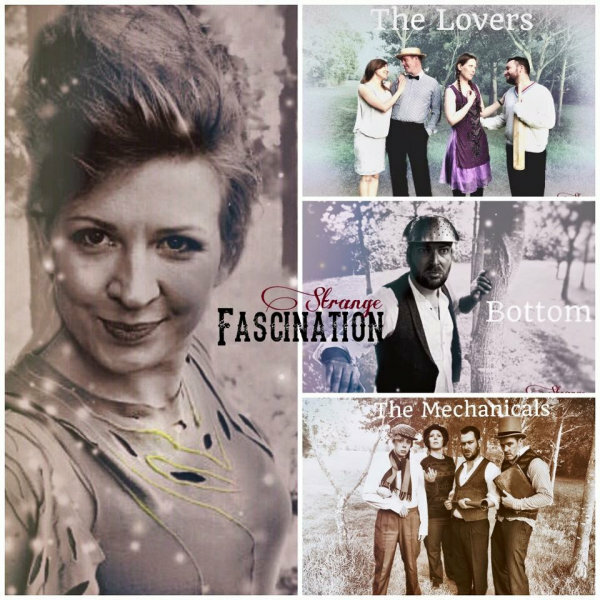 Strange Fascination Theatre Co are celebating 400 years since William Shakespeare left us, with a week of open air performances of A Midsummer Night’s Dream on The Orchard at Dalegate Market. North Norfolk Coast shopping that’s not on the high street from local producers & artisans. Dalegate Market will host Outoftheboxcraftsco, Green Shed, Polly’s Felts Design & Quayside Home in the beach huts this week. The North Norfolk Coast for shopping that’s not on the high street from local producers & artisans. 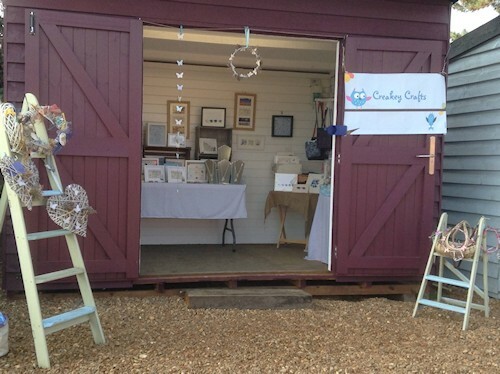 Dalegate Market will host Creakey Crafts, Tins and Fings, Pebbles Photography & Picture Framing & La Lievre Jewellery in the beach huts this week. The North Norfolk Coast for shopping that’s not on the high street from local producers & artisans. 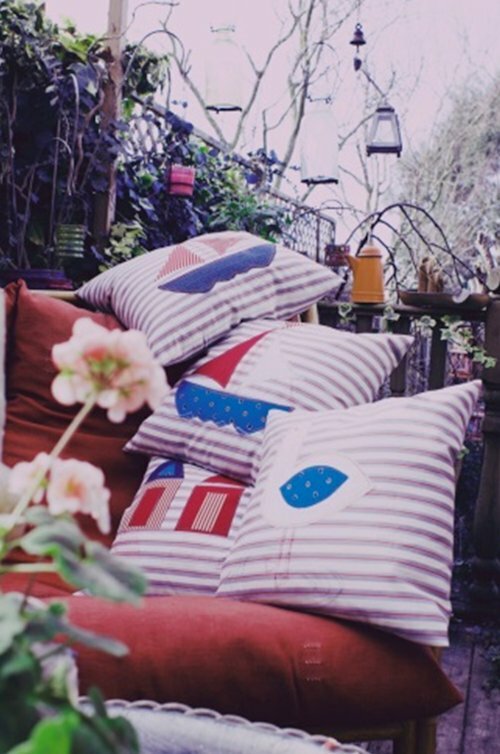 Dalegate Market will host The Solar Shed, Coast and County Upholstery & Soft Furnishings & Reclaimed Time in the beach huts this week. Here at Dalegate Market we’re really pleased to be hosting Lilac Nurseries, with a wonderful seasonal selection of flowers, plants and other gardening items. A small but perfectly formed flower festival depicting the Seasons of the Year in St Mary’s Church, the lovely roundtower church in Burnham Deepdale. 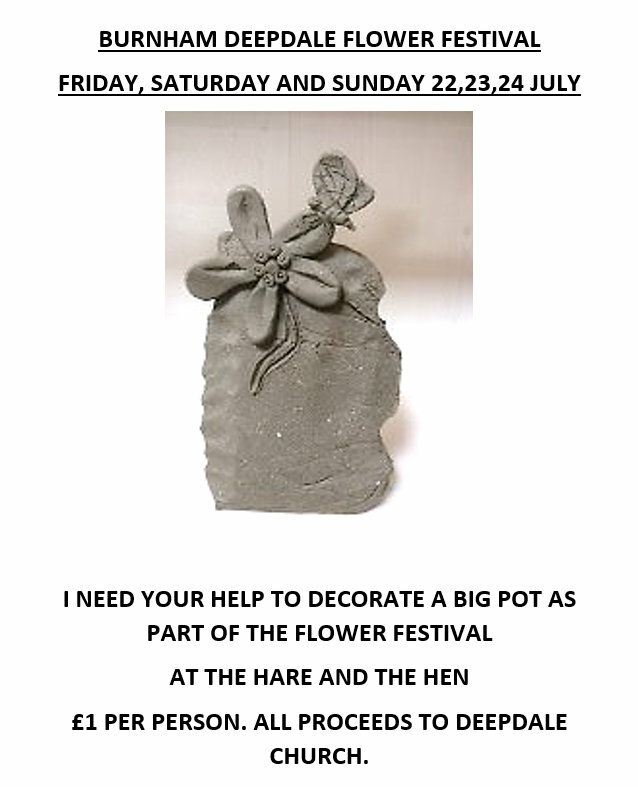 Philippa at The Hare & The Hen needs your help to decorate a Big Pot, as part of the Seasons of the Year Flower Festival at St Mary’s Church, Burnham Deepdale. The North Norfolk Coast for shopping that’s not on the high street from local producers & artisans. 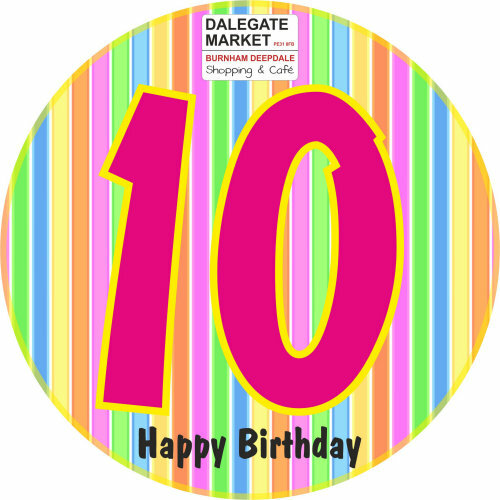 Dalegate Market will host Saltcreake Designs, Newleaf Woodcraft, Ambers Art & So Sweet in the beach huts this week. The North Norfolk Coast for shopping that’s not on the high street from local producers & artisans. 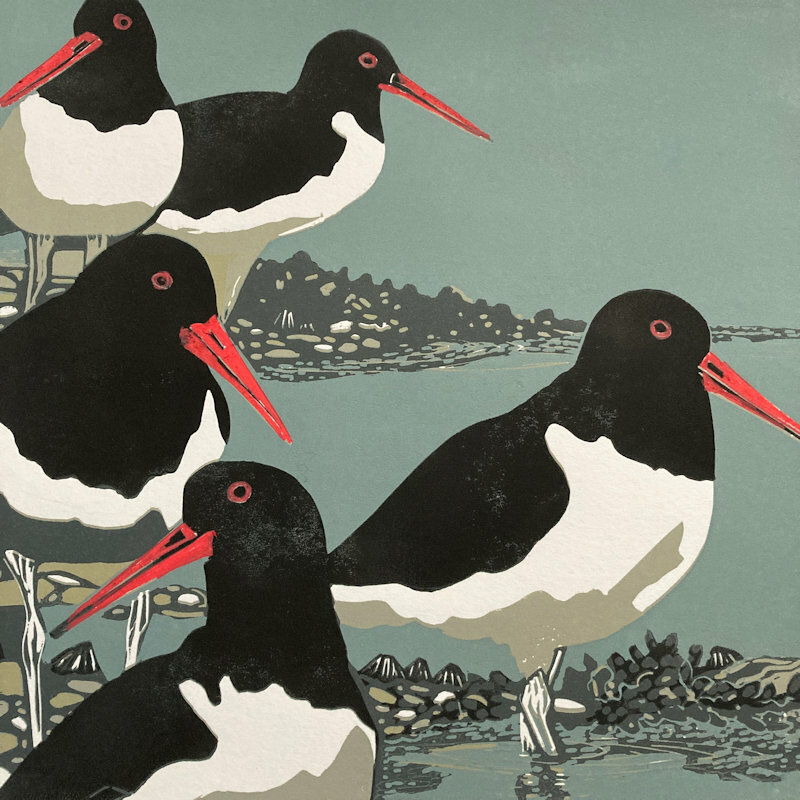 Dalegate Market will host Bryan Harford Art, Wayward Rose & Norfolk Coastal Memories in the beach huts this week. The North Norfolk Coast for shopping that’s not on the high street from local producers & artisans. Dalegate Market will host Javik Laser Creations, Creakey Crafts & Green Shed in the beach huts this week. 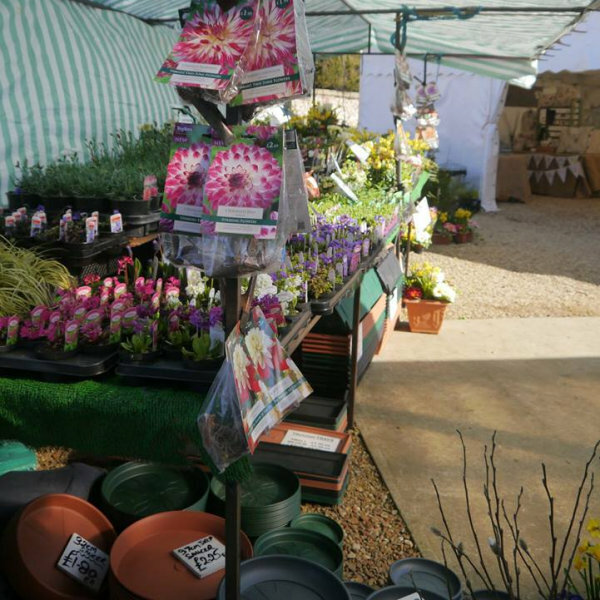 Here at Dalegate Market we’re really pleased to be hosting Lilac Nurseries most Sundays throughout the year*, with a wonderful seasonal selection of flowers, plants and other gardening items. The North Norfolk Coast for shopping that’s not on the high street from local producers & artisans. Dalegate Market will host Newleaf Woodcraft, Creakey Crafts & La Lievre Jewellery in the beach huts this week. 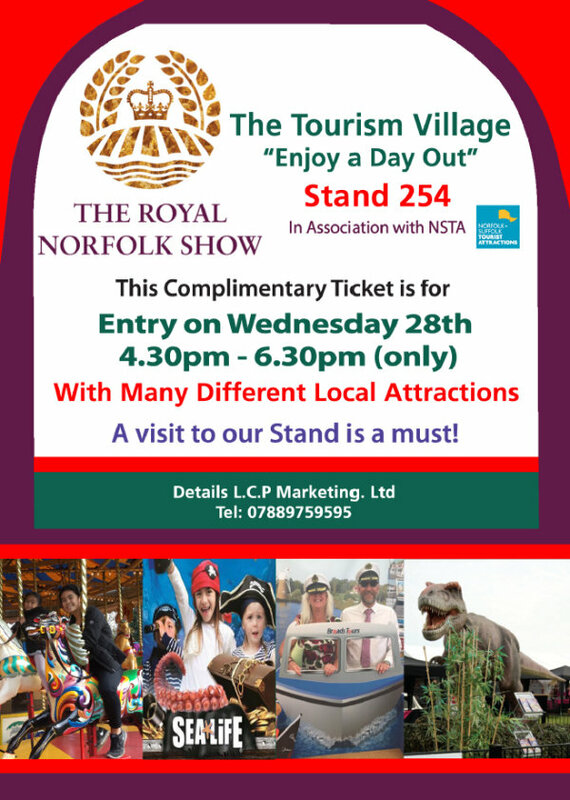 We are joining the ’Enjoy a Day Out - Tourism Village’ stand at the Royal Norfolk Show, Stand 273. Dalegate Market will be joining companies like Holkham Hall, Norwich Puppet Theatre, Pensthorpe Nature Reserve and the Dinosaur Park. The North Norfolk Coast for shopping that’s not on the high street from local producers & artisans. 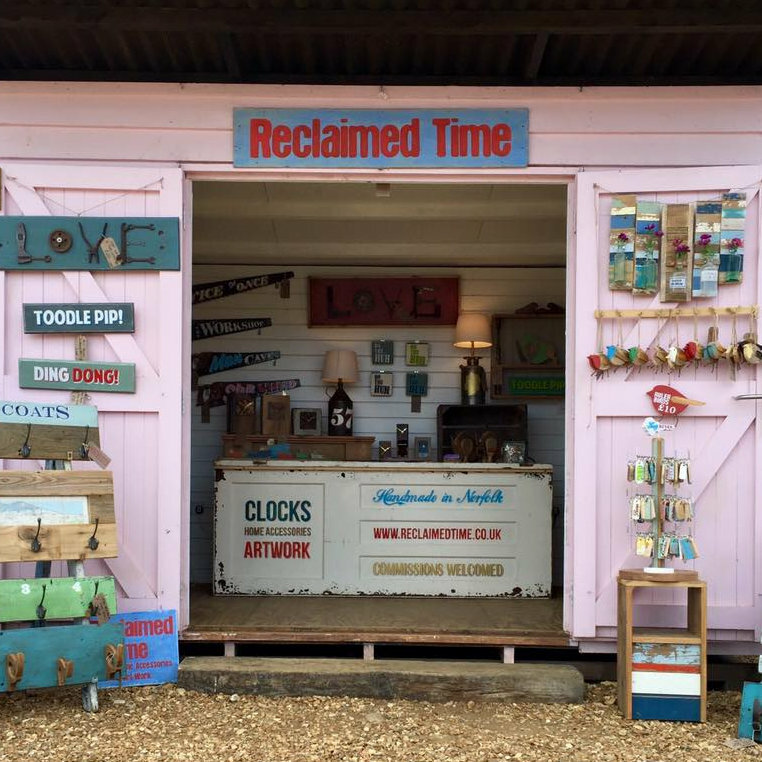 Dalegate Market will host Reclaimed Time, Bessie Poke, DB Craft Creations & Paul Macro Photography in the beach huts this week. 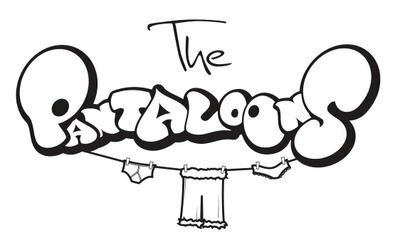 We look forward to welcoming The Pantaloons to Dalegate Market, for a hilarious outdoor theatre performance of Gulliver’s Travels. The North Norfolk Coast for shopping that’s not on the high street from local producers & artisans. 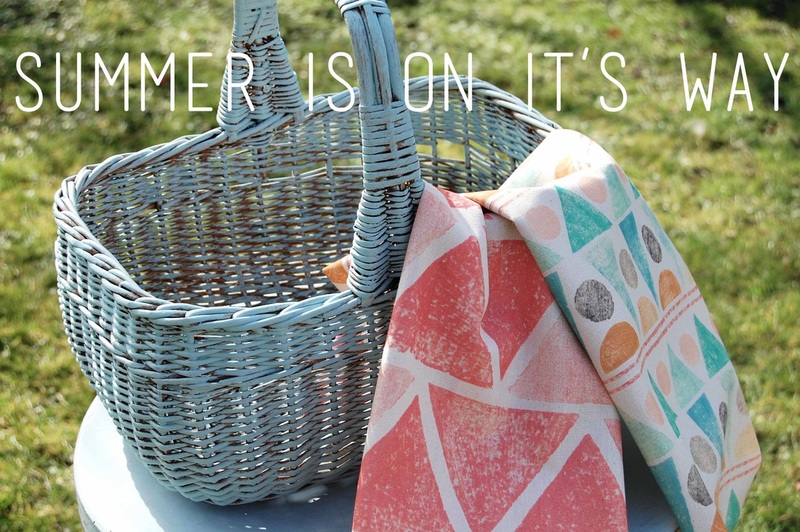 Dalegate Market will host Bella Bags, Green Shed & Urban Driftwood in the beach huts this week. 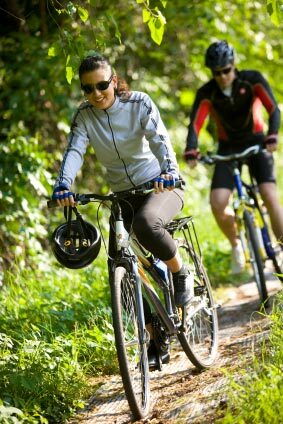 The North Norfolk Coast is always a lovely place to cycle, but why not celebrate National Bike Week with a special ride in this beautiful part of the world. The North Norfolk Coast for shopping that’s not on the high street from local producers & artisans. Dalegate Market will host Tins and Fings, Spare Time & Seek and Find in the beach huts this week. 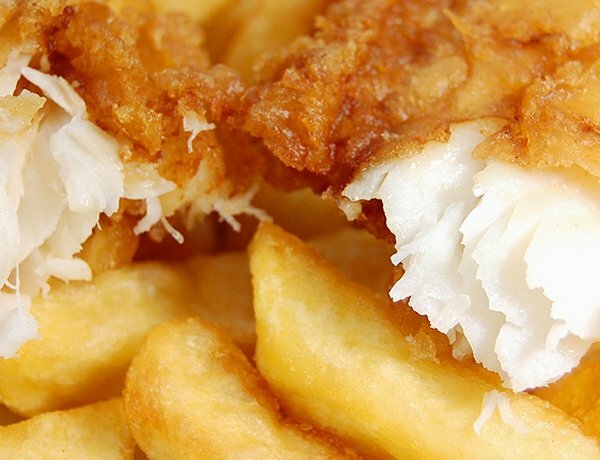 Celebrate National Fish & Chip Day on Friday 3rd June at Deepdale Cafe, with their delicious fish and chips, freshly cooked to order and available to Eat In or Take-away. The North Norfolk Coast for shopping that’s not on the high street from local producers & artisans. 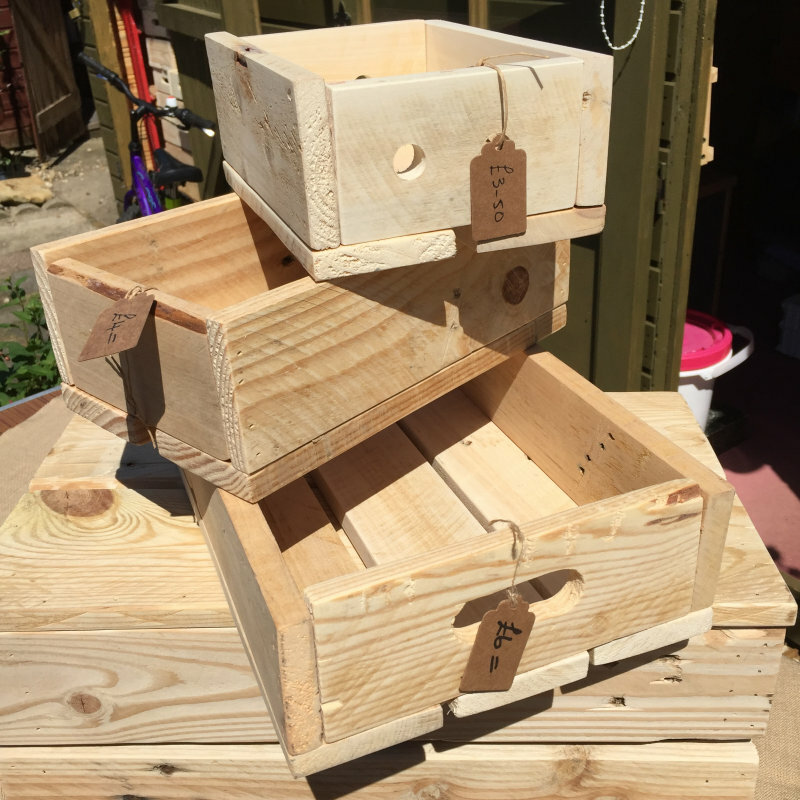 Dalegate Market will host Norfolk Log Planters, Catherine Gray Origami, So Sweet & Kocokookie Kreations in the beach huts this week. The North Norfolk Coast for shopping that’s not on the high street from local producers & artisans. 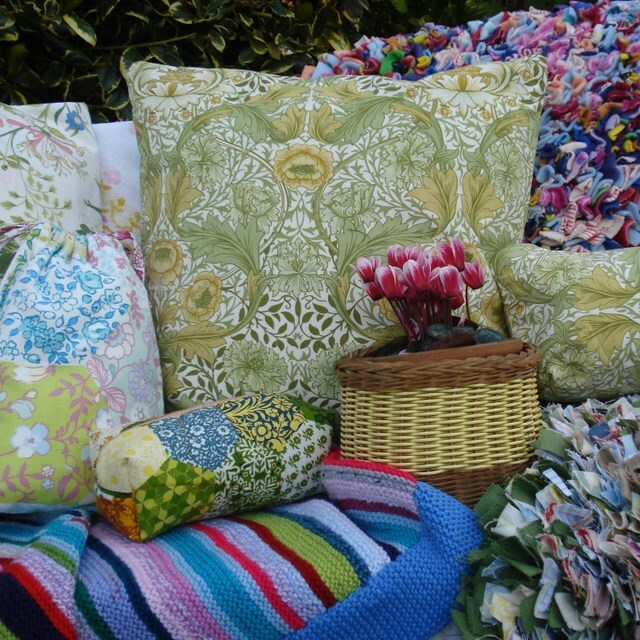 Dalegate Market will host Saltcreake Designs, Kapara London, Sue Welfare & Cushion Cottage in the beach huts this week. The North Norfolk Coast for shopping that’s not on the high street from local producers & artisans. 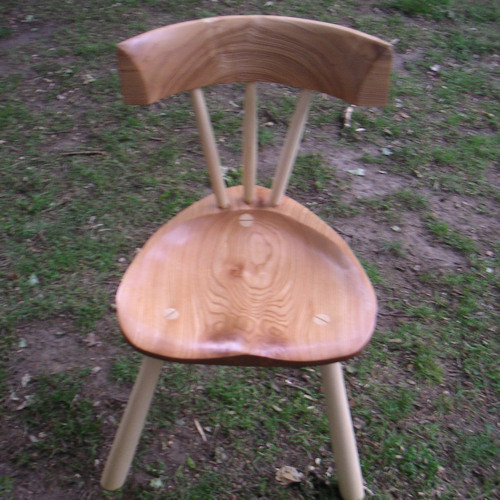 Dalegate Market will host Cardabelle Design & Newleaf Woodcraft in the beach huts this week. 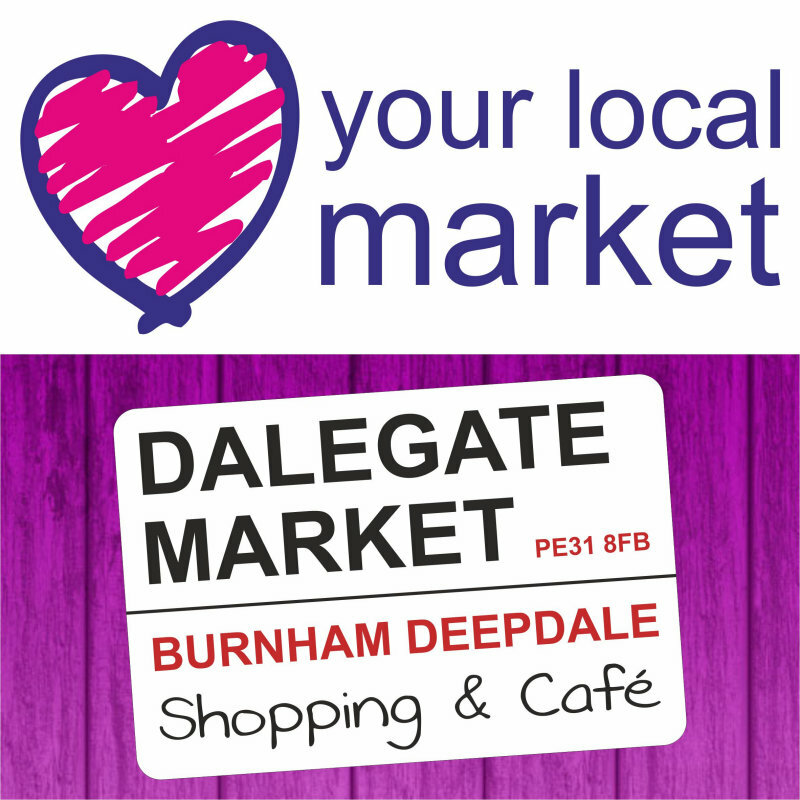 Dalegate Market is a proud supporter of Love Your Local Market. 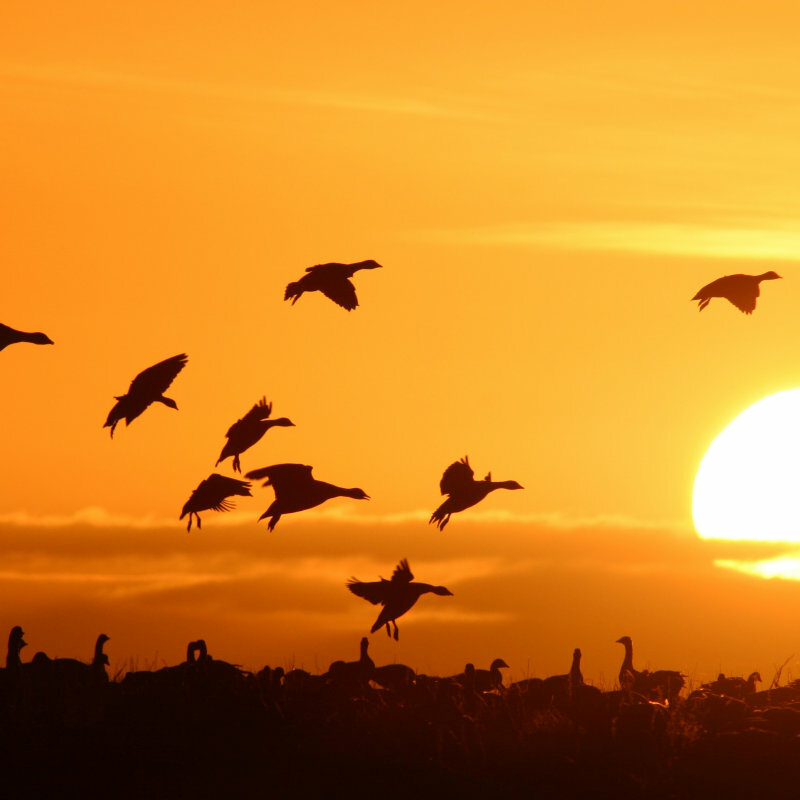 Although this fortnight in May highlights markets, we host local artisans, producers and events throughout the year, here on the beautiful North Norfolk Coast. The North Norfolk Coast for shopping that’s not on the high street from local producers & artisans. 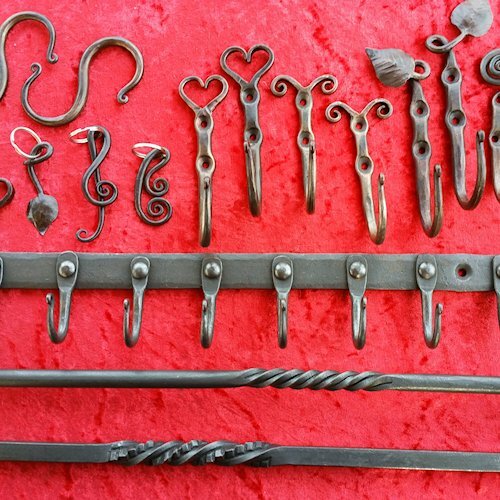 Dalegate Market will host RevampedUp & Westfield Forge in the beach huts this week. 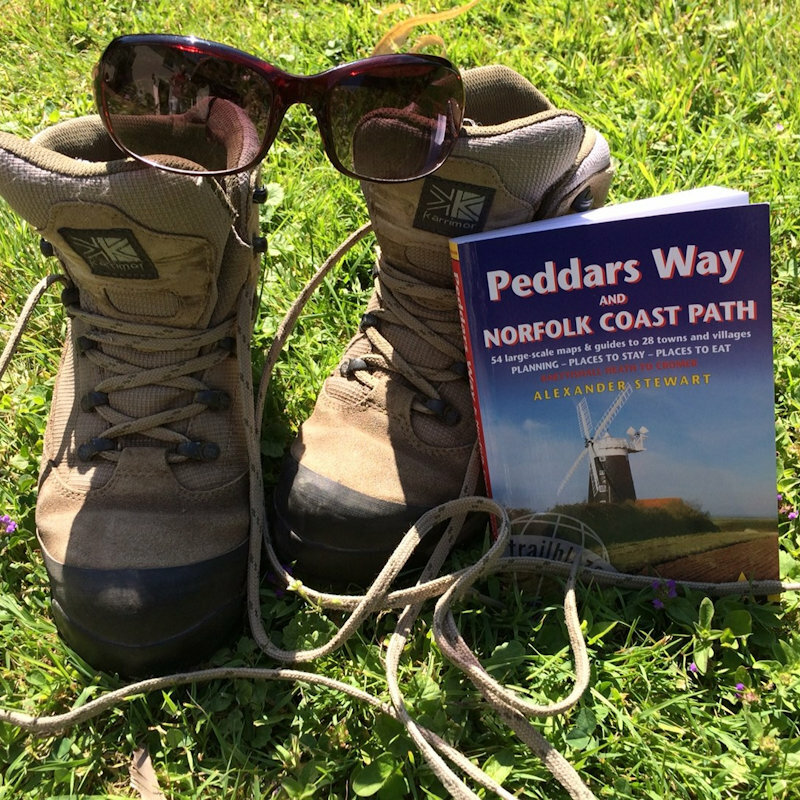 National Walking Month is all about encouraging people to walk more throughout May - a great excuse to go out walking along the North Norfolk Coast in the Spring sunshine! The North Norfolk Coast for shopping that’s not on the high street from local producers & artisans. 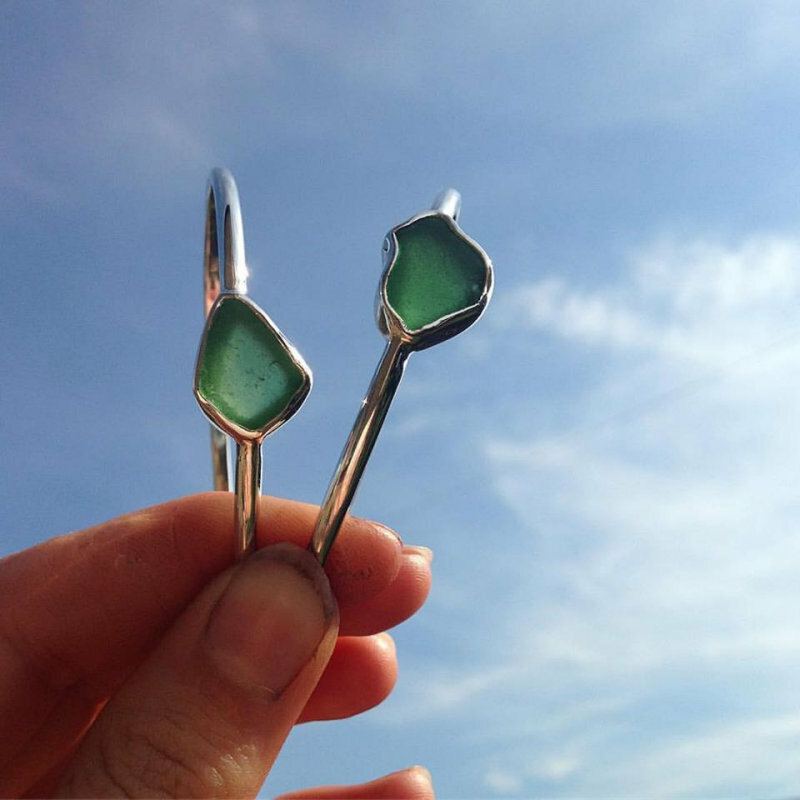 Dalegate Market will host La Lievre Jewellery, Reclaimed Time, Sue Welfare & Beechwood Boats in the beach huts this week. The North Norfolk Coast for shopping that’s not on the high street from local producers & artisans. 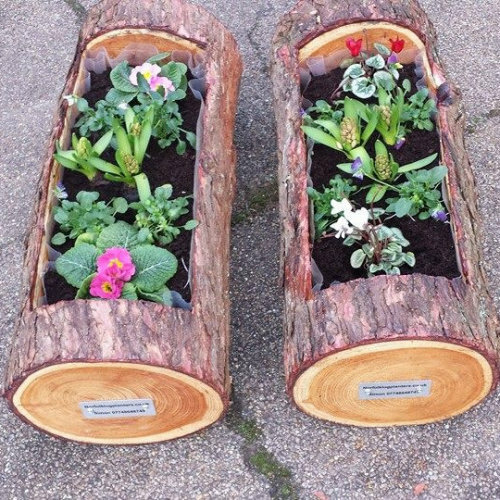 Dalegate Market will host Saltcreake Designs & Norfolk Log Planters in the beach huts this week. 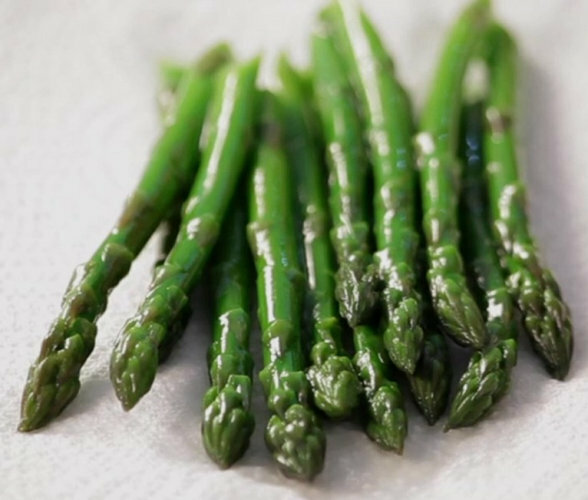 Deepdale Cafe will be celebrating seafood and asparagus throughout April, with a range of special dishes. The North Norfolk Coast for shopping that’s not on the high street from local producers & artisans. 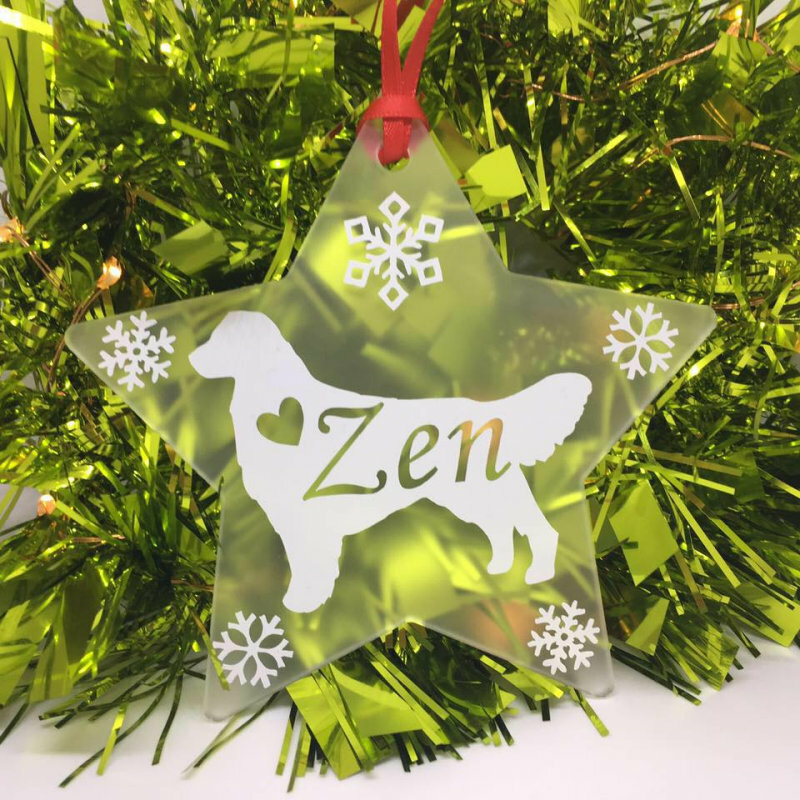 Dalegate Market will host Luna’s Lens Crystals, Hazel Ashley Designs & The Wool Room (East Anglia) in the beach huts this week. 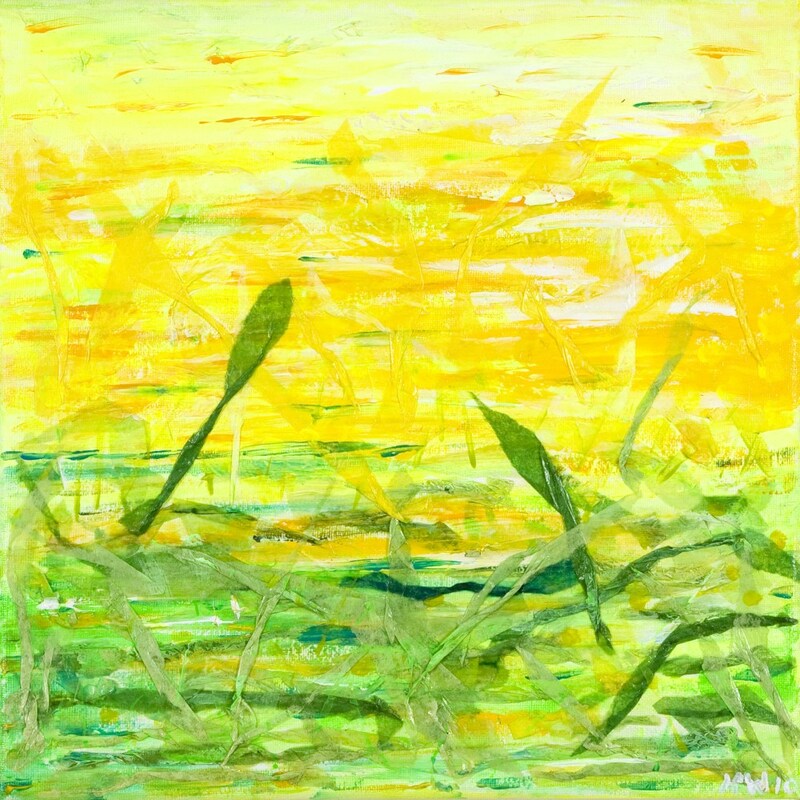 The Hare & The Hen, our lovely gallery at Dalegate Market, will be hosting an exhibition of Alfie Carpenter paintings. Giant Pot Decorating - Please come and help! 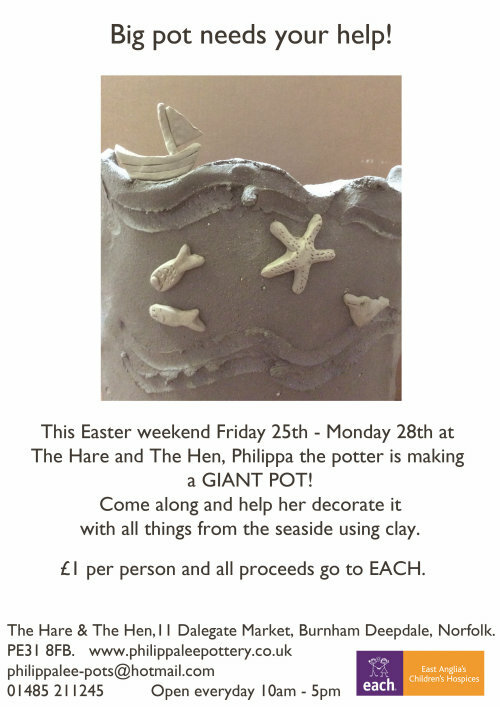 Before Easter Philippa Lee, our resident potter here at Dalegate Market, will be handbuilding a Big Pot. 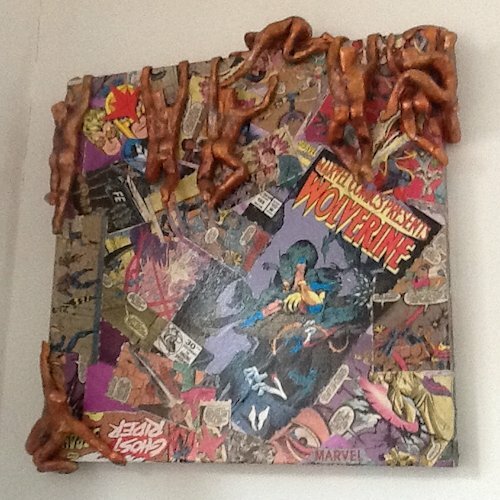 Over the holiday period Philippa would love some help to decorate it! 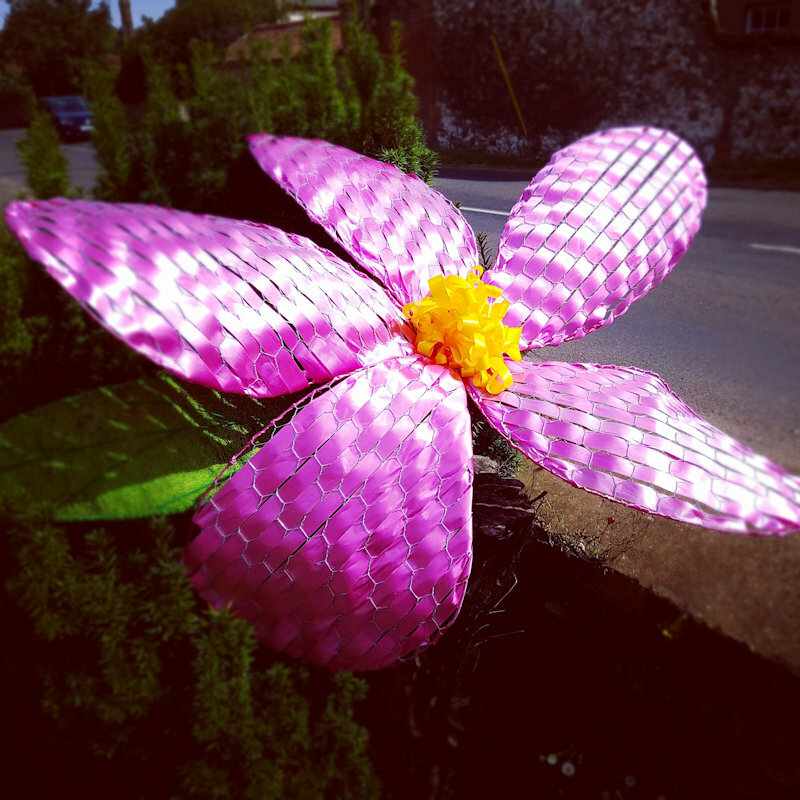 We look forward to welcoming you to Dalegate Market in Burnham Deepdale on Friday 25th to Monday 28th March 2016, the Easter weekend, for the Deepdale Spring Market, the start of Spring on the beautiful North Norfolk Coast. 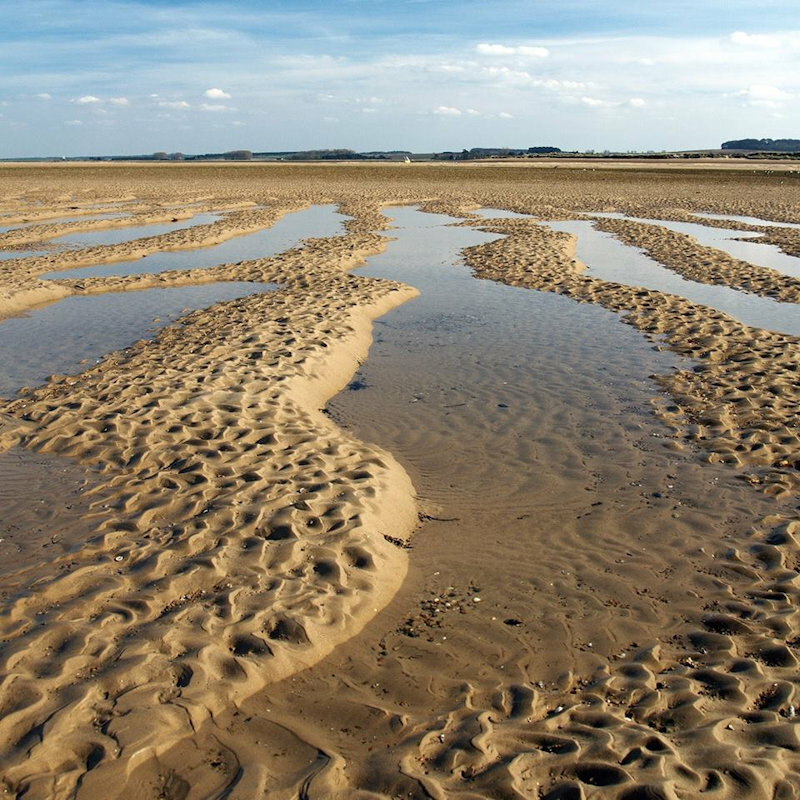 North Norfolk Coast for shopping that’s not on the high street from local producers & artisans. 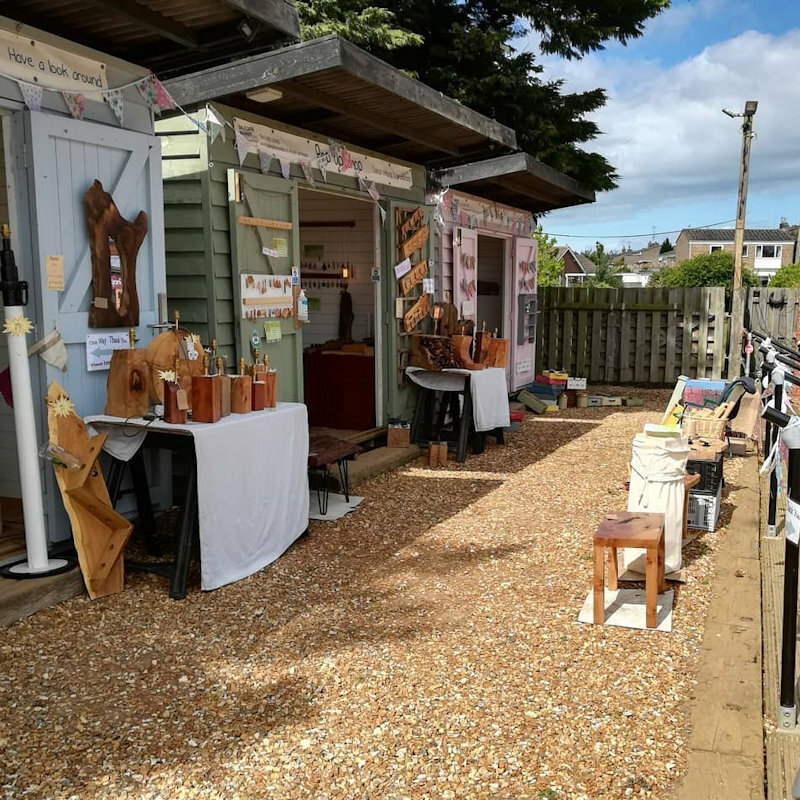 Dalegate Market will host PaperStory, Madebydebbie & Ron’s Unique Woodwork, Pebbles Photography & Capricorn Crafts in the beach huts this week. 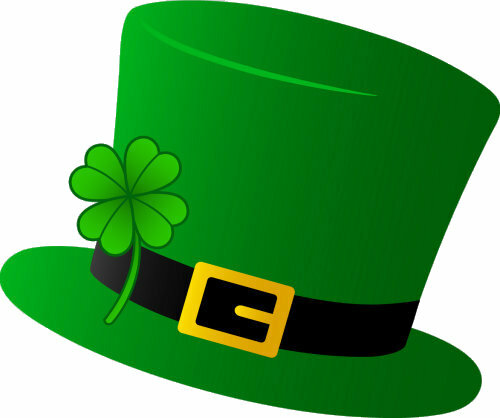 Deepdale Cafe will be offering St Patrick's Day themed specials throughout the weekend. 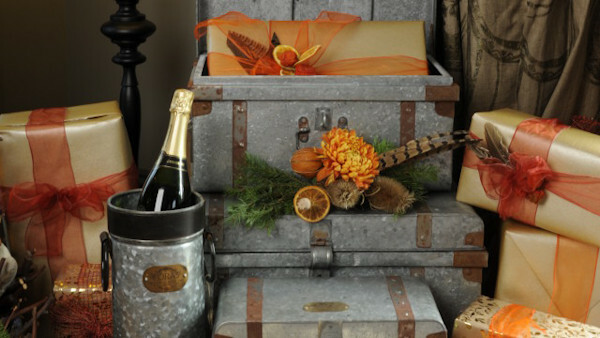 One day just didn't seem enough, so we'll be celebrating for four days. 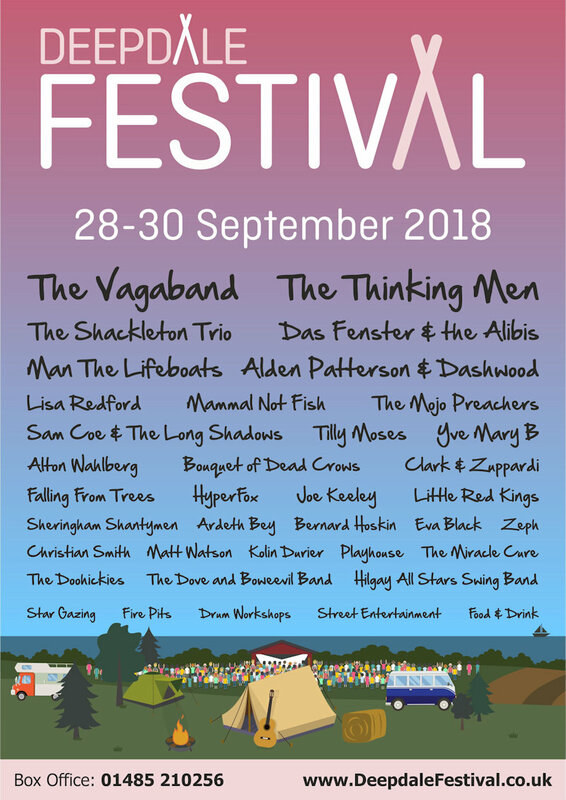 Dalegate Market, with Brancaster Staithe & Burnham Deepdale, have a stand at the North Norfolk Tourism Fair‍, a showcase for North Norfolk tourism attractions and accommodation providers. 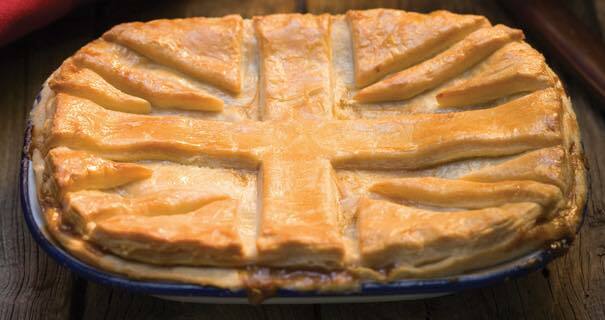 It can’t be disputed that the pie is a staple in some of the best British food we have. Why? 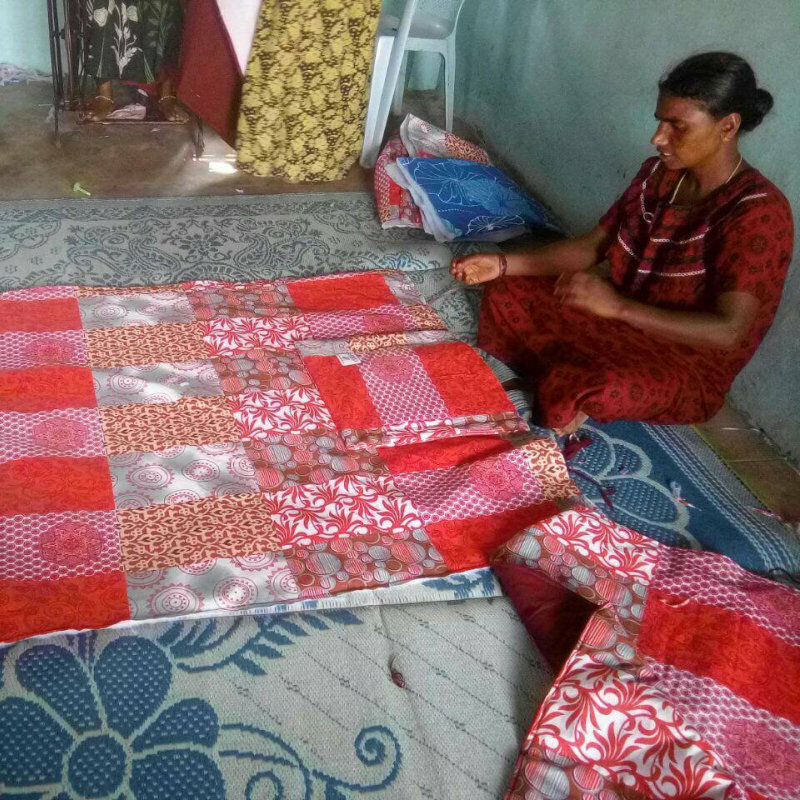 Because they are traditional. 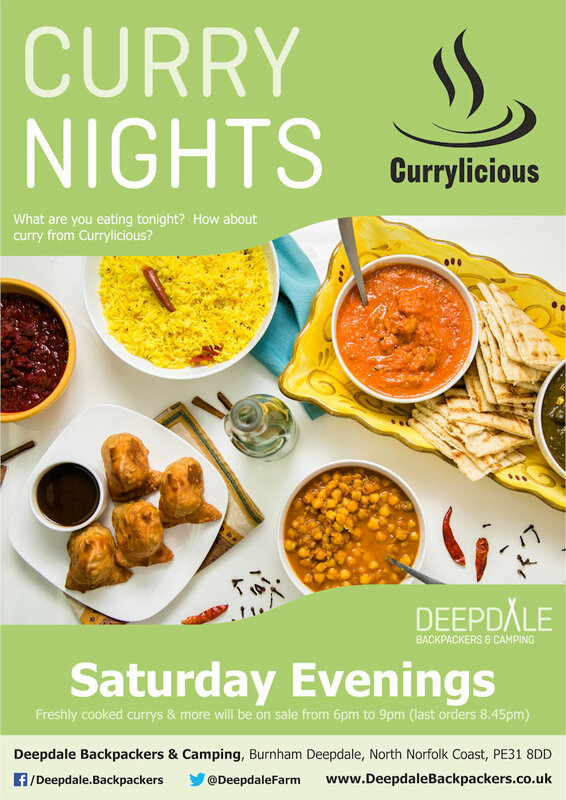 Why not celebrate this culinary experience at Deepdale Cafe. 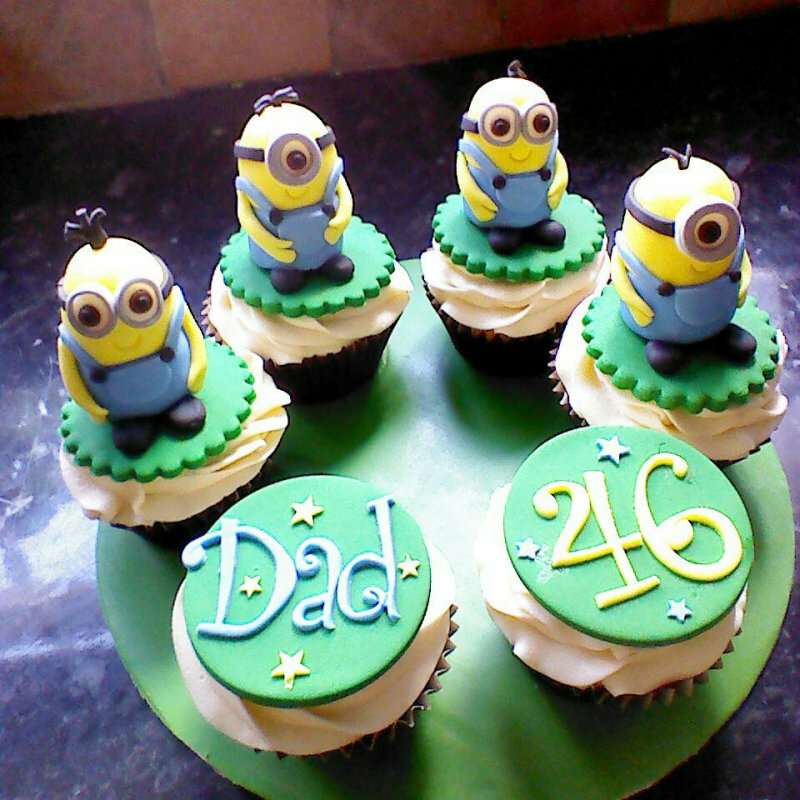 Deepdale café will be showing off their baking skills in a celebration of St Bunters Day - Cake, buns and all manner of tasty baked goods. 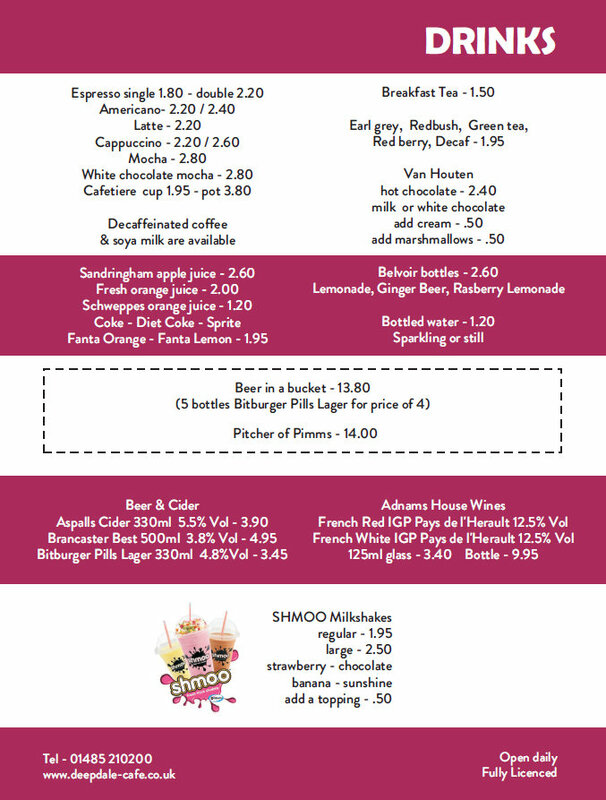 BREAKFAST - Valentine’s menu including a glass of bucks fizz. 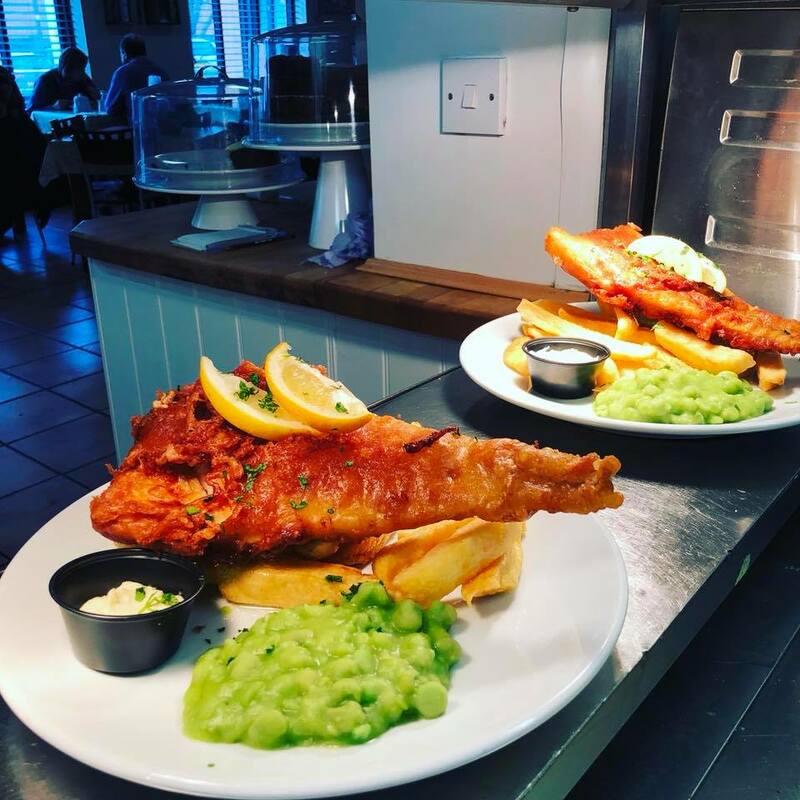 LUNCH - Option of (Fish & Fizz) fish and chips with complimentary glass of prosecco for £10. 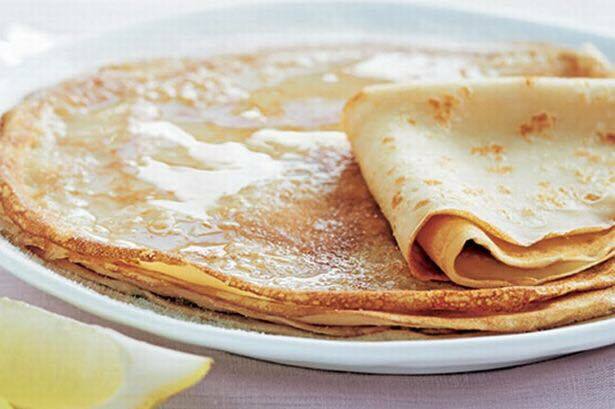 To celebrate Pancake Day, there will be Sweet and Savoury pancake options throughout the day at Deepdale Cafe. Here on the North Norfolk Coast we like to mix beautiful coast & countryside with a bit of retail therapy. 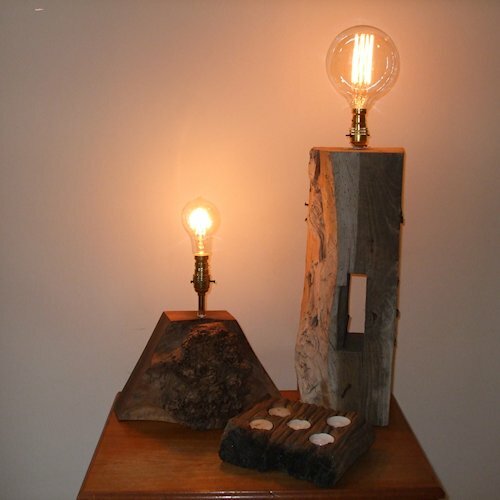 Dalegate Market will host The Gentlemen’s Emporium, Foras and Umbel Organics in the pop up shops this weekend. Here on the North Norfolk Coast we like to mix beautiful coast & countryside with a bit of retail therapy. 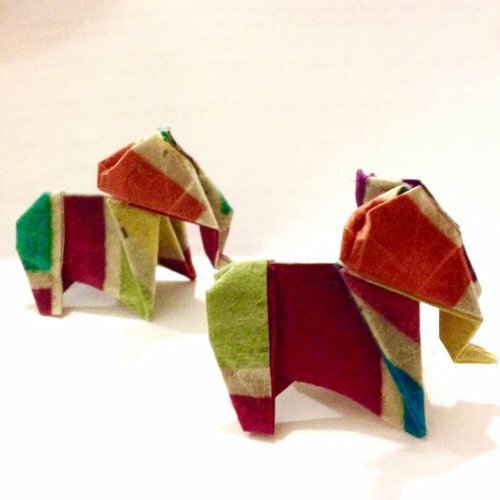 Dalegate Market will host The Gentlemen’s Emporium, Norfolk Origins, Quiltessentially and Saltcreake Designs in the pop up shops this weekend. 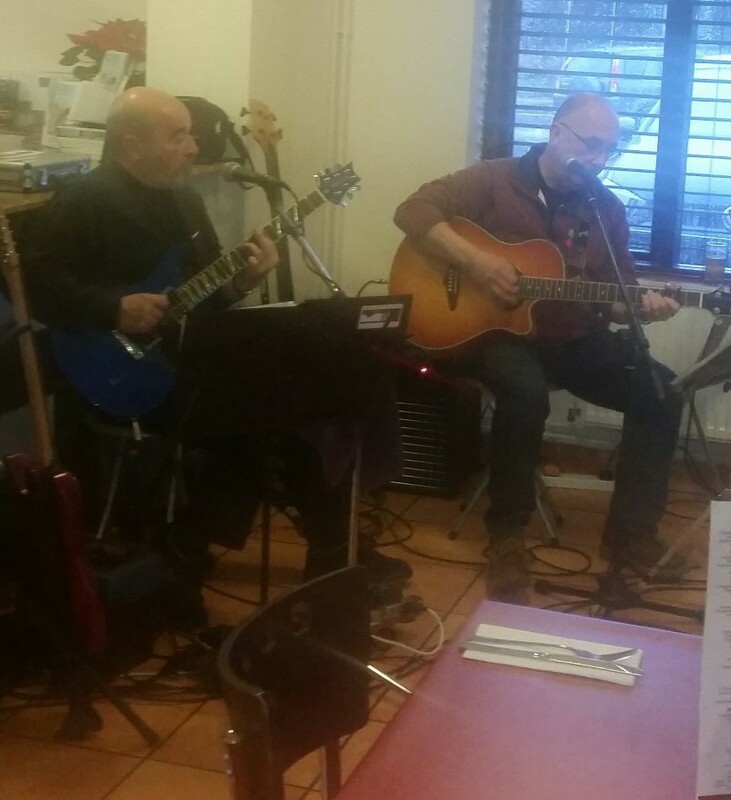 Tinks & Ball (of the Part Time Blues Band) will be playing in Deepdale Cafe. Come and join us for an afternoon of Blues and Beyond. Here on the North Norfolk Coast we like to mix beautiful coast & countryside with a bit of retail therapy. 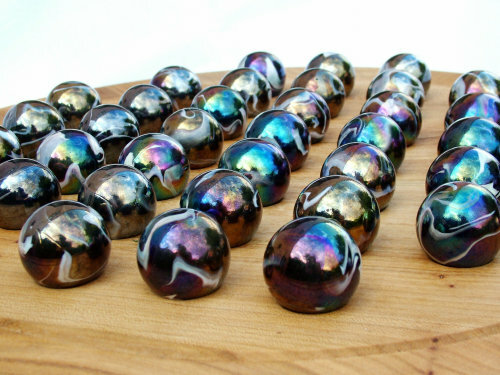 Dalegate Market will host Tuppeny Lane, Foras, Rivolie Fine Art and Umbel Organics in the pop up shops this weekend. 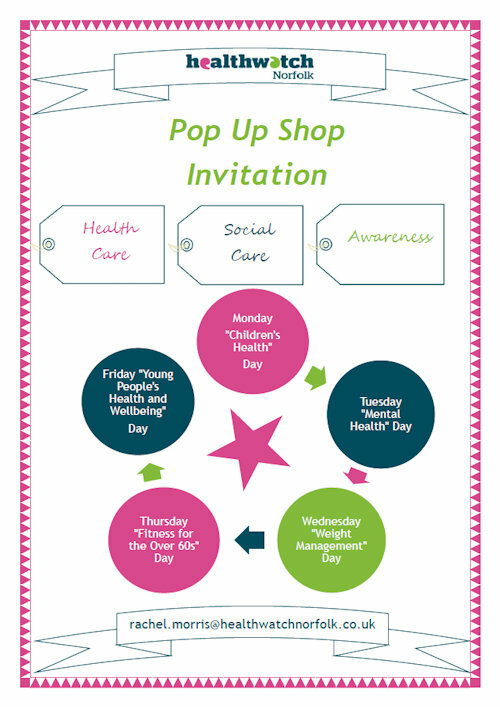 A special week in the pop up shops this week, as Dalegate Market will host Healthwatch Norfolk and associated charities. Here on the North Norfolk Coast we like to mix beautiful coast & countryside with retail therapy. 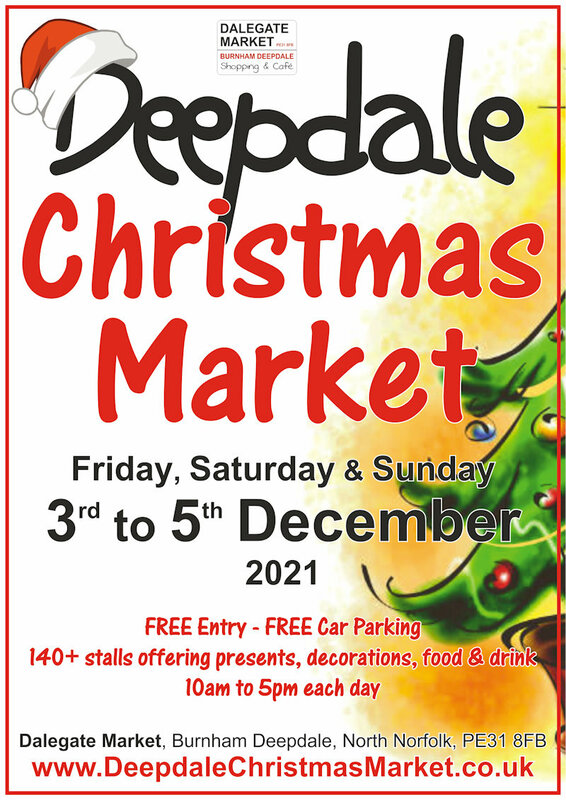 Dalegate Market will host Creakey Crafts, Kocokookie Kreations, JewelOri, Lottie’s Little Treasures and V. H. Designs in the pop up shops this week. 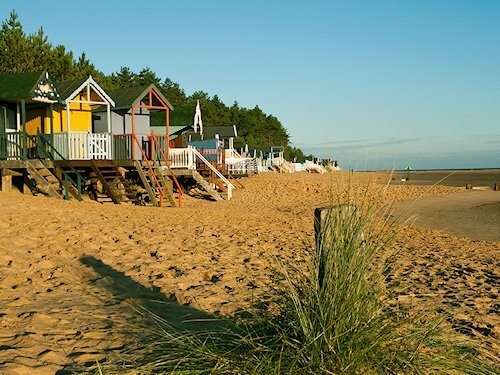 The North Norfolk Coast mixes beautiful coast & countryside with retail therapy. 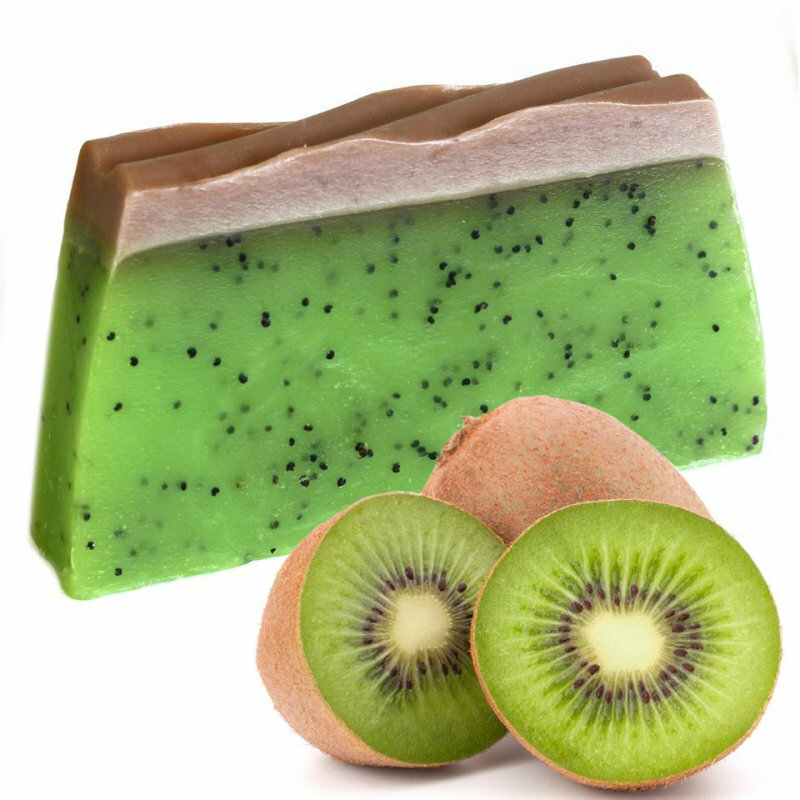 Dalegate Market will host Light Touch, Libao hp, Saltcreake Designs and Simply Scrumptious Liquers in the pop up shops this week. Here on the North Norfolk Coast we like to mix beautiful coast & countryside with a bit of retail therapy. 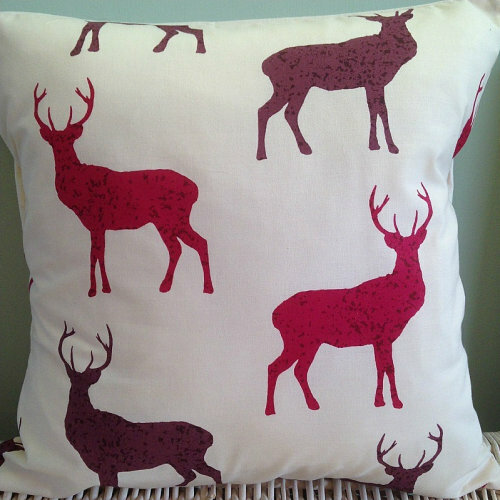 Dalegate Market will host Tuppenny Lane, Rivoli Fine Art and A J’s Norfolk Preserves in the pop up shops this week. 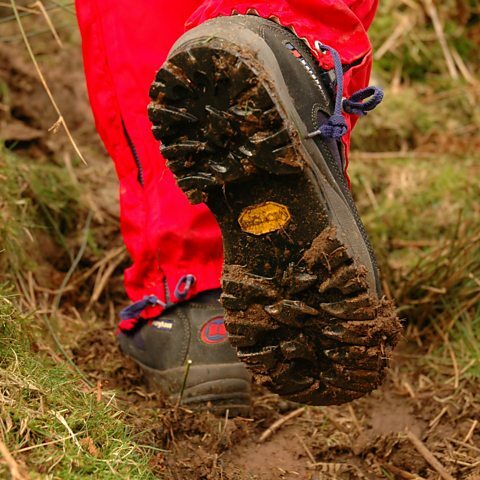 The weekend of Saturday 10th & Sunday 11th October will be the first Countryfle Ramble for BBC Children in Need. 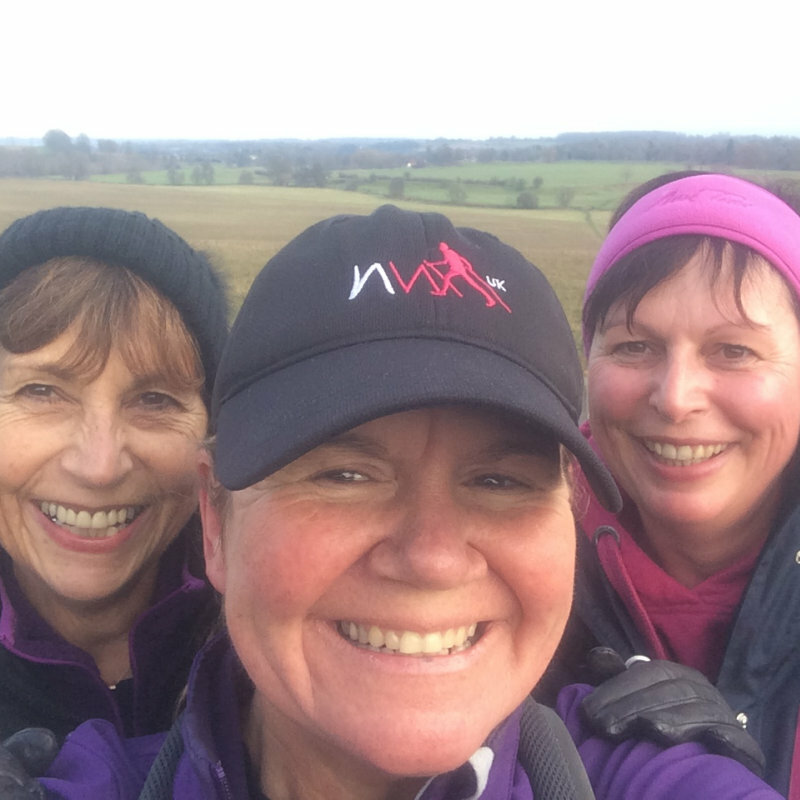 You can join others or organise your own ramble, download the sponsorship form, get some sponsors & get walking the North Norfolk Coast. Here on the North Norfolk Coast we like to mix beautiful coast & countryside with a bit of retail therapy. 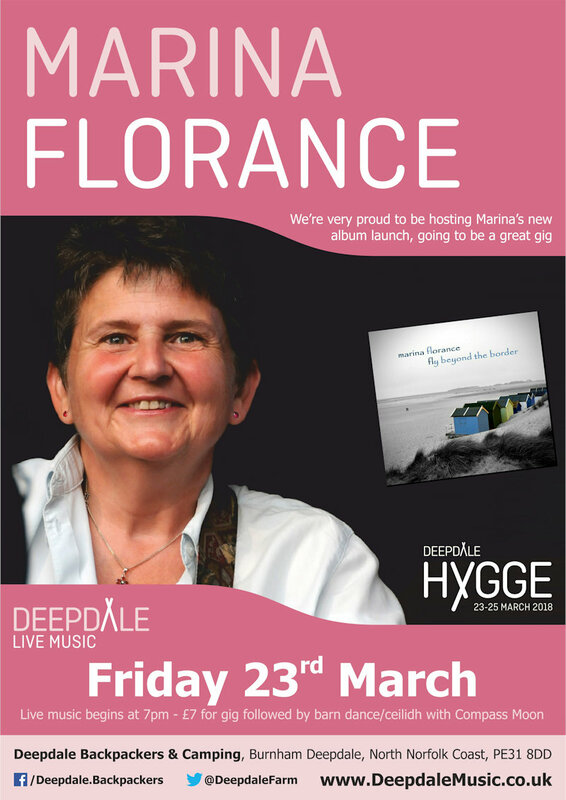 Dalegate Market will host John Harris Photography in the pop up shops this week. Here on the North Norfolk Coast we like to mix beautiful coast & countryside with a bit of retail therapy. 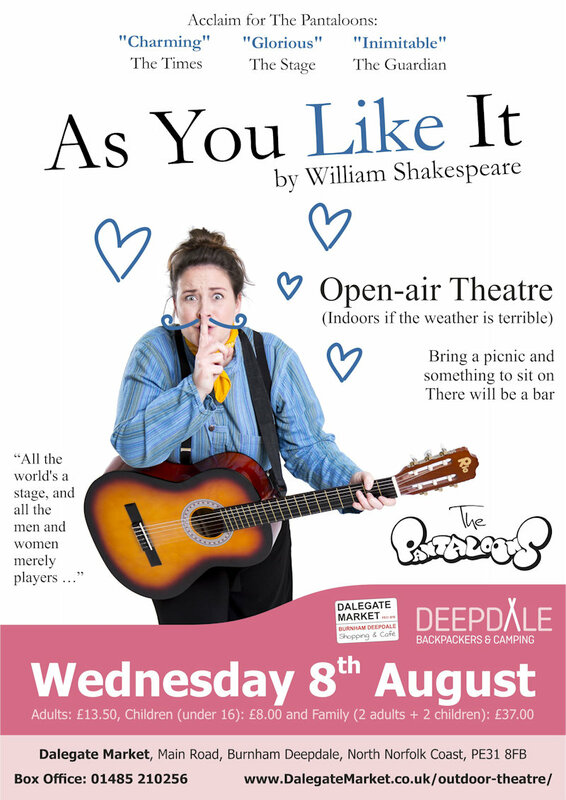 Dalegate Market will host Red Fish Studio, Sweet Arts and Designer Gardens in the pop up shops this week. 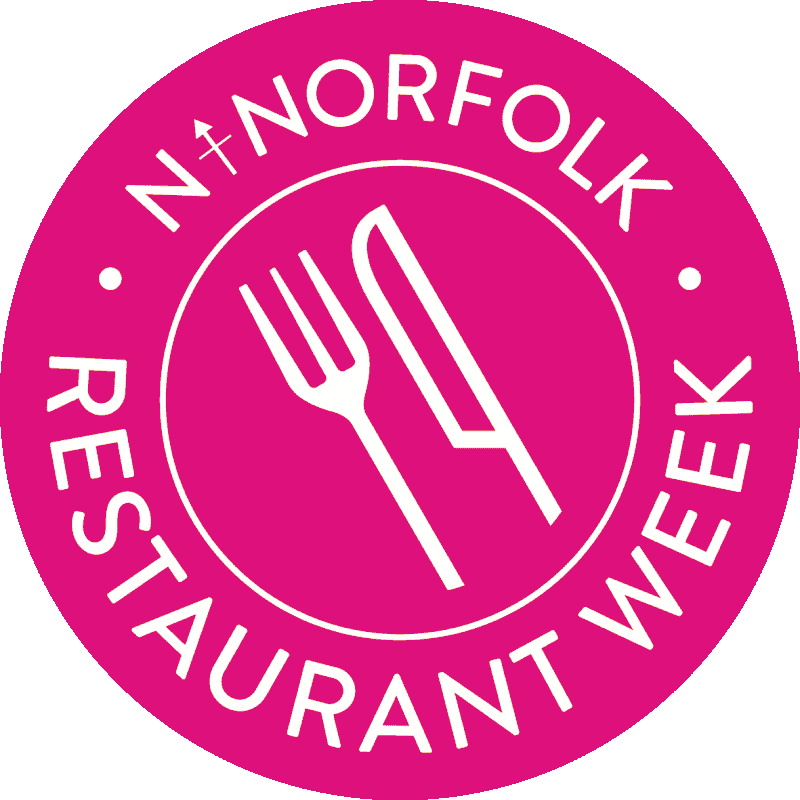 Restaurant Week is North Norfolk’s largest dining event, a culinary celebration of our vibrant restaurant scene. 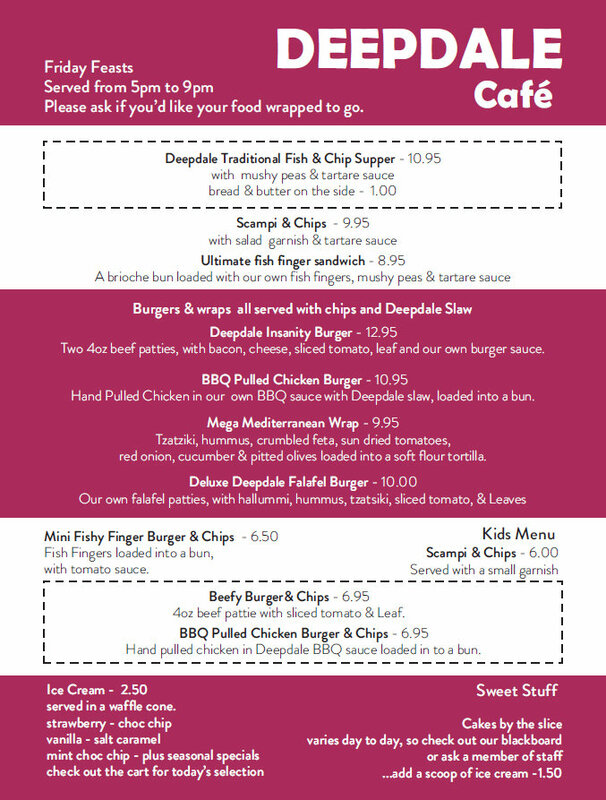 Deepdale Cafe is looking forward to offering a delicious lunchtime menu. 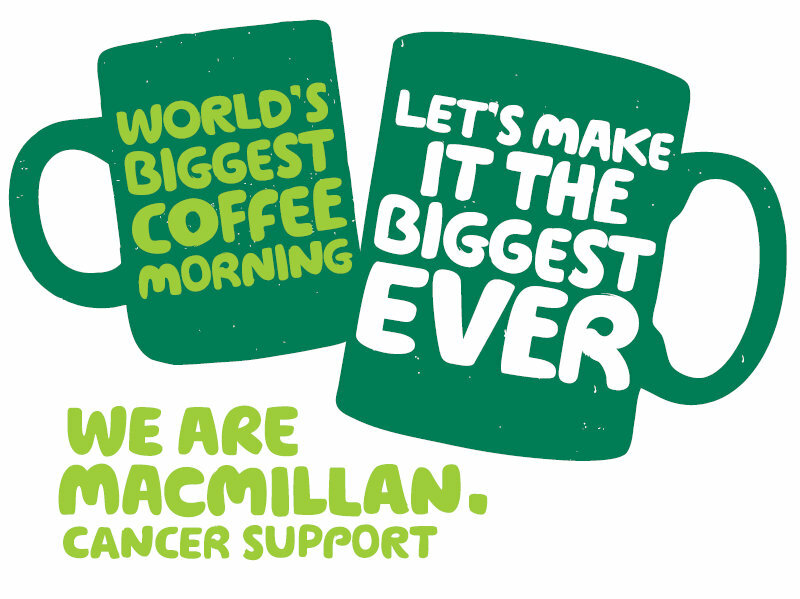 Deepdale Cafe are proud to be supporting the World’s Biggest Coffee Morning in aid of Macmillan Cancer Support. Here on the North Norfolk Coast we like to mix beautiful coast & countryside with a bit of retail therapy. Dalegate Market will host Paul Macro Photography, Black Sheep Ltd, Folk Who Bespoke and Cushion Cottage in the pop up shops this week. Here on the North Norfolk Coast we like to mix beautiful coast & countryside with a bit of retail therapy. 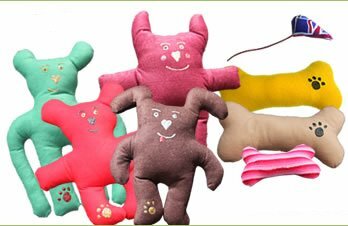 Dalegate Market will host Ruff & Tumble, 3D Climbing Art & Handmade Goods, Polly’s Feltz and Saltcreake Designs in the pop up shops this week. 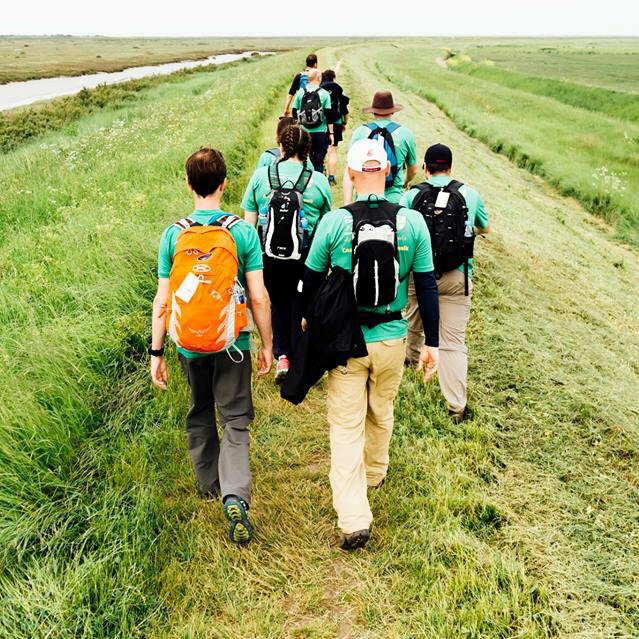 The Sponsored Cycle Ride & Walk in aid of Norfolk Churches Trust is a brilliant way to see the incredible history of Norfolk. Whether you are religious or not, the churches of Norfolk tell the story of Norfolk and are well worth visiting! 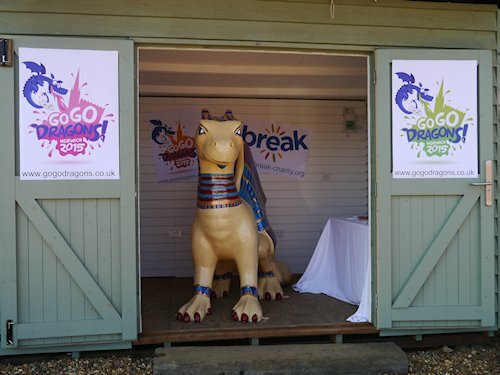 Dalegate Market is hugely proud to be hosting GoGoKingTut for a few more days holiday, before he joins the rest of the Dragons for the GoGoDragon Exhibition in The Forum, Norwich. 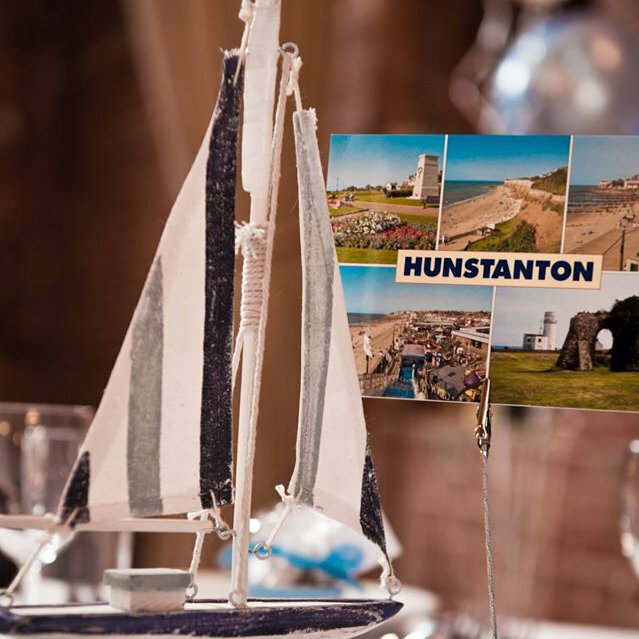 Here on the North Norfolk Coast we like to mix beautiful coast & countryside with a bit of retail therapy. 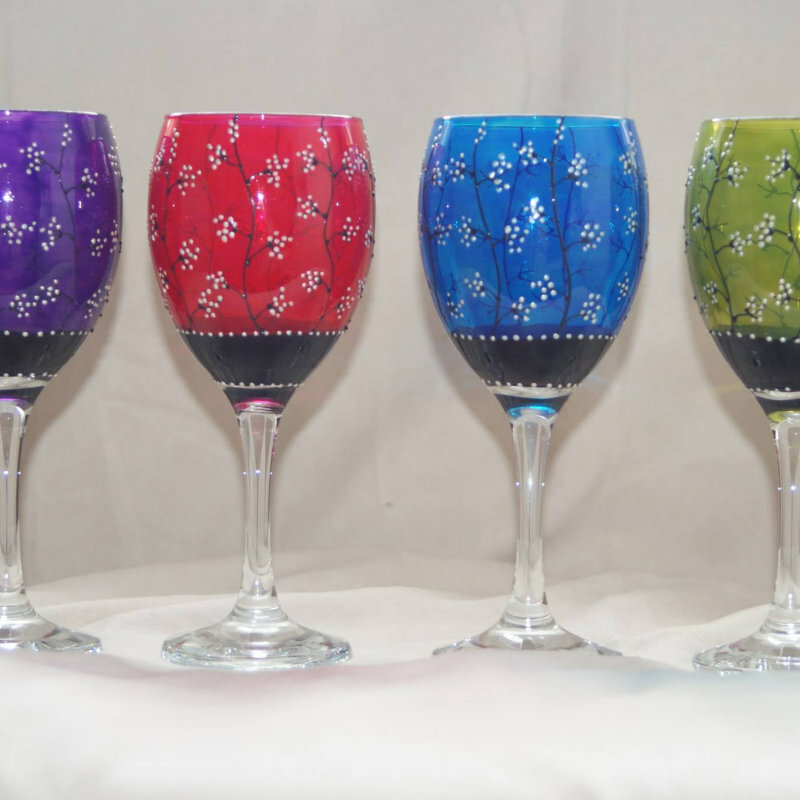 Dalegate Market will host Hazel Millington Glass, Me & You & Daisy Too and Made By Debbie in the pop up shops this week. Here on the North Norfolk Coast we like to mix beautiful coast & countryside with a bit of retail therapy. Dalegate Market will host DB Craft Creations, Anglia Craft Beers, Kate’s Crafts and Creakey Crafts in the pop up shops this week. 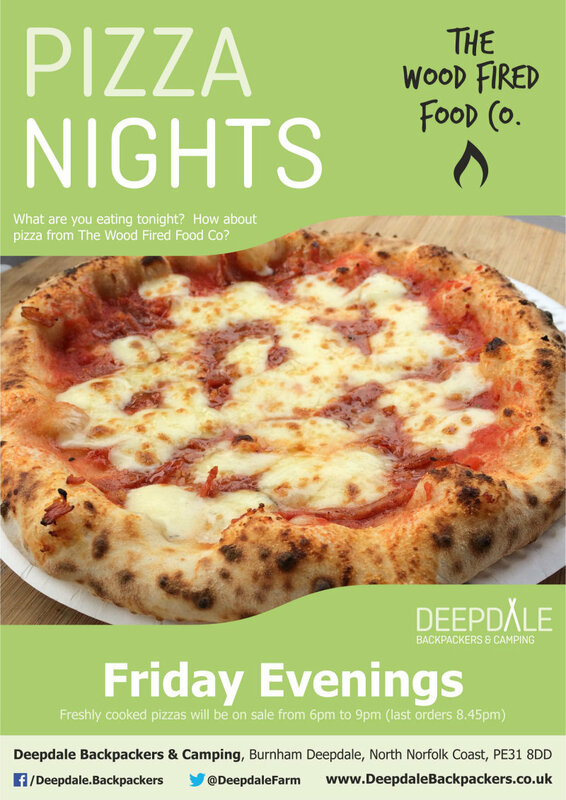 Deepdale Cafe starts its Friday night Fish & Chip Takeaway service on the 17th July from 5pm until 8pm, and every Friday throughout July & August. Here on the North Norfolk Coast we like to mix beautiful coast & countryside with a bit of retail therapy. 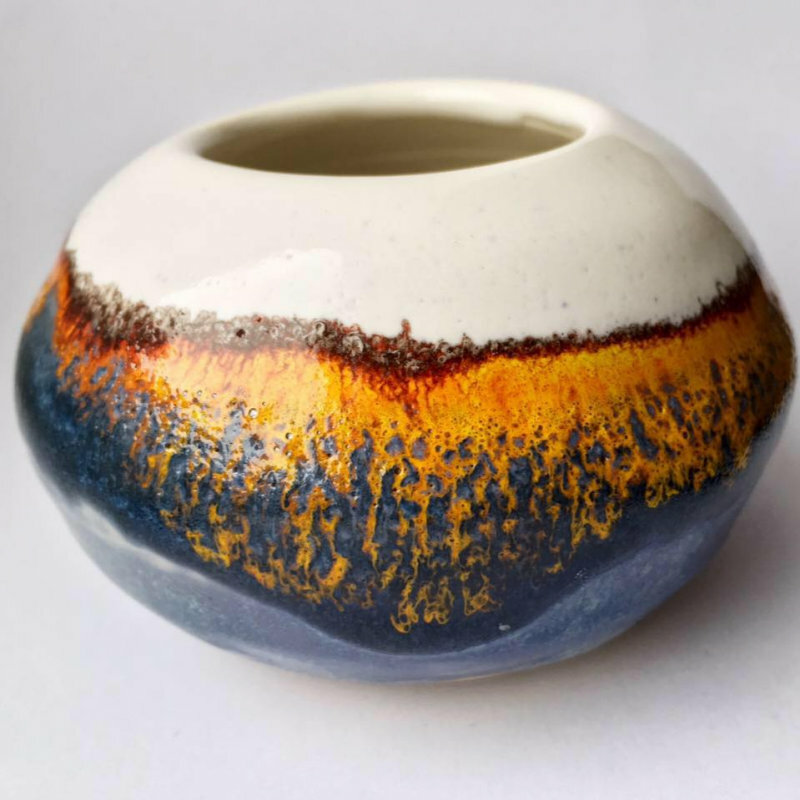 Dalegate Market will host Polly’s Feltz, Pebbles Photography, Artwork by James Buttifant and Saltcreake Designs in the pop up shops this week. 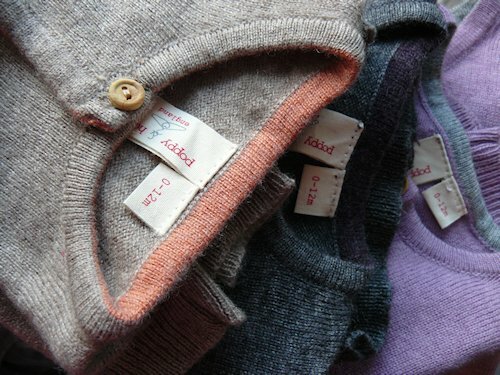 Here on the North Norfolk Coast we like to mix beautiful coast & countryside with retail therapy. 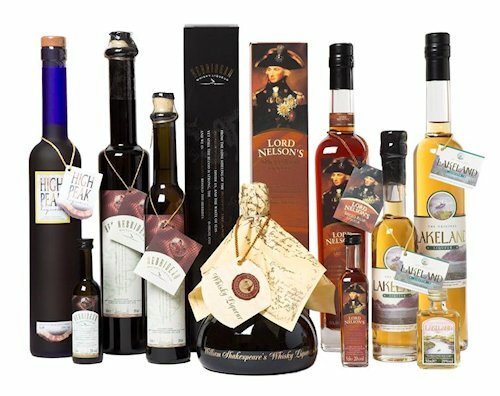 Dalegate Market will host Hazel Millington Glass, Natalie Scurll, Simply Scrumptious Liqueurs and Norfolk Food Heroes in the pop up shops this week. 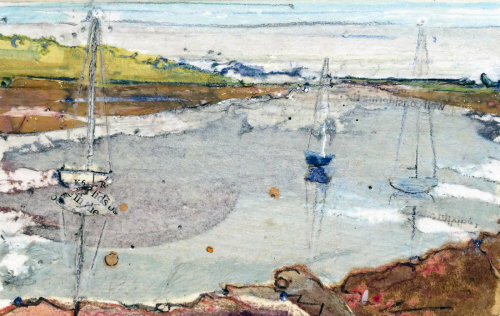 Sailing boat racing for adults and children, open to all comers, hosted by Brancaster Staithe Sailing Club. 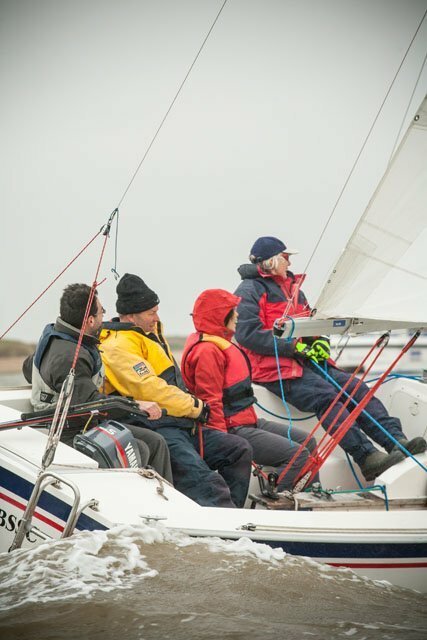 Sailing Week is for many the highlight of the year at Brancaster Staithe. Here on the North Norfolk Coast we like to mix beautiful coast & countryside with a bit of retail therapy. 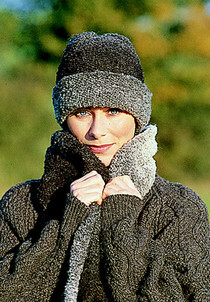 Dalegate Market will host Pebbles Photography, Fran Squires, Cushion Cottage and The Gift in the pop up shops this week. Here on the North Norfolk Coast we like to mix beautiful coast & countryside with a bit of retail therapy. 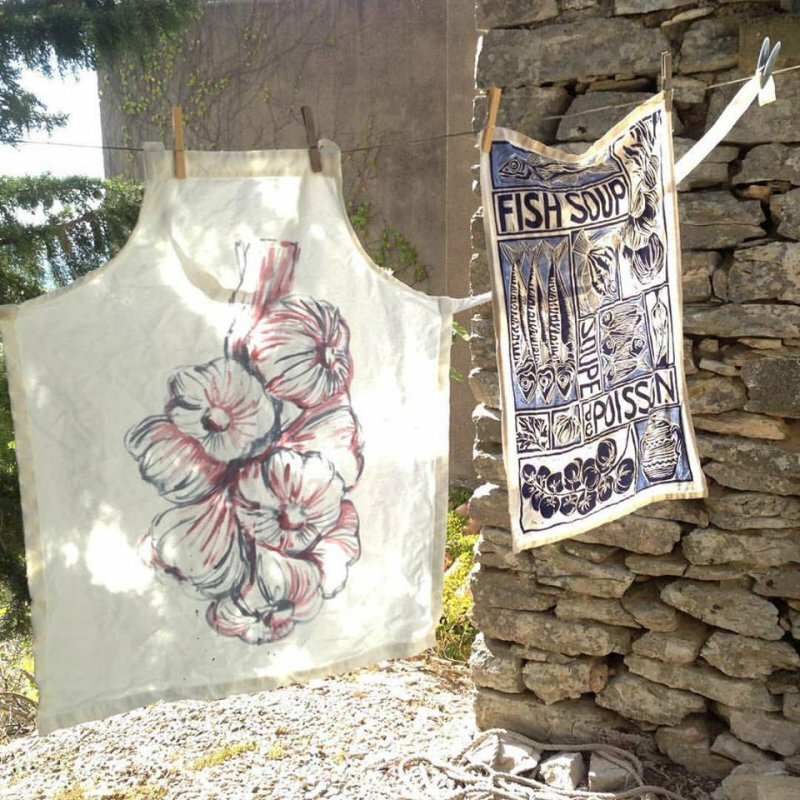 Dalegate Market will host Ruff & Tumble, Red Fish Studio, Just Add Aloe and 3D Climbing Art in the pop up shops this week. Here on the North Norfolk Coast we like to mix beautiful coast & countryside with retail therapy. 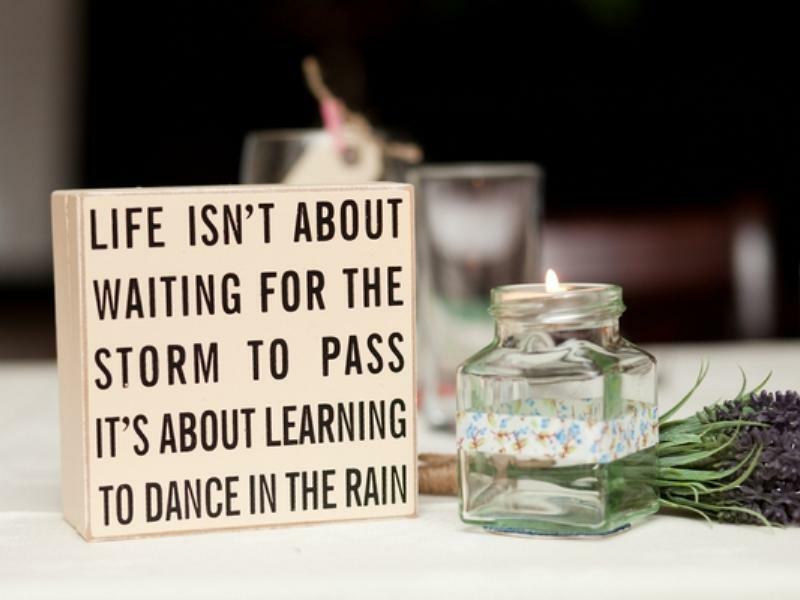 Dalegate Market will host Hazel Millington Glass, Creakey Crafts, Bumble Chic Homeware and Rebel & Rose Photography in the pop up shops this week. Here on the North Norfolk Coast we like to mix beautiful coast & countryside with a bit of retail therapy. 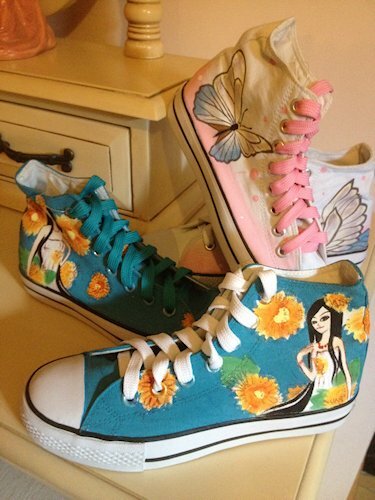 Dalegate Market will host Paul Macro Photography, IzziRainey and Entirely Chic in the pop up shops this week. 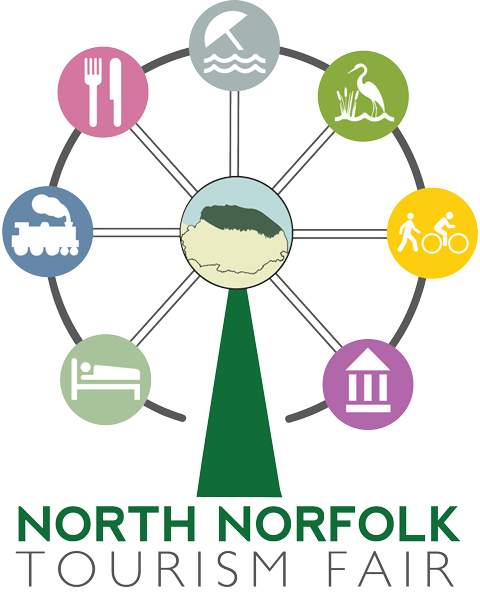 This year, between Monday 20th and Sunday 26th July, why not celebrate National Countryside Week here on the North Norfolk Coast - Beautiful countryside & coastline, wonderful outdoor activities and lovely places to stay. Here on the North Norfolk Coast we like to mix beautiful coast & countryside with a bit of retail therapy. 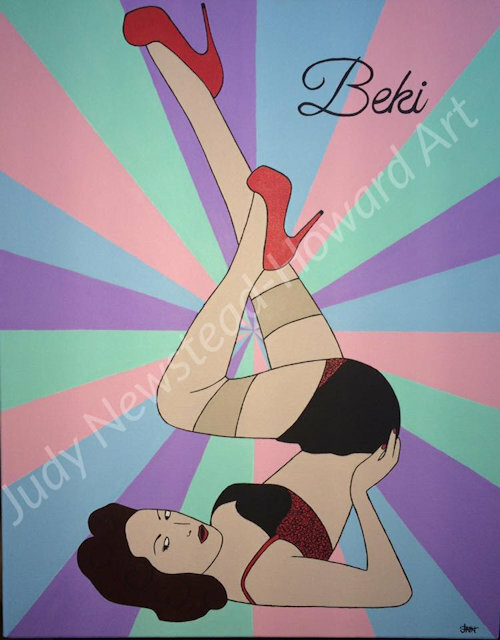 Dalegate Market will host Saltcreake Designs, Jenart Imaging, Kocokookie Kreations and Libao hp in the pop up shops this week. Here on the North Norfolk Coast we like to mix beautiful coast & countryside with a bit of retail therapy. 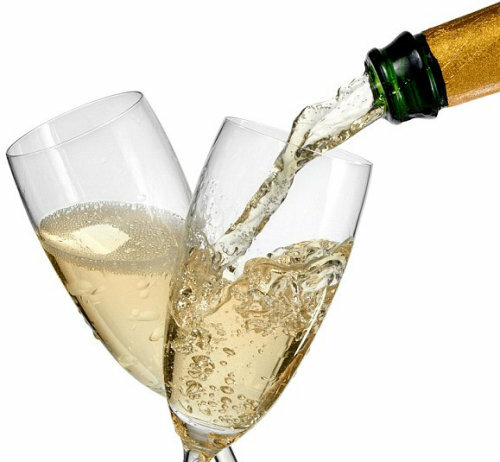 Dalegate Market will host K & R Arts & Crafts, The Gift, Anglia Craft Beers & Liqueurs and Personalised Prezzies in the pop up shops this week. Here on the North Norfolk Coast we like to mix beautiful coast & countryside with a bit of retail therapy. 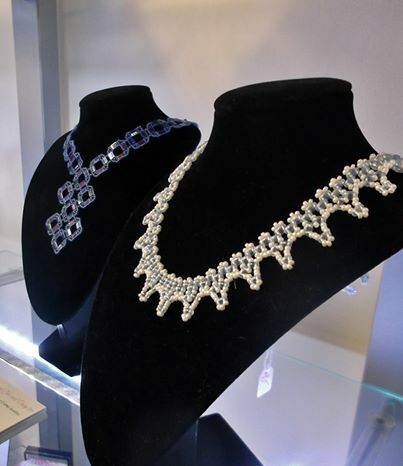 Dalegate Market will host Entirely Chic, Rozcraftz, Poppy & Hester and Catherine Downes Silversmith in the pop up shops this week. 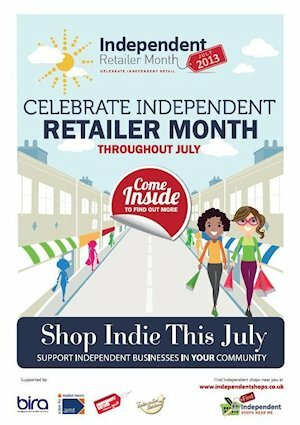 A month in which to celebrate independent shops in all their forms. 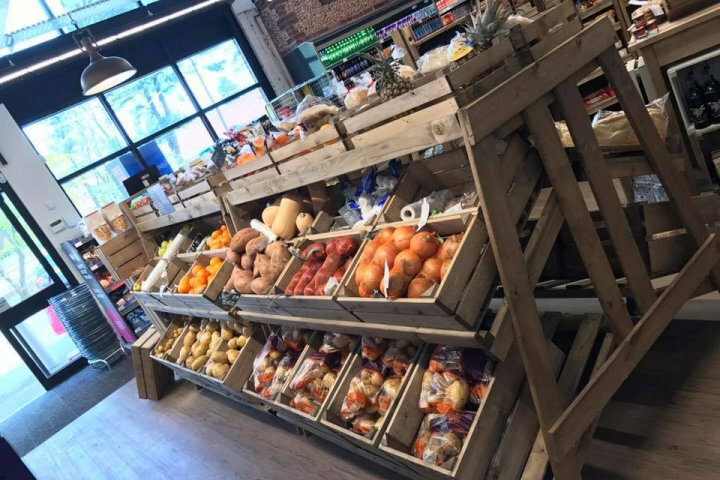 We are very proud to say that the majority of shops at Dalegate Market are independent retailers, and your support is always most welcome. 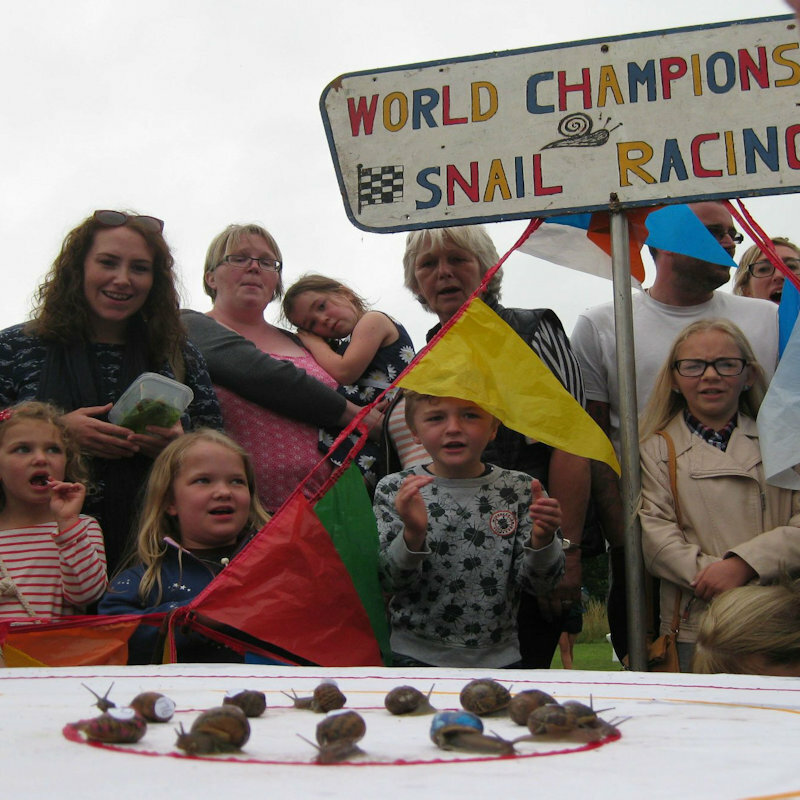 We are joining the ’Enjoy a Day Out with Us’ at the Royal Norfolk Show, Stand 253. 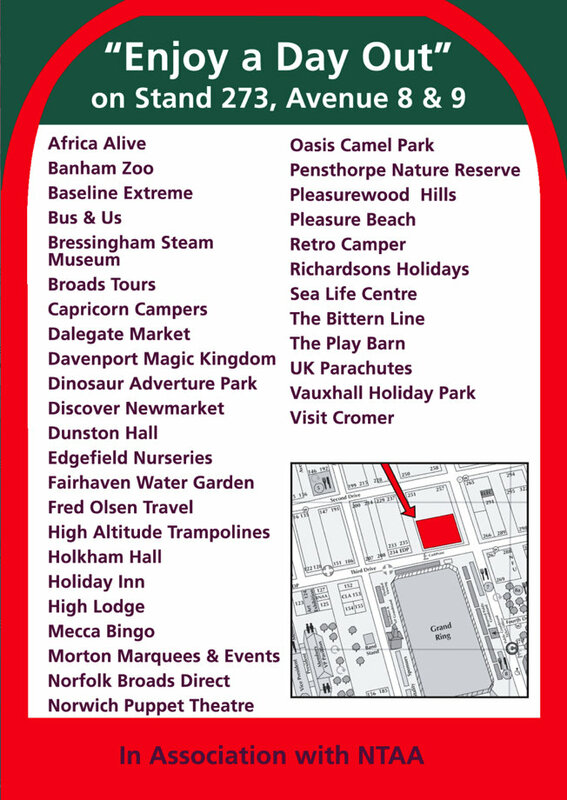 Dalegate Market will be joining companies like Holkham, Cromer Pier and the Dinosaur Park. Here on the North Norfolk Coast we like to mix beautiful coast & countryside with a bit of retail therapy. Dalegate Market will host Paul Macro Photography, Creakey Crafts, Me & You & Daisy Too and Entirely Chic in the pop up shops this week. 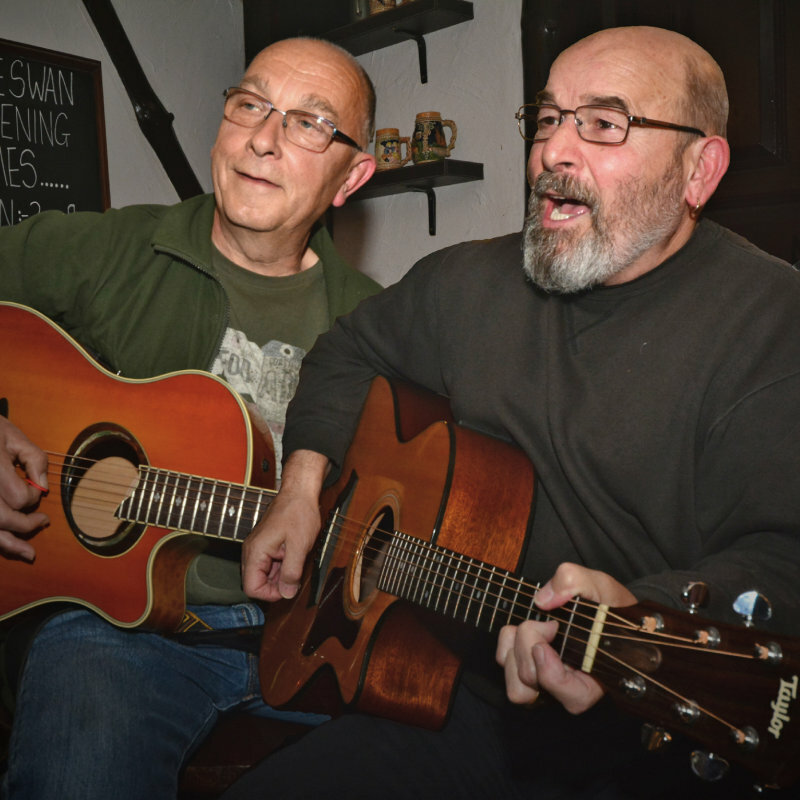 Turning 60 needn’t be a watershed to dread – there are loads of exciting benefits for over 60s out there, one of which being a special menu at Deepdale Cafe every Wednesday in May & June, excluding school holidays. 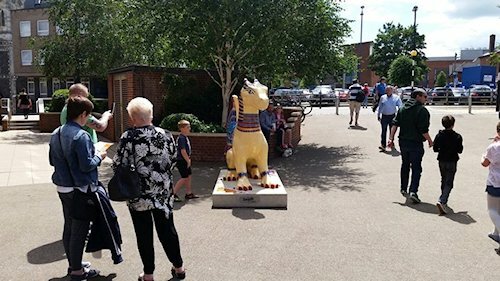 Dalegate Market are proudly sponsoring GoGoKingTut, one of the Break Charity GoGoDragons, which will be displayed around Norwich this Summer. You can follow the trail to see some incredible dragons all around the City. Here on the North Norfolk Coast we like to mix beautiful coast & countryside with a bit of retail therapy. 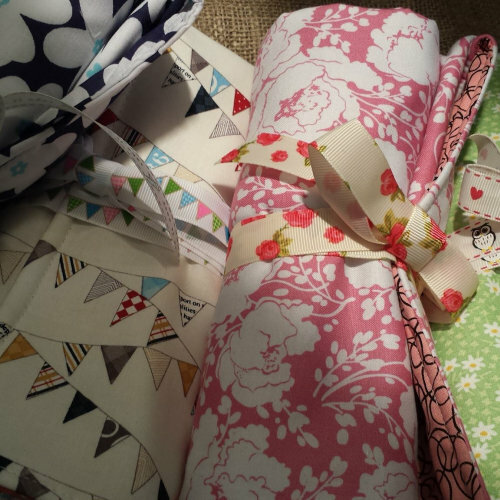 Dalegate Market will host Norfolk Craft Guild in the pop up shops this week. 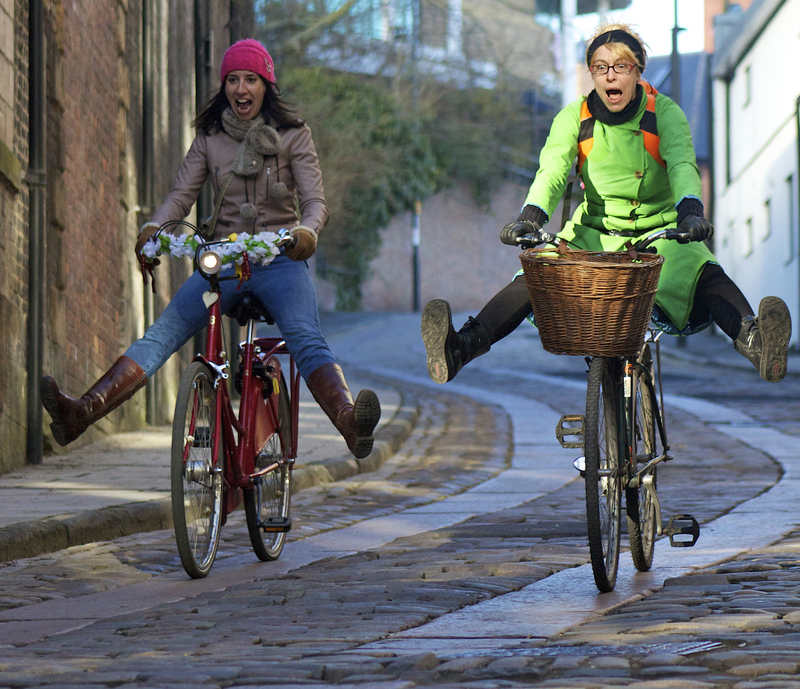 Bike Week is the UK’s biggest mass participation cycling event, with almost half a million people participating at events across the country. Here on the North Norfolk Coast we like to mix beautiful coast & countryside with a bit of retail therapy. Dalegate Market will host 7th Wave Seaglass Jewellery, Light Touch, Serendipity and Paul Holman Photography in the pop up shops this week. Here on the North Norfolk Coast we like to mix beautiful coast & countryside with a bit of retail therapy. Dalegate Market will host Swans Art Group - Brenda McKetty, Annette Sykes, Pat Bustin & Matylda Laurence in the pop up shops this week.